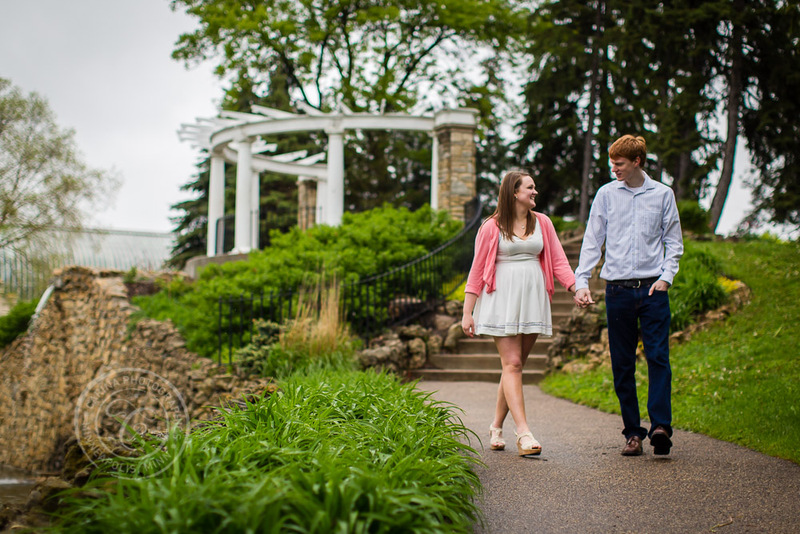 Katie + Brett were looking forward to having a green Minneapolis engagement photography session. 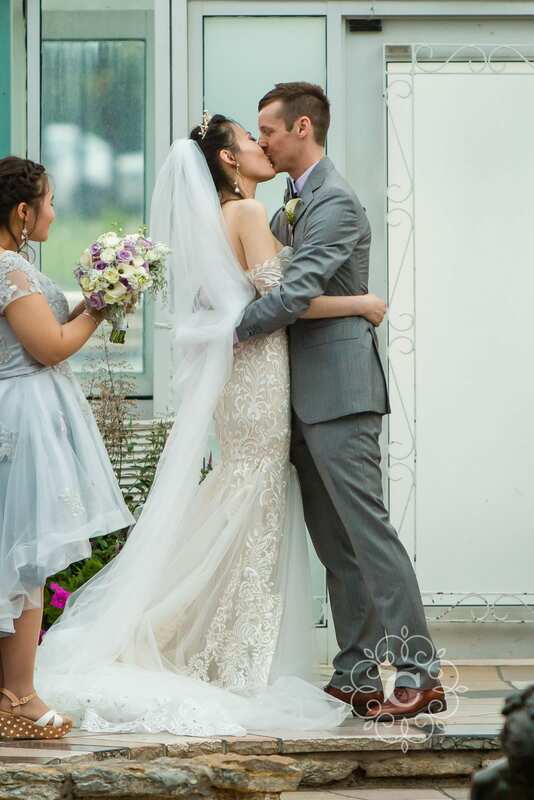 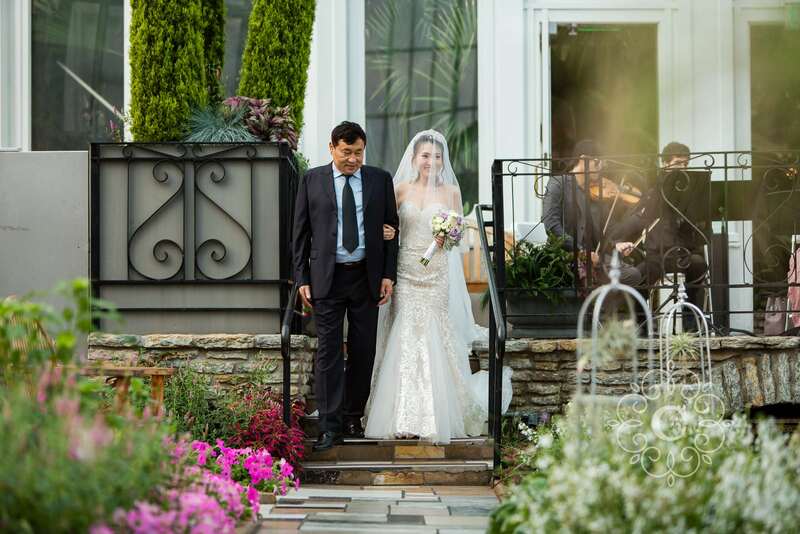 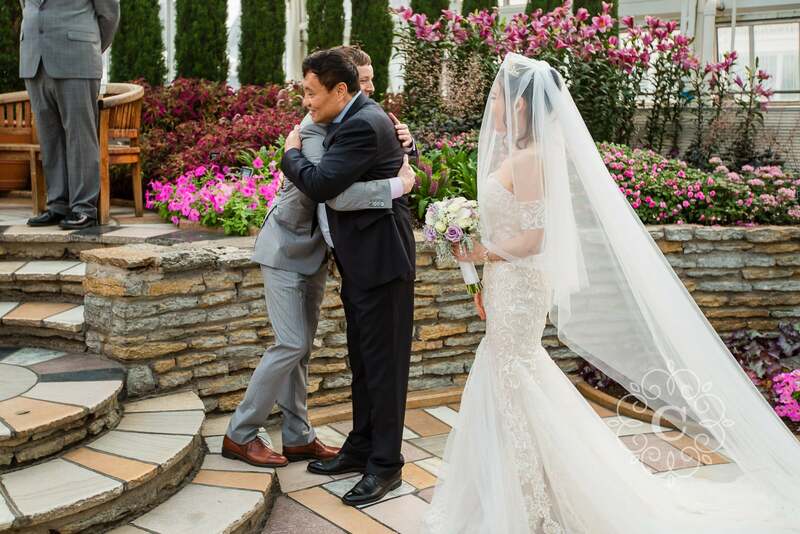 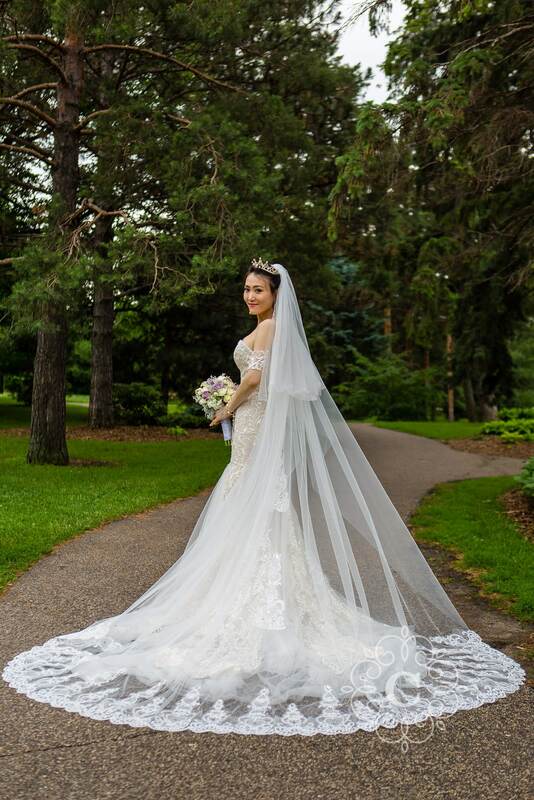 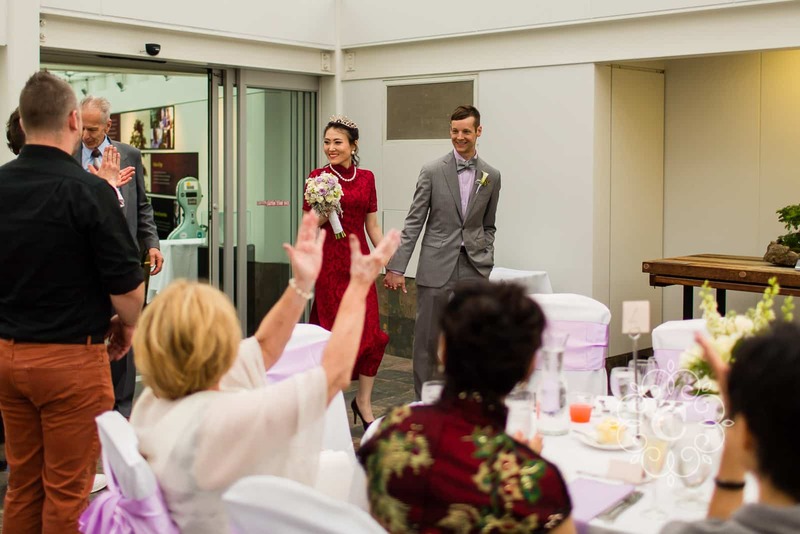 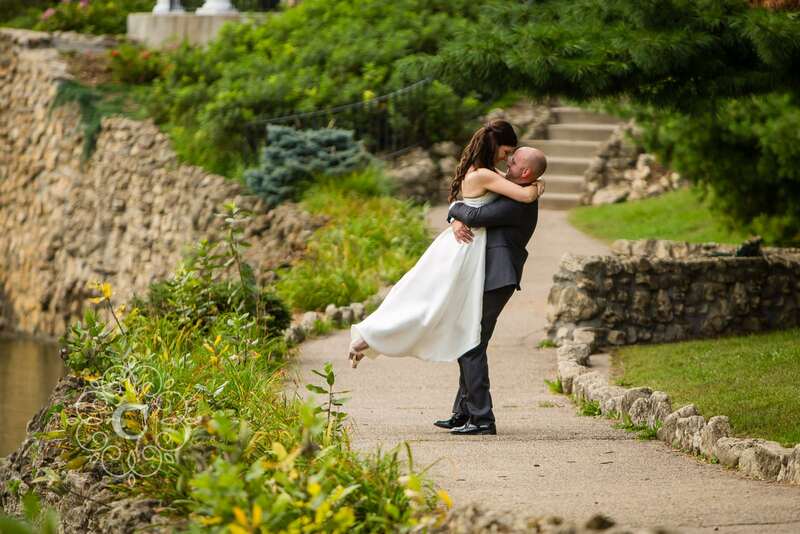 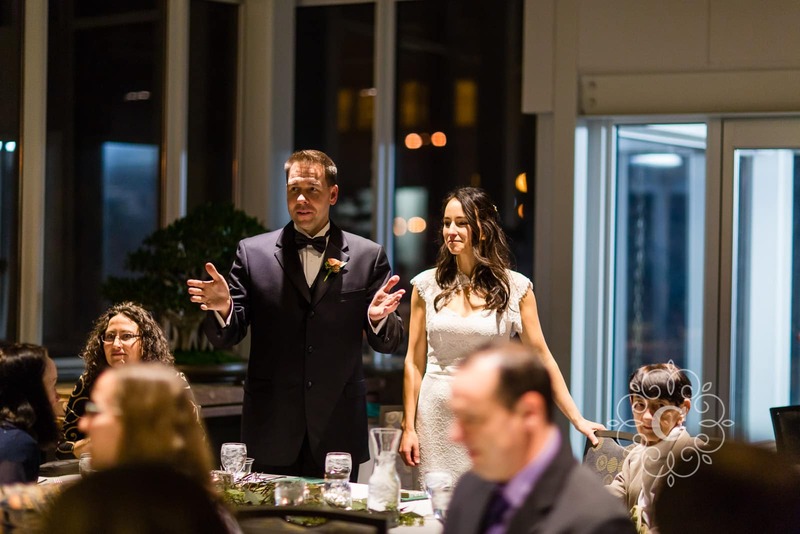 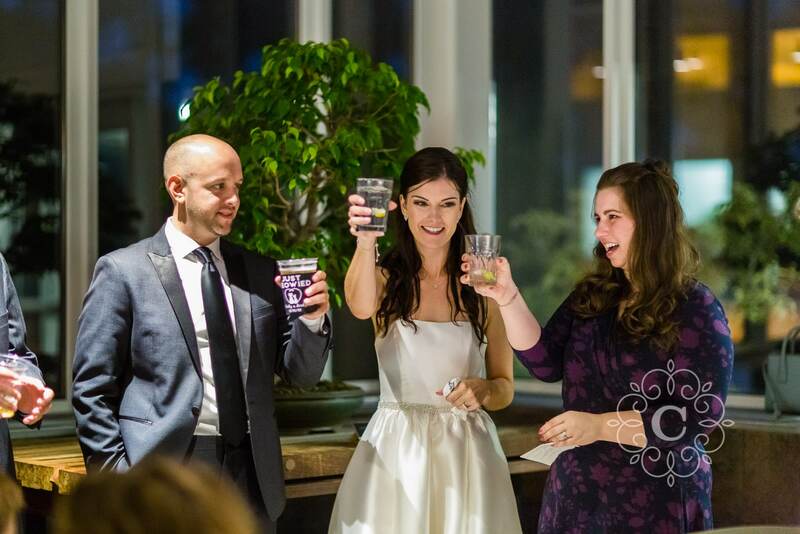 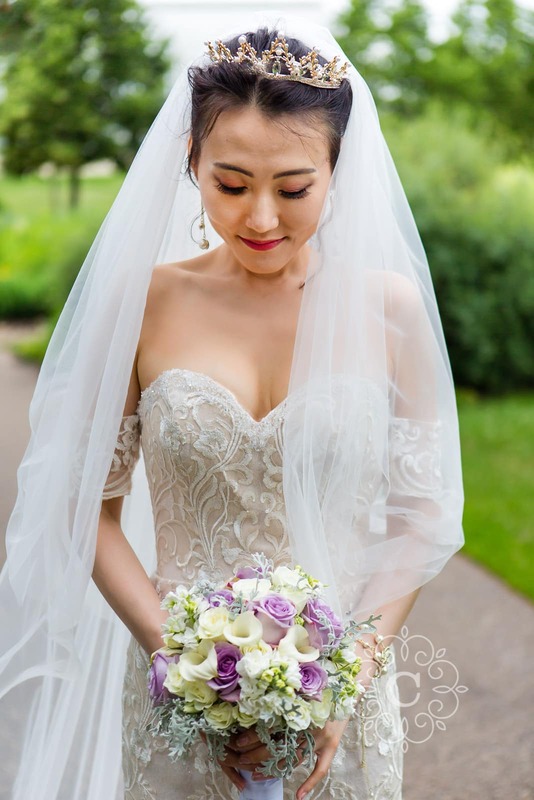 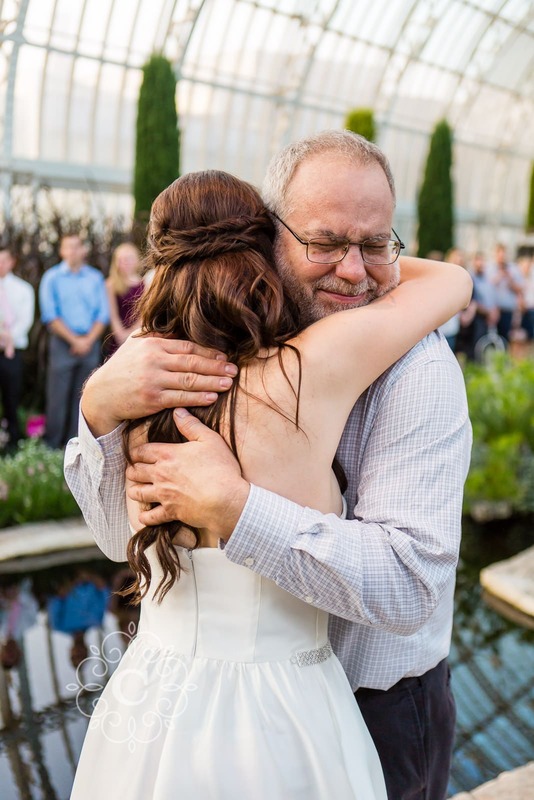 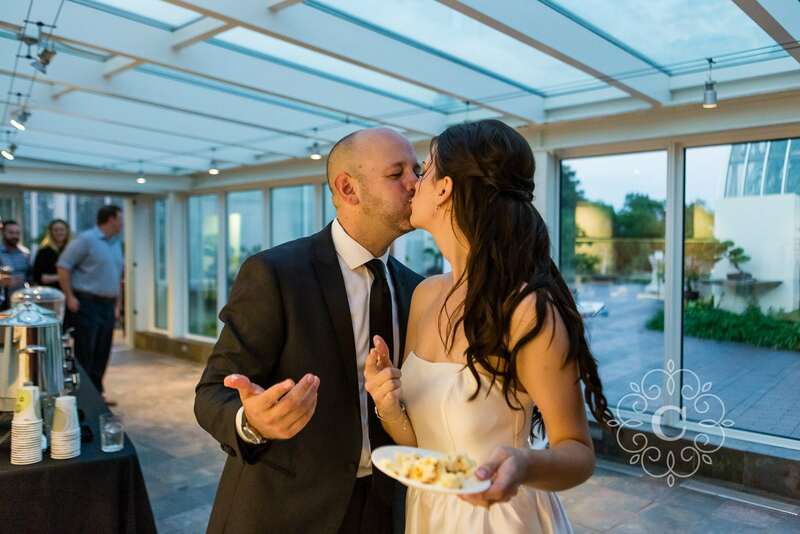 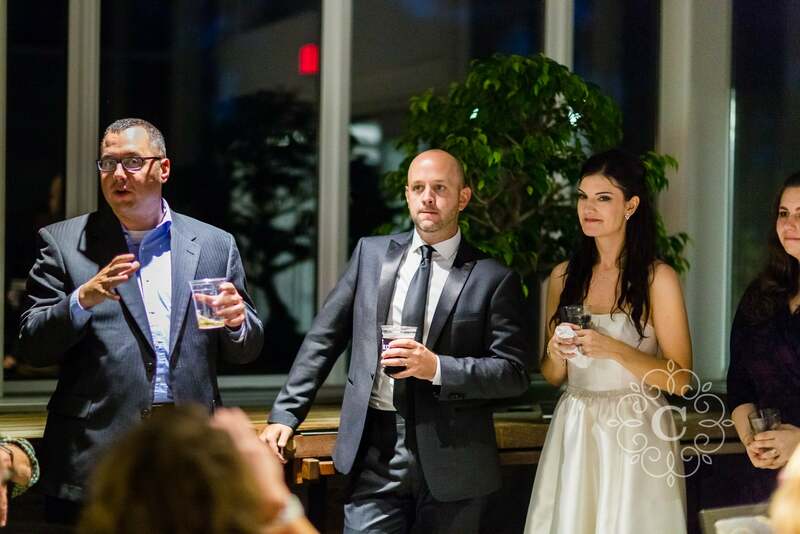 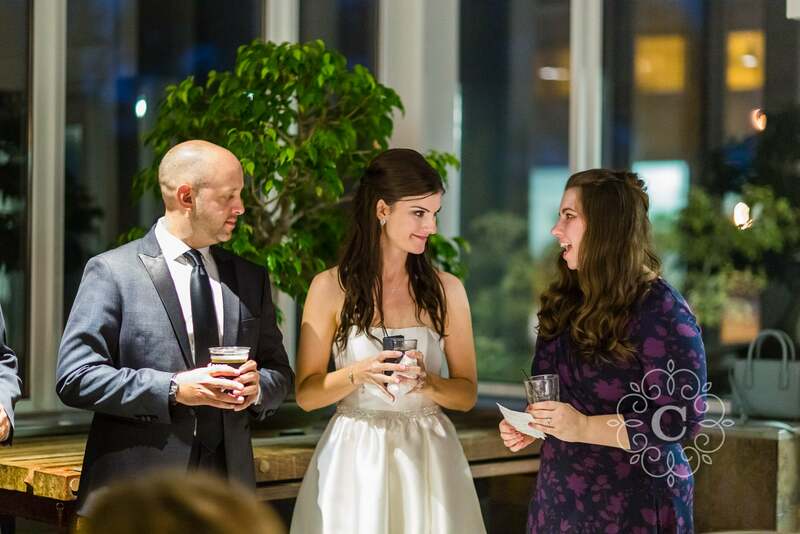 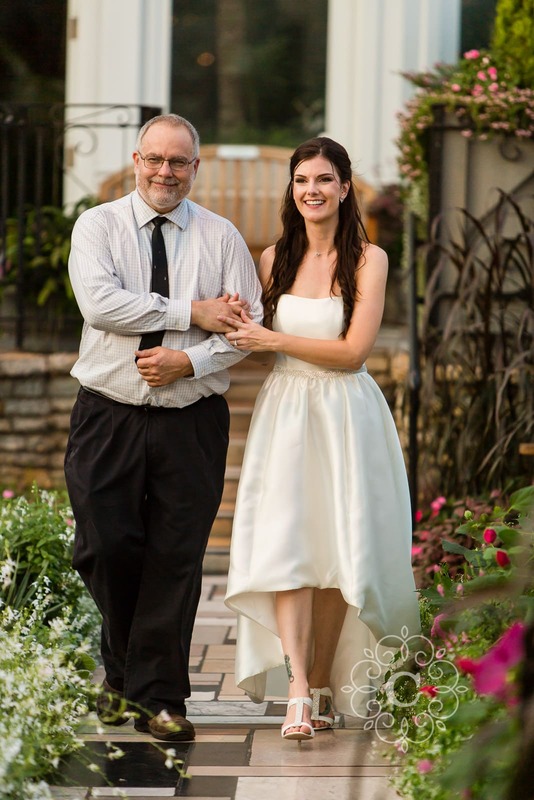 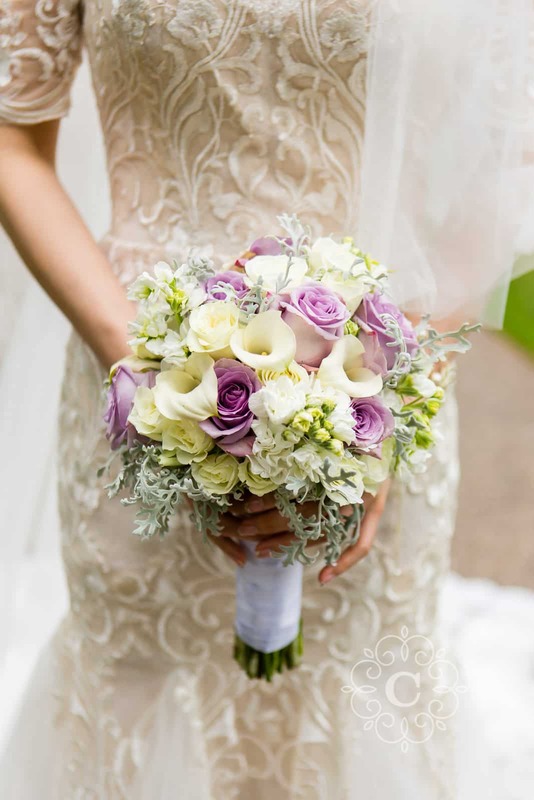 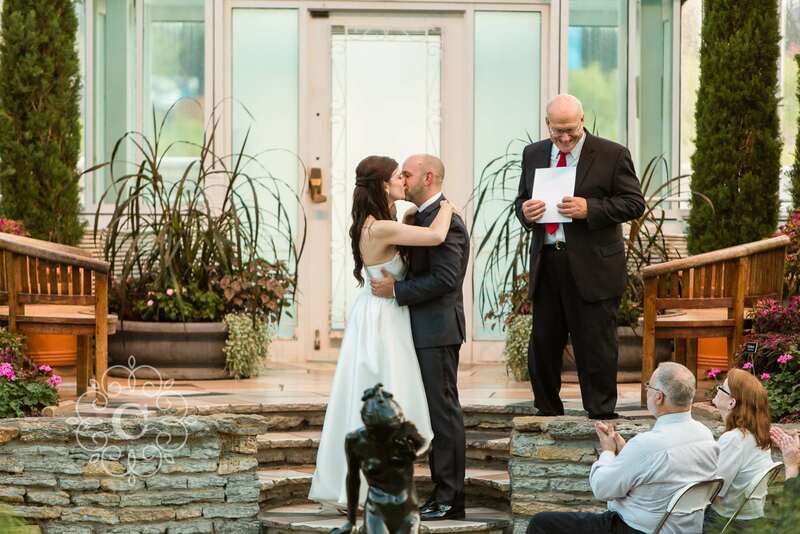 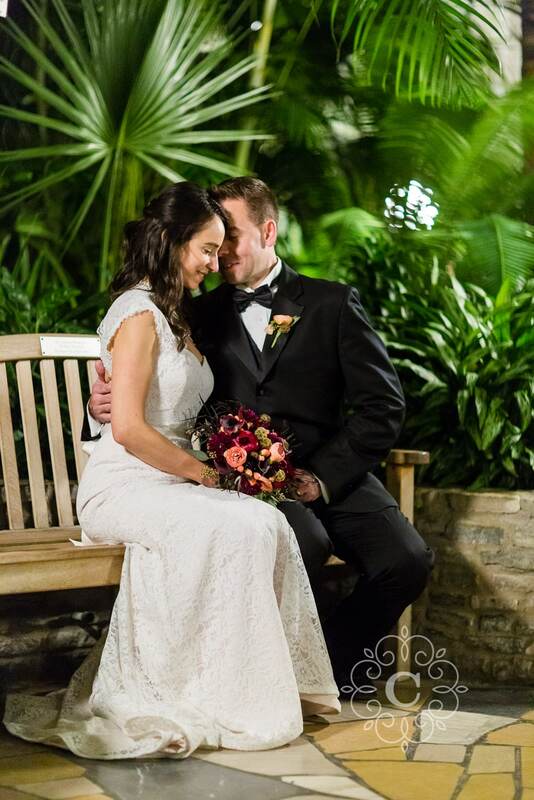 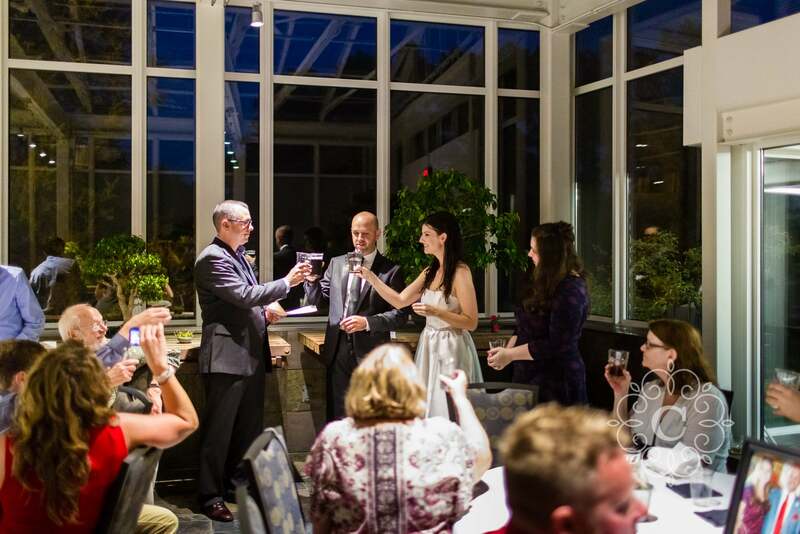 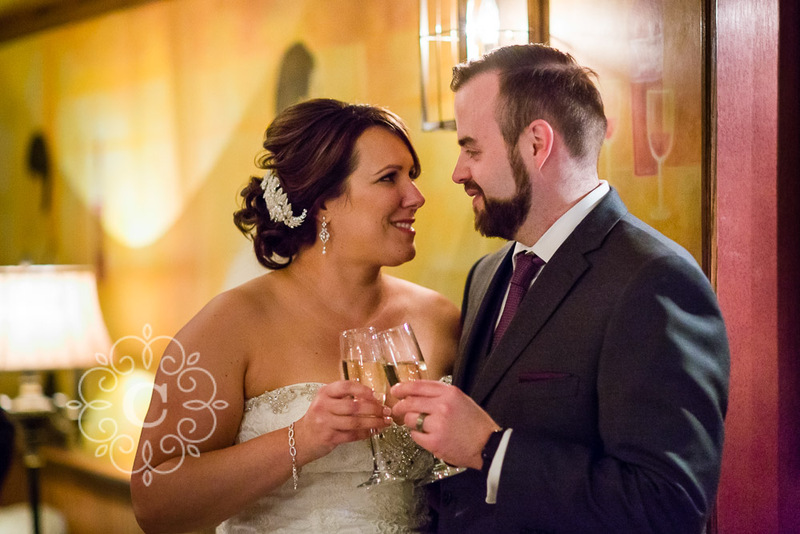 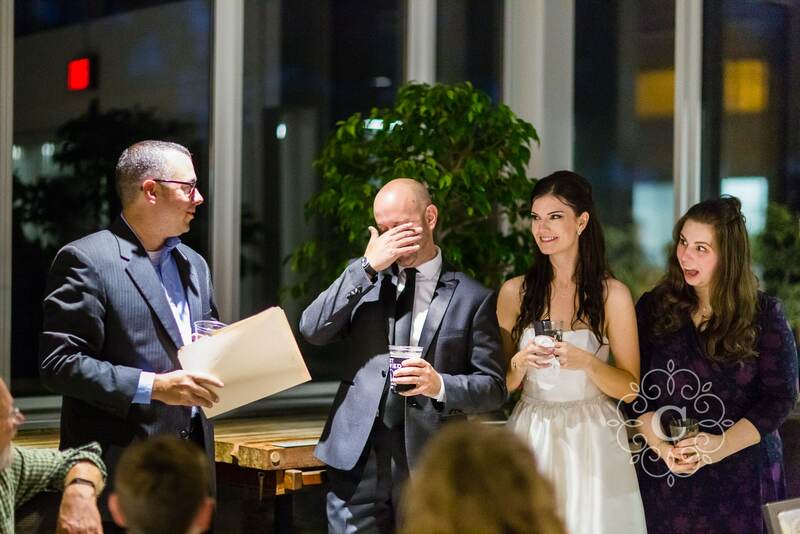 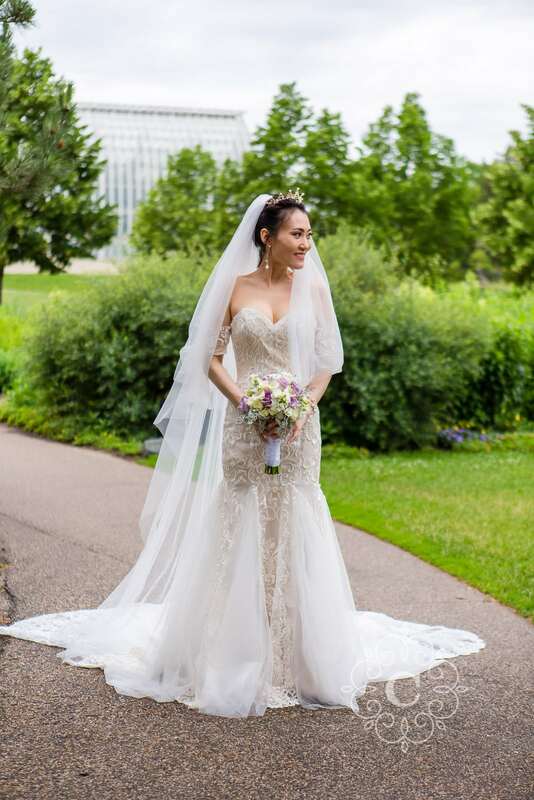 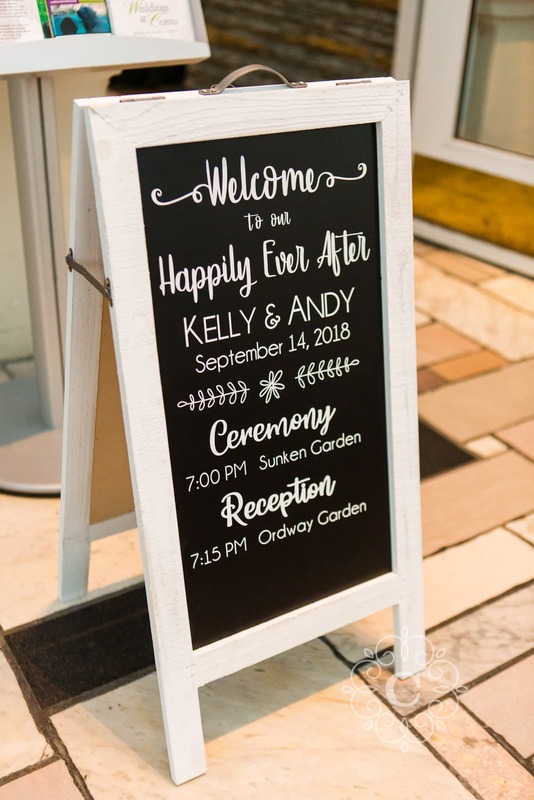 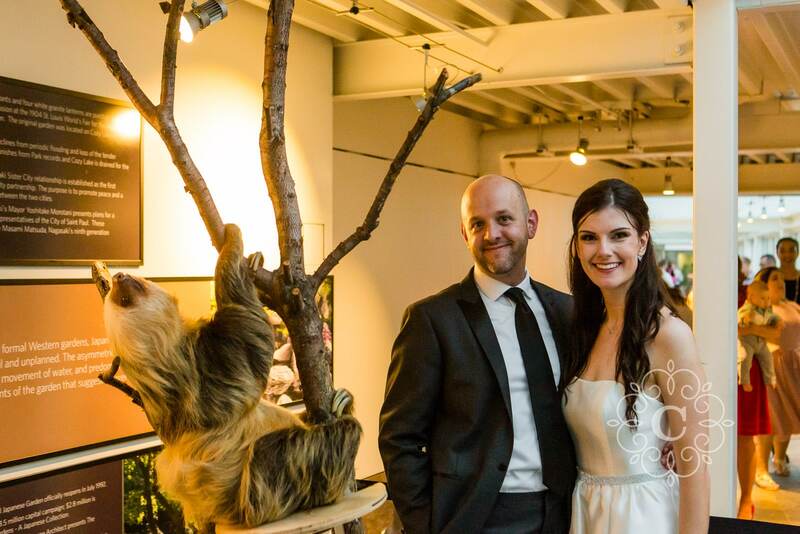 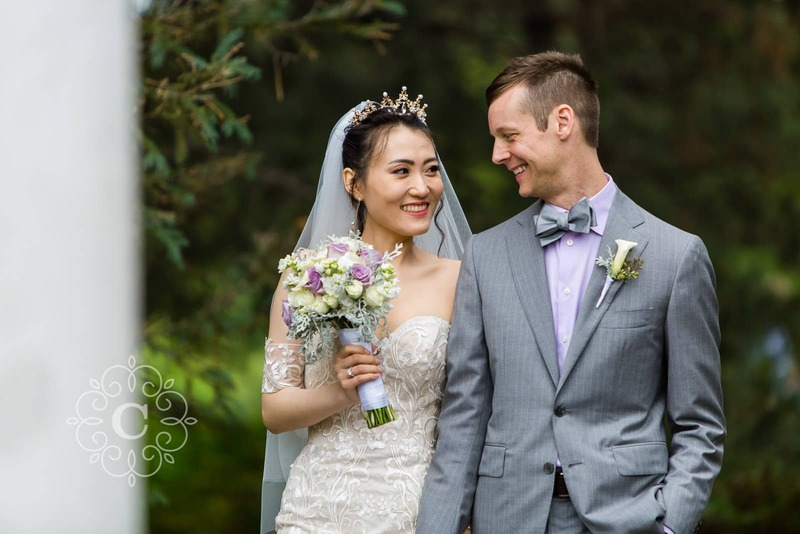 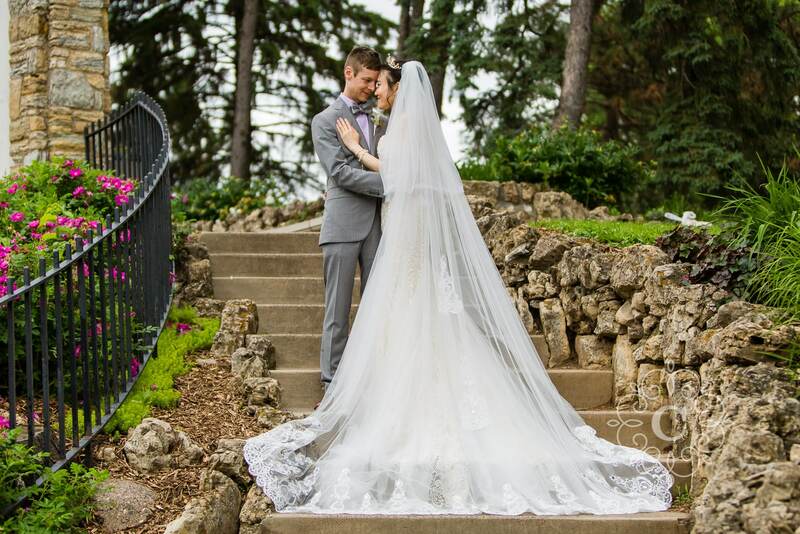 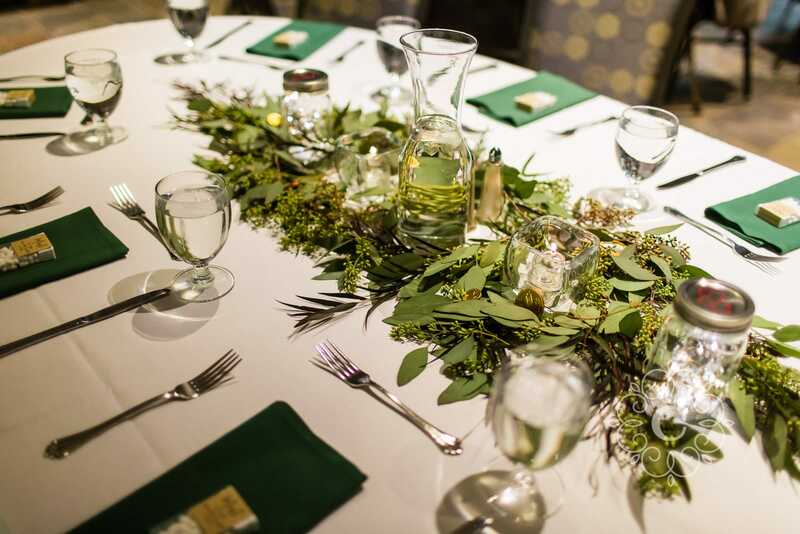 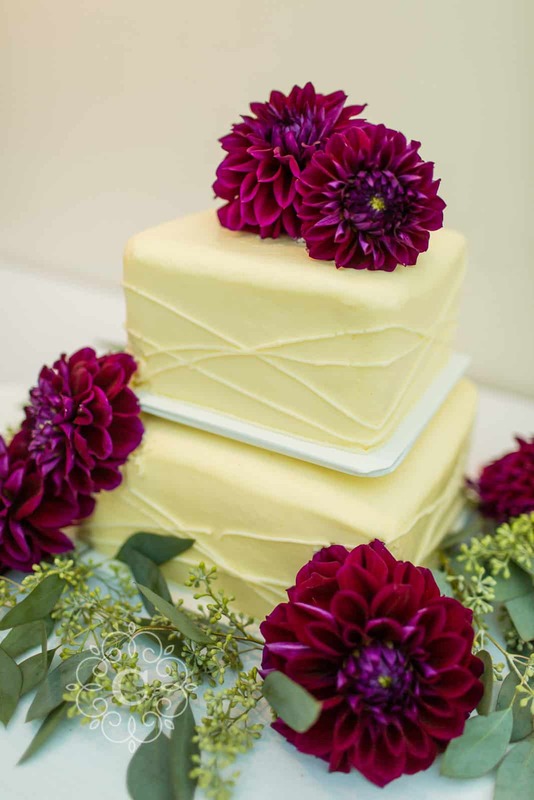 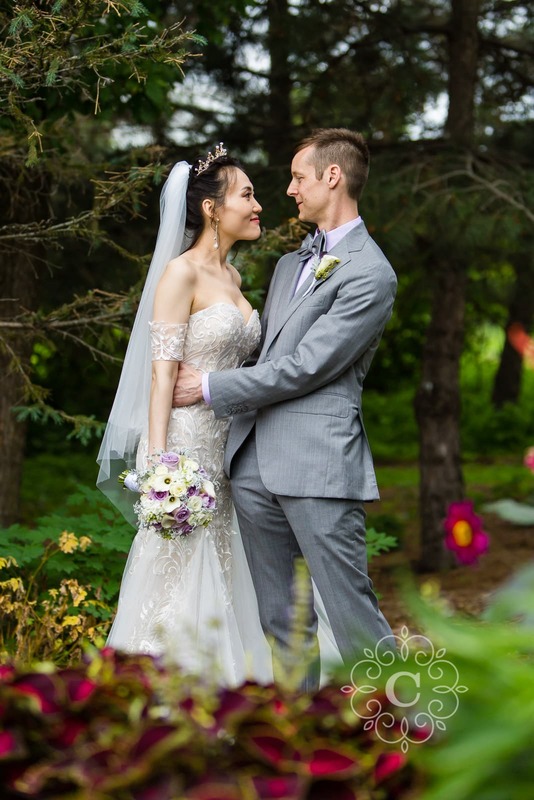 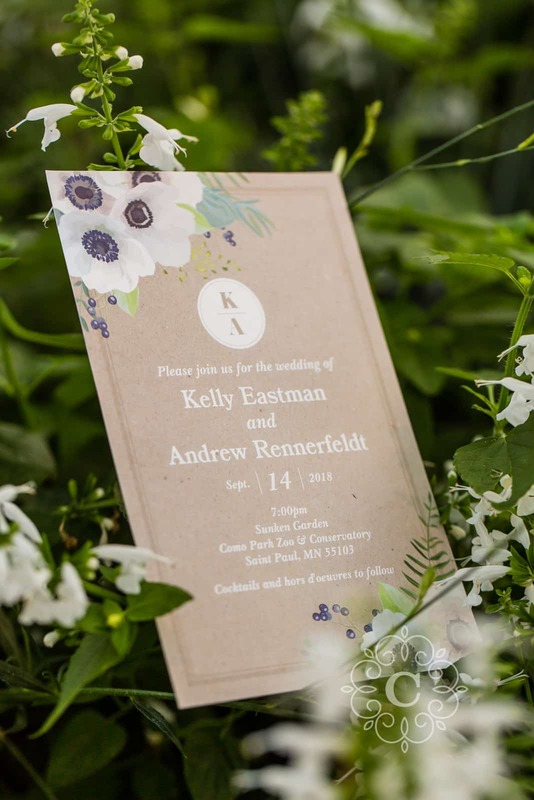 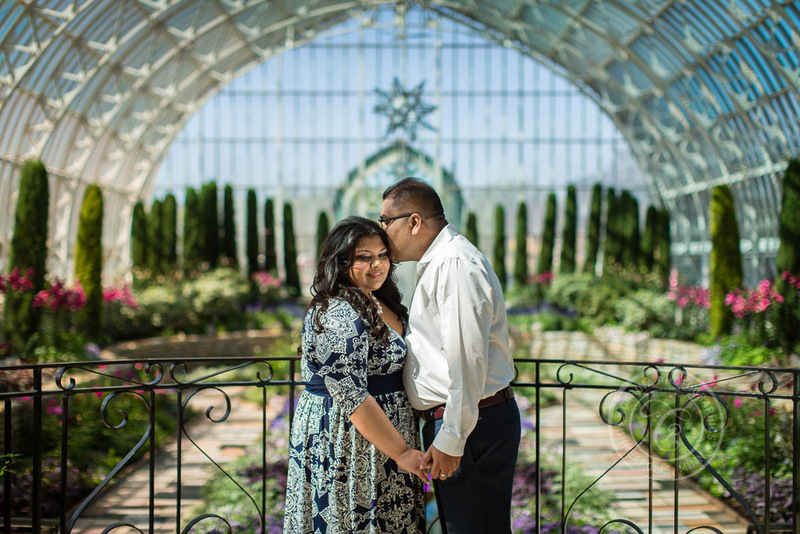 Their wedding was set for the cold, snowy Minnesota winter of next January. 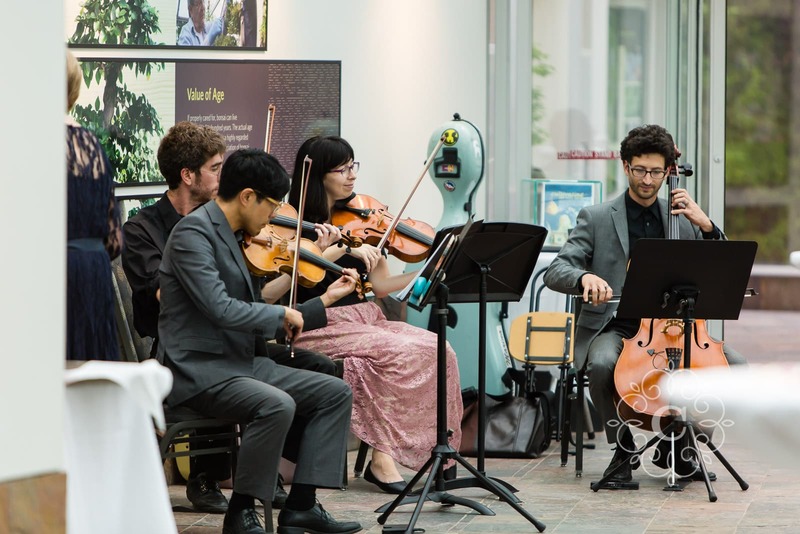 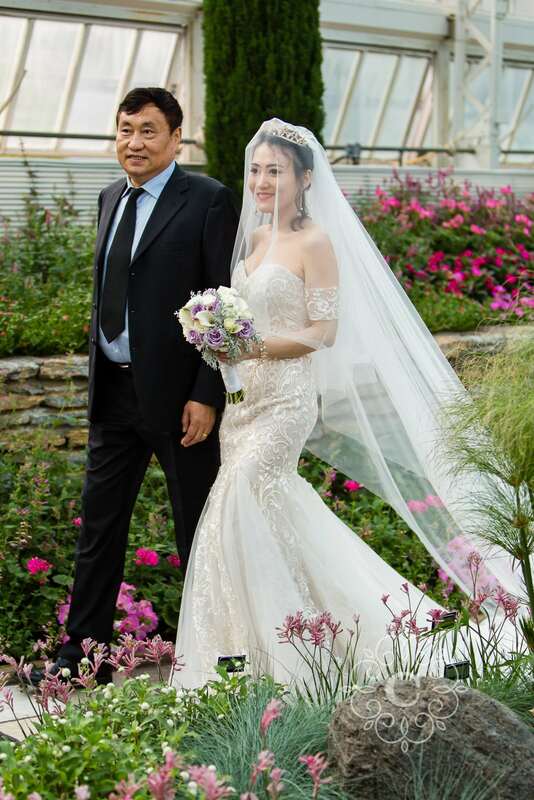 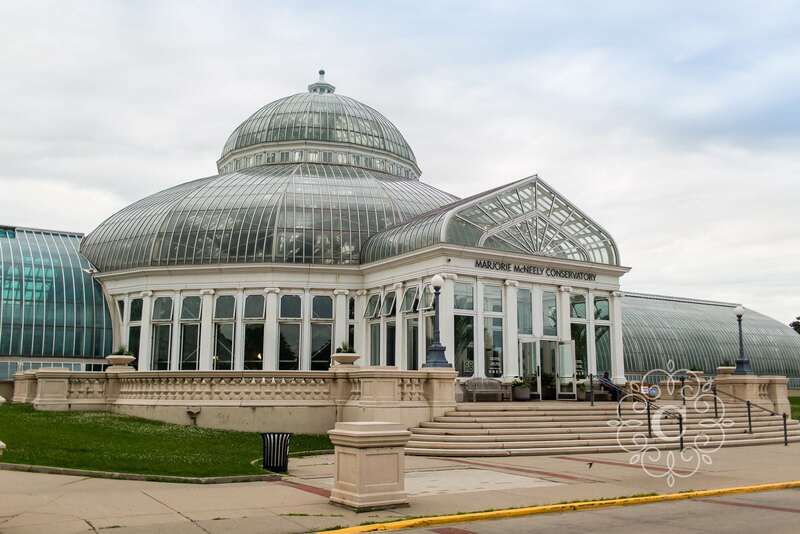 As they were considering options, they decided on the Como Conservatory. 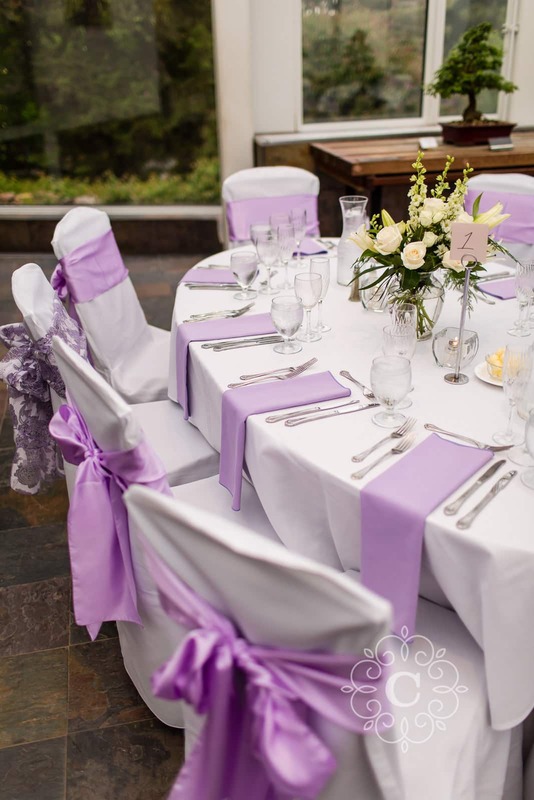 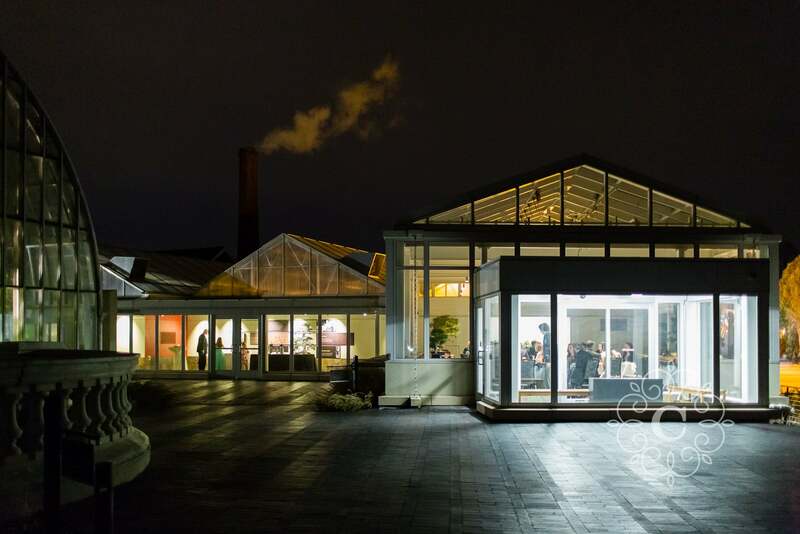 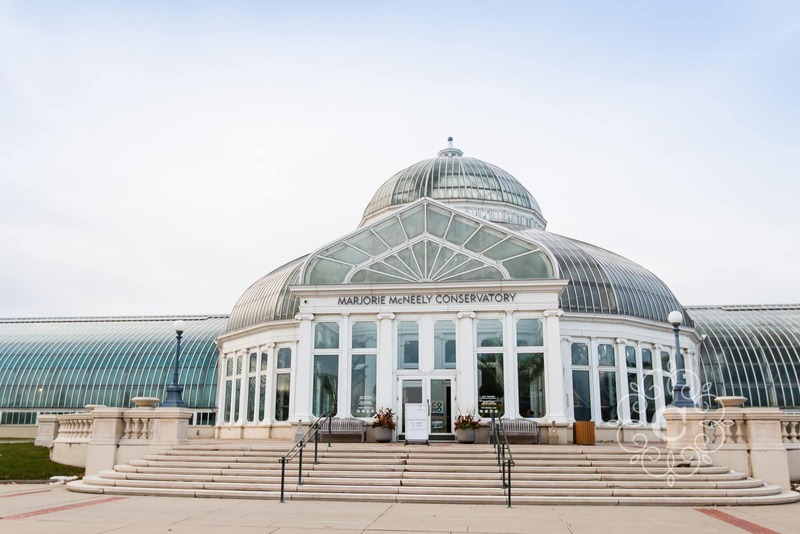 The Conservatory had perfect locations both inside and outside the building. 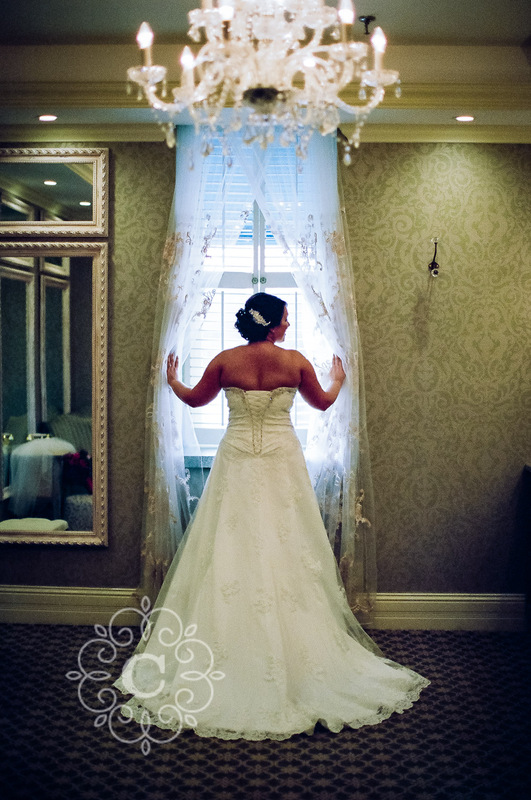 As their day was approaching, we watched the weather forecast closely. 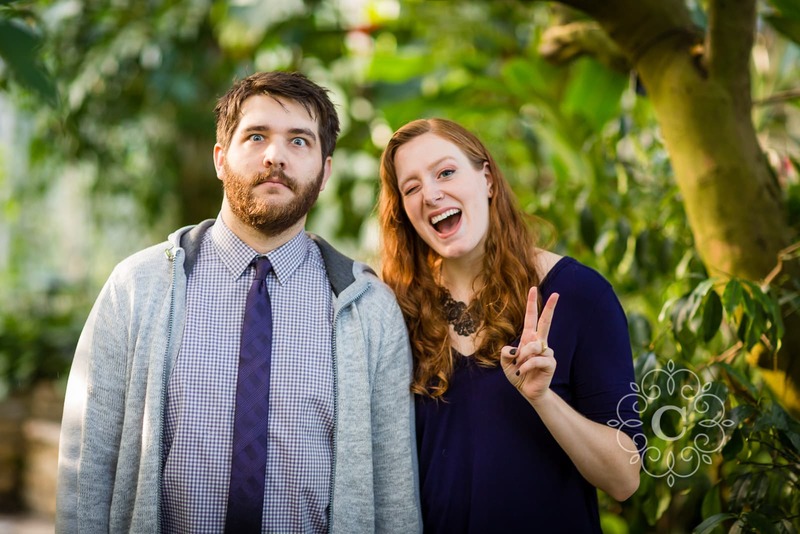 It wasn’t looking favorable for us. 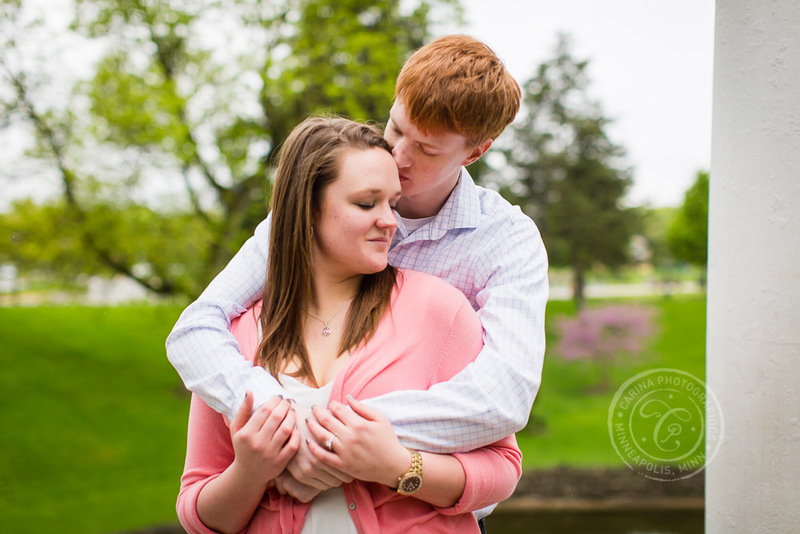 Rain, cold and wind were on tap for the day. 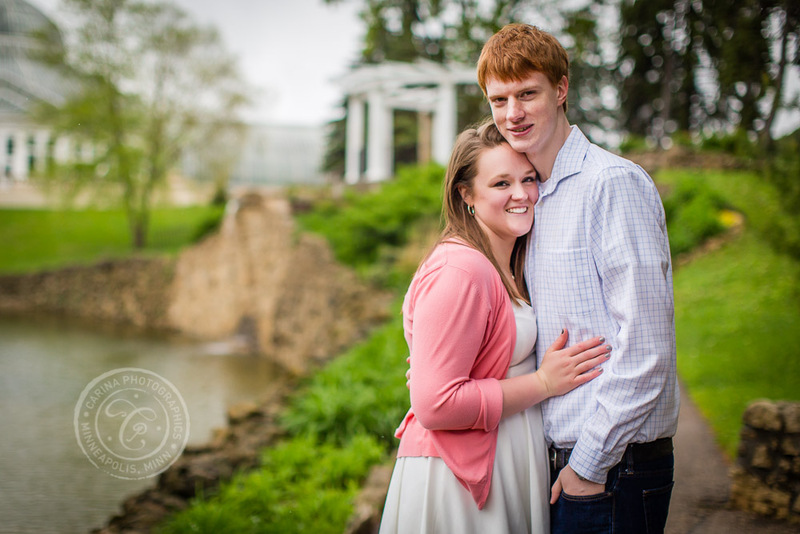 Because Katie + Brett would both be moving separately to different states due to school and work obligations, we had to go forward with their session rain or shine. 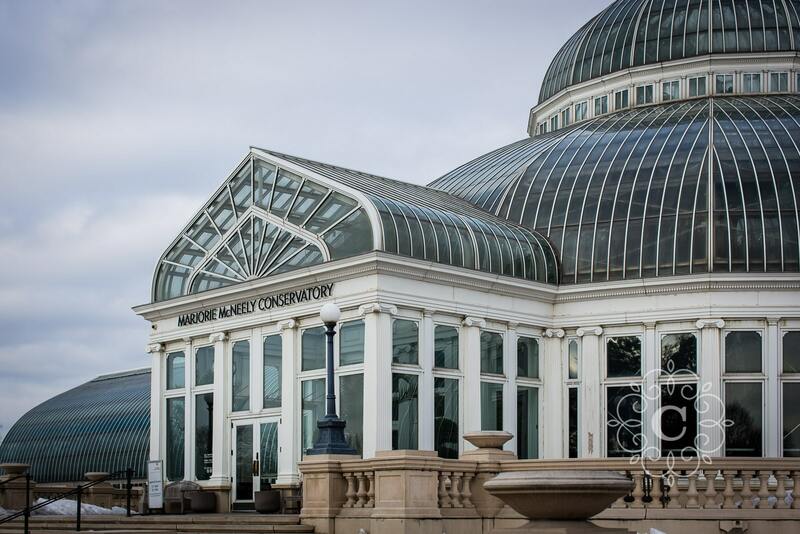 Luckily the Como Conservatory had awesome locations both indoors AND outdoors. 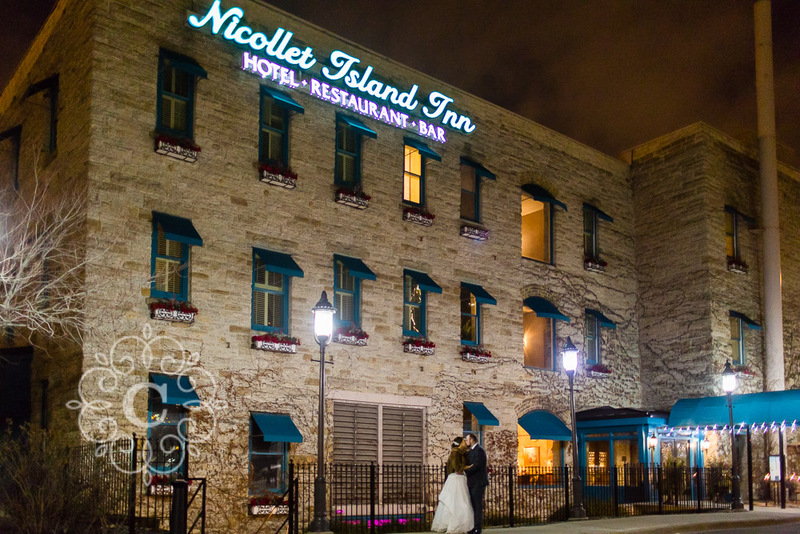 It’s the perfect place in any weather! 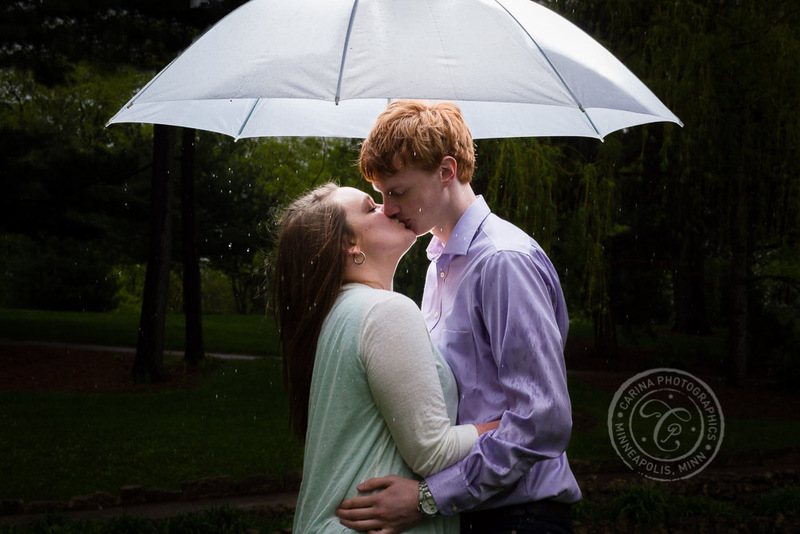 The day of their session began rainy, windy and chilly. 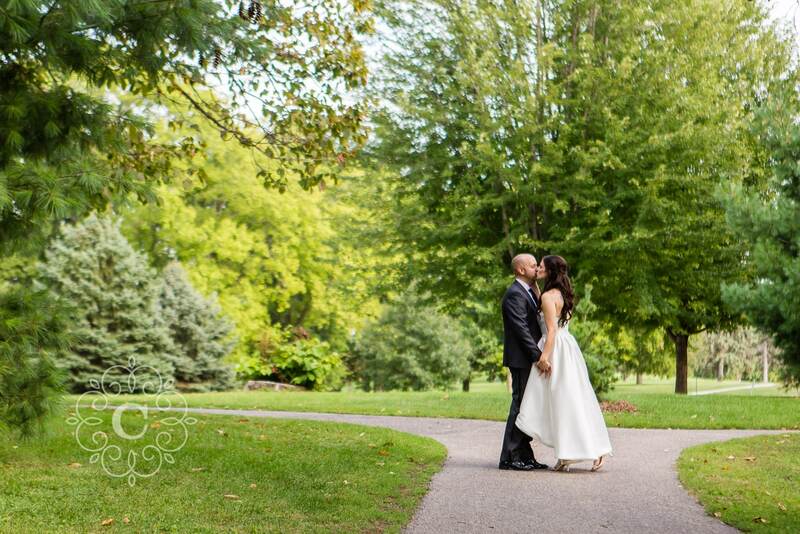 We started with some time outdoors by the frog pond. 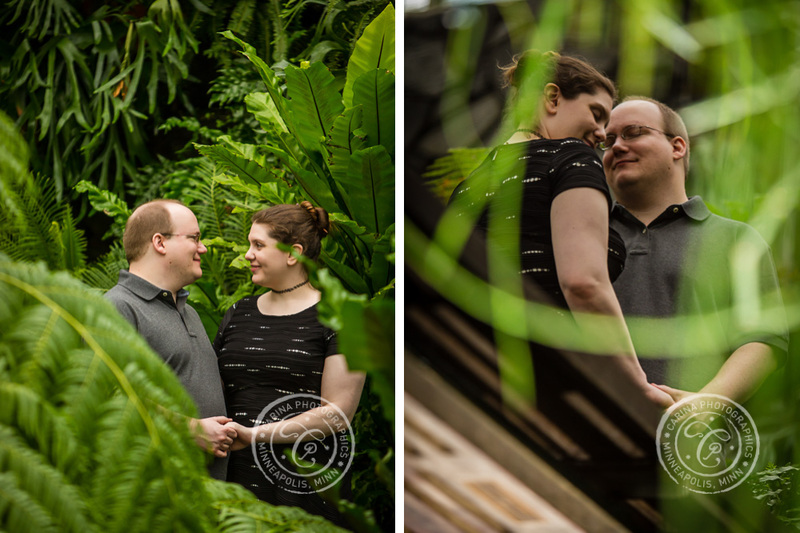 Then we decided to warm up and dry out in our cars until the Conservatory opened. 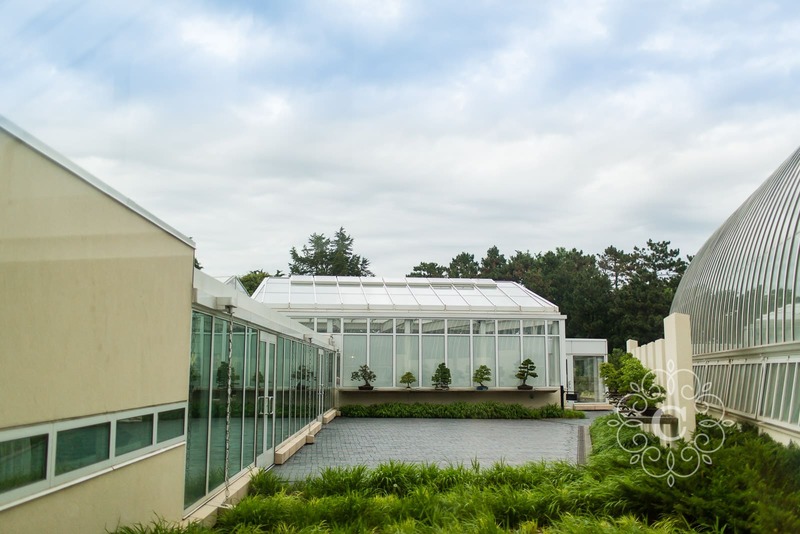 Just before opening, about 20 school busses arrived with loads of school children for a field trip. 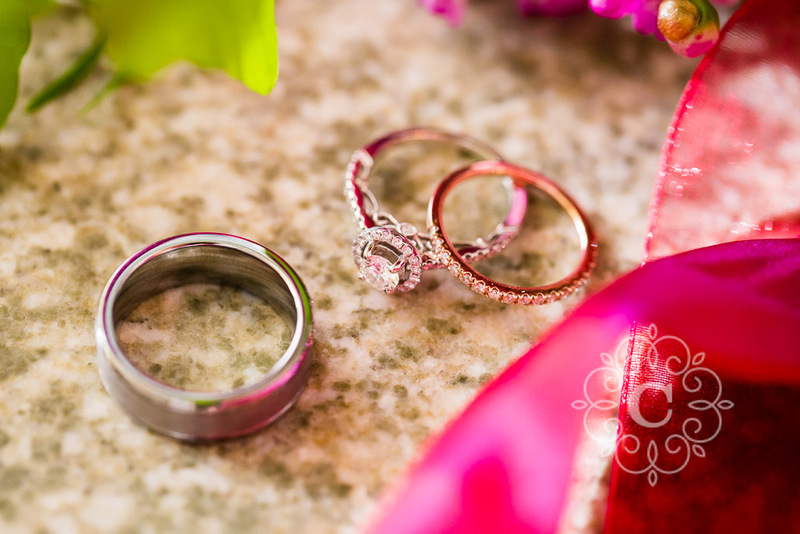 We were set for another challenge! 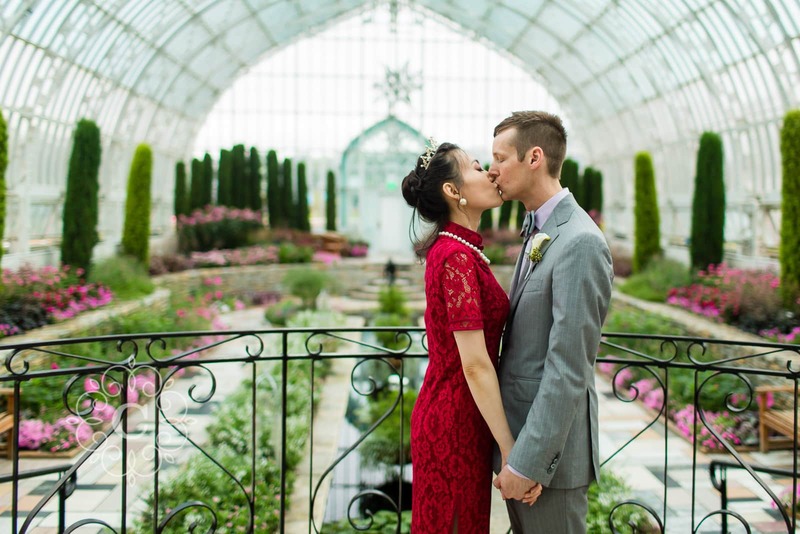 However, once we got inside, we worked quickly. 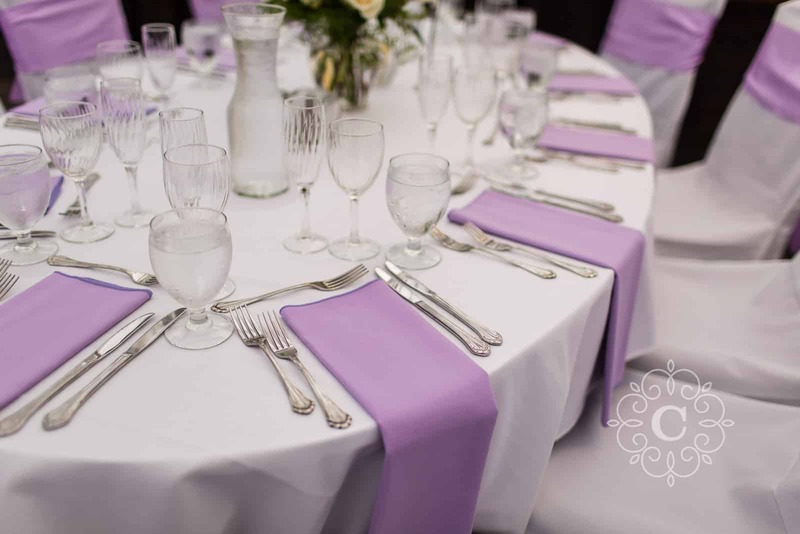 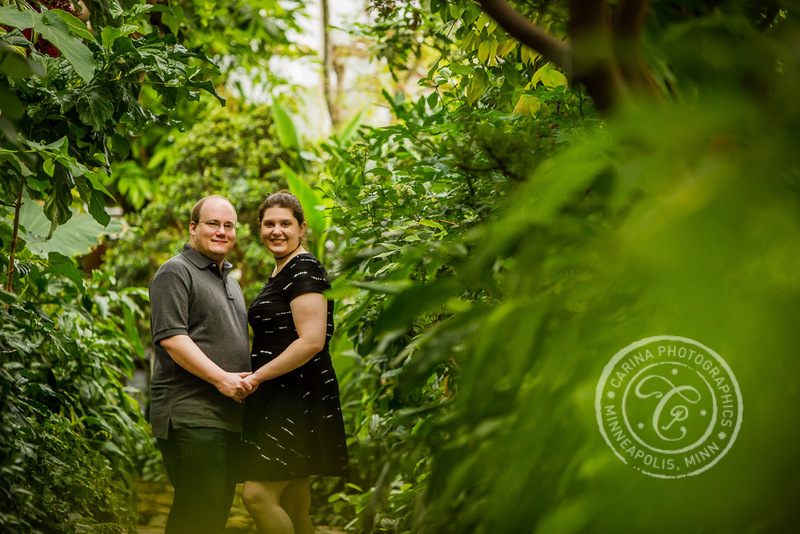 We were able to move around to numerous locations that were relatively empty. 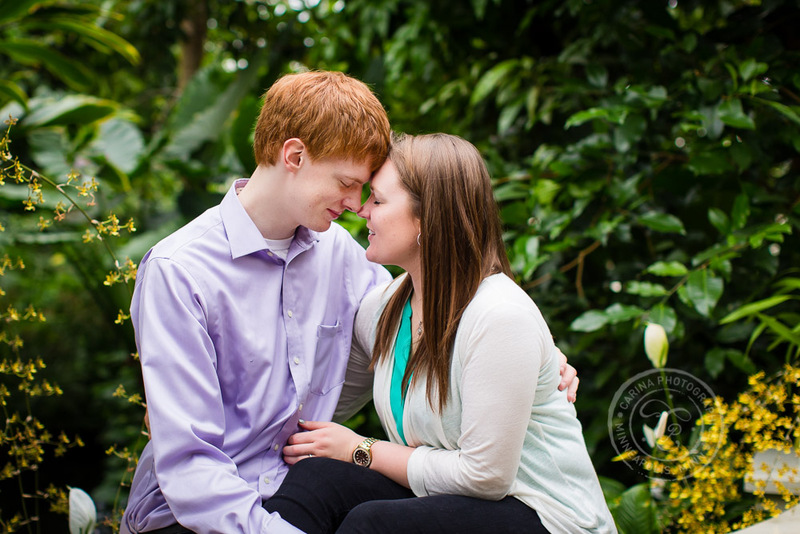 Before we knew it, we had spent over an hour together and captured tons of amazing portraits. 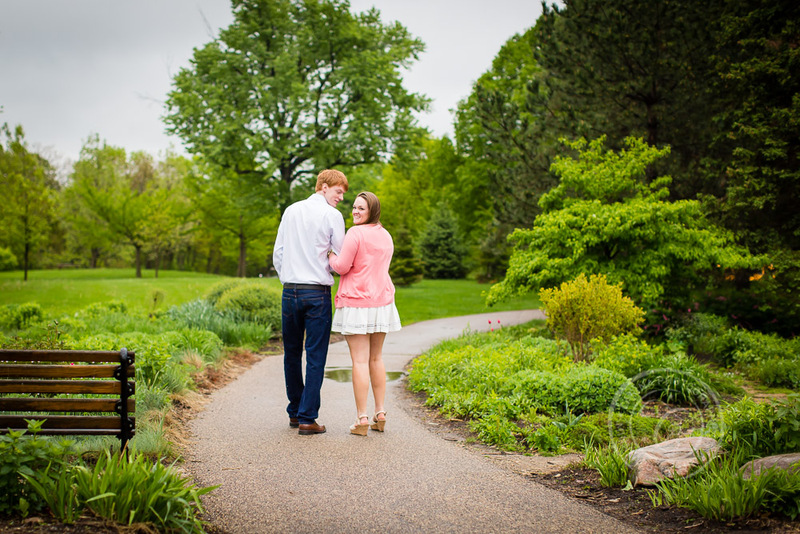 As an added bonus, the rain paused long enough for us to work by the frog pond again before their session was done. 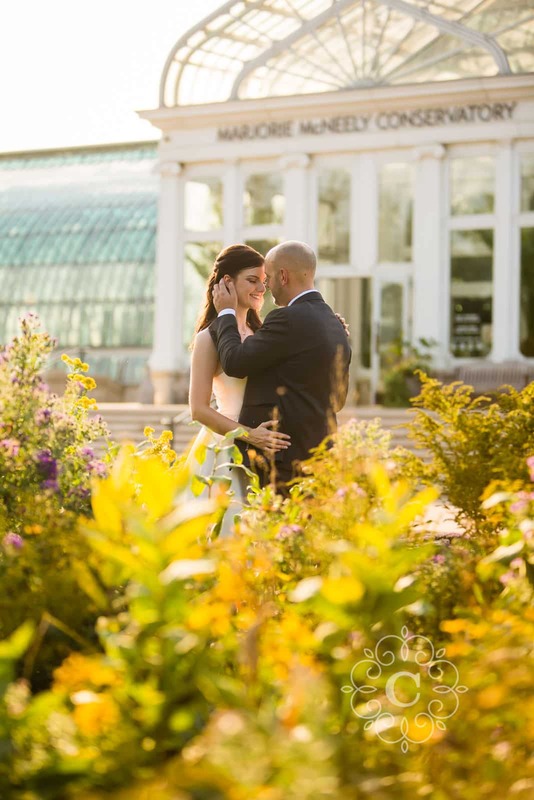 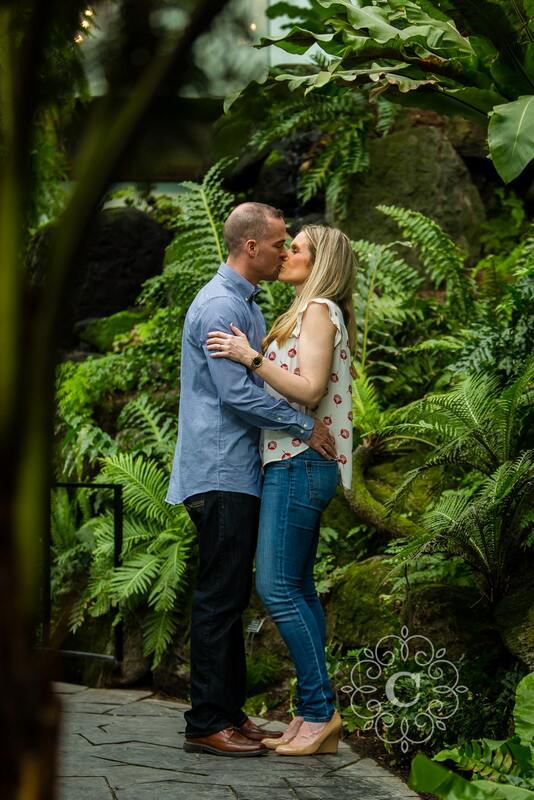 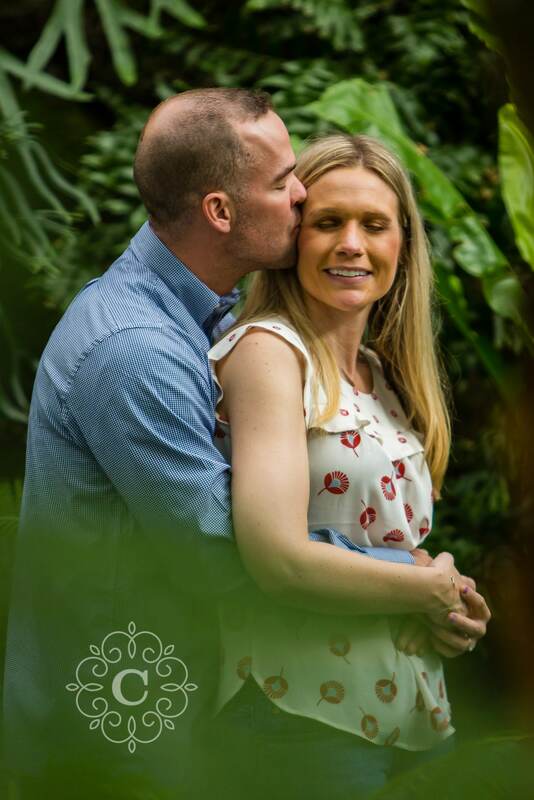 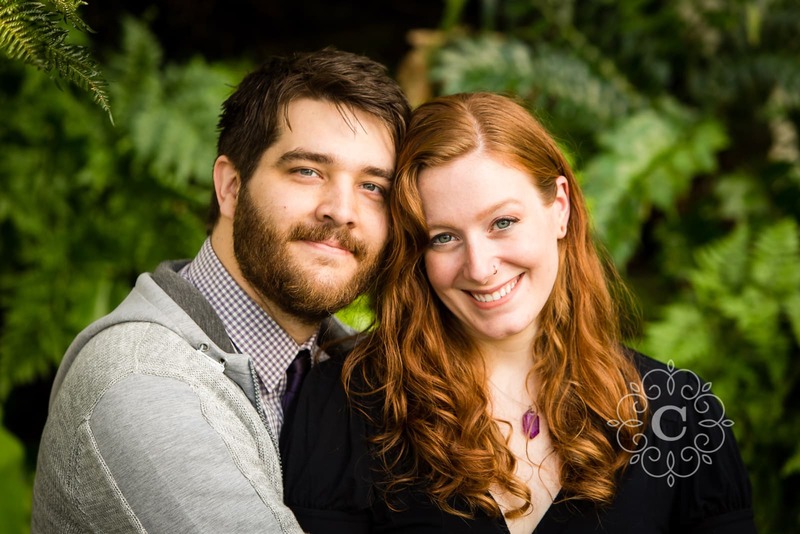 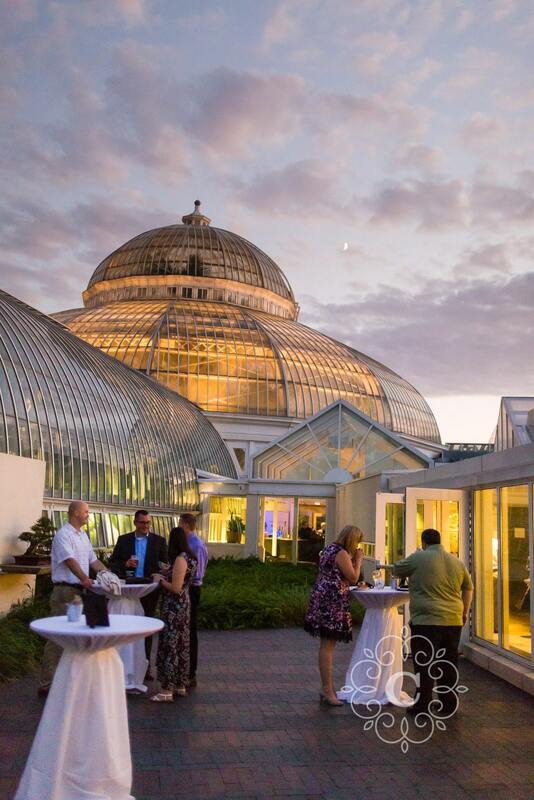 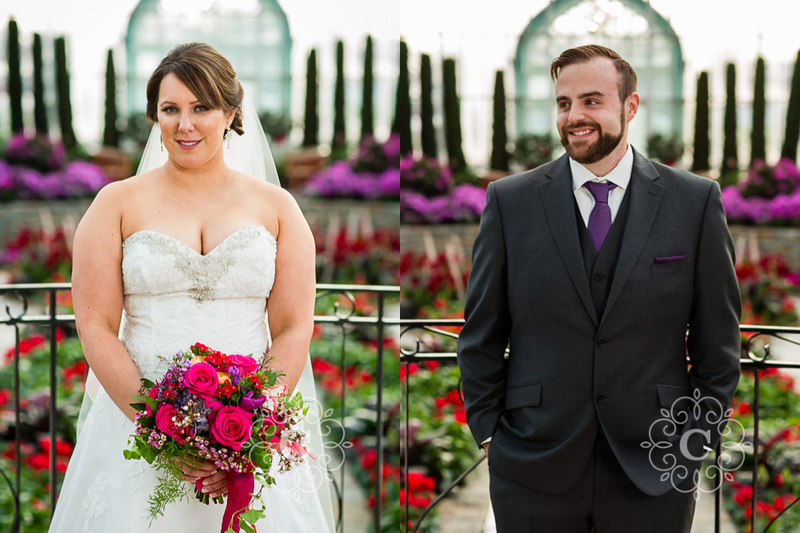 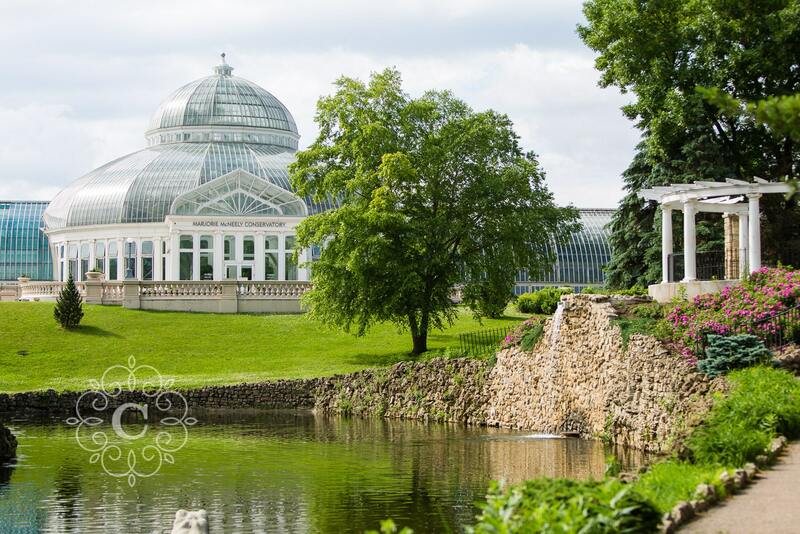 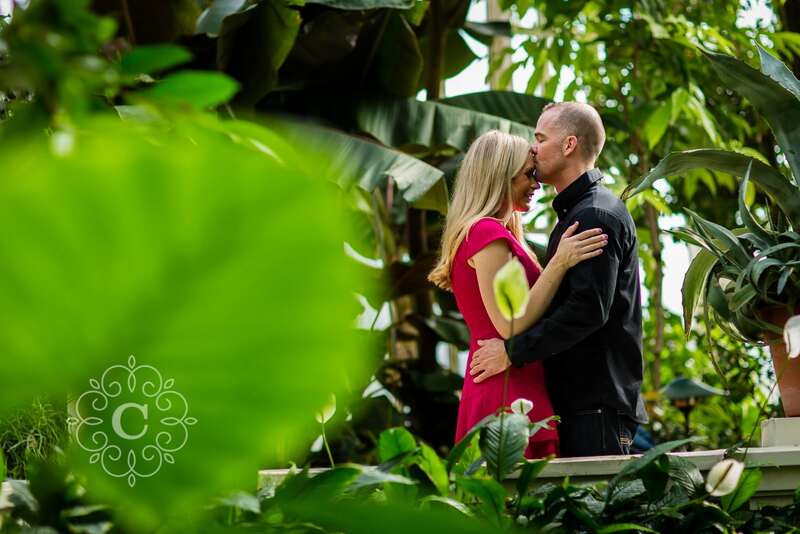 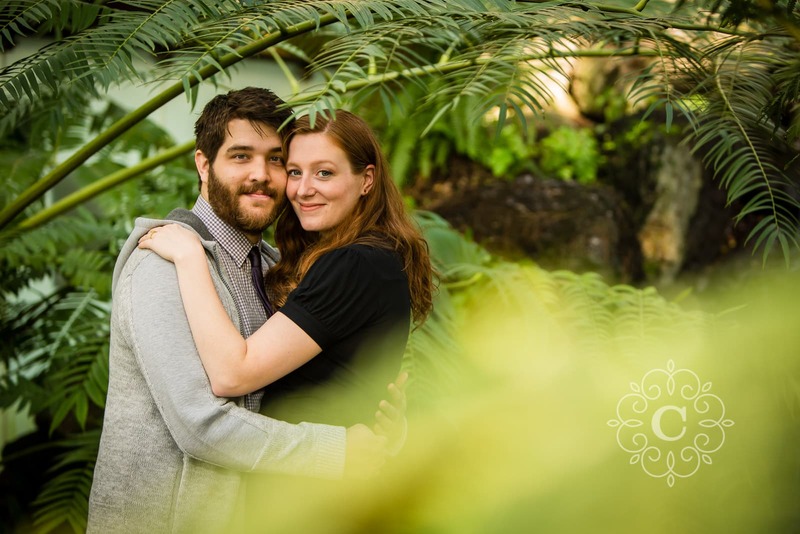 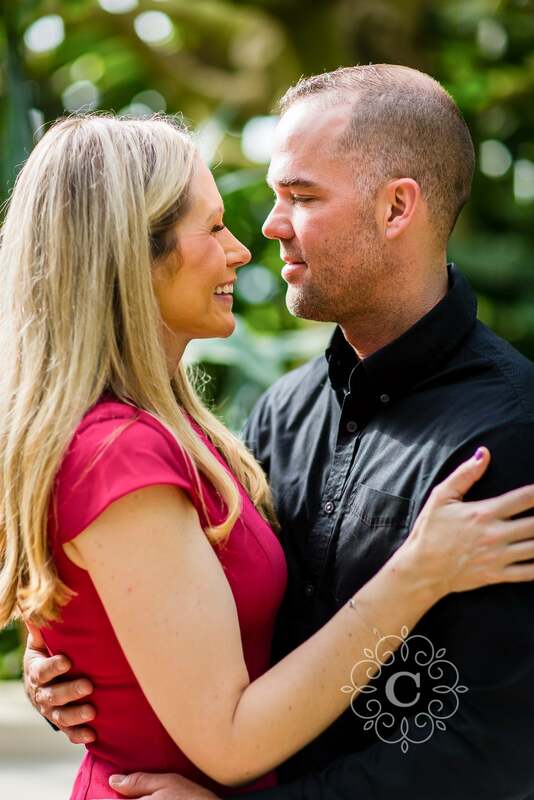 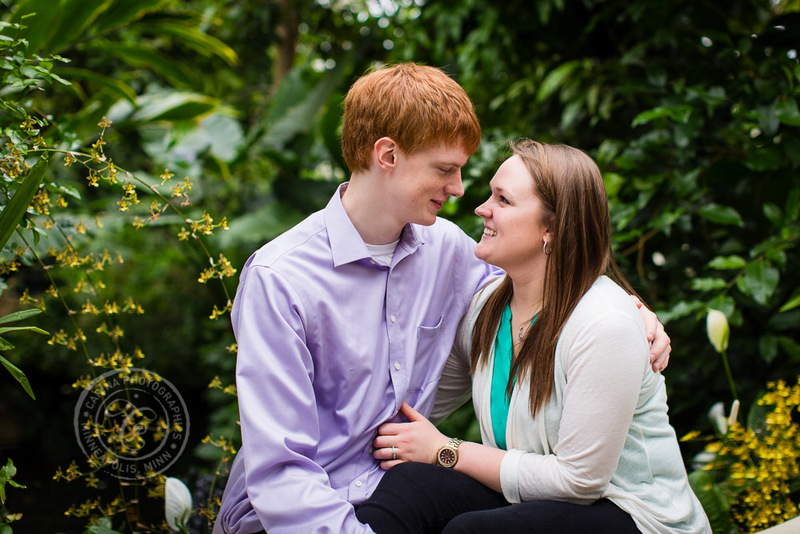 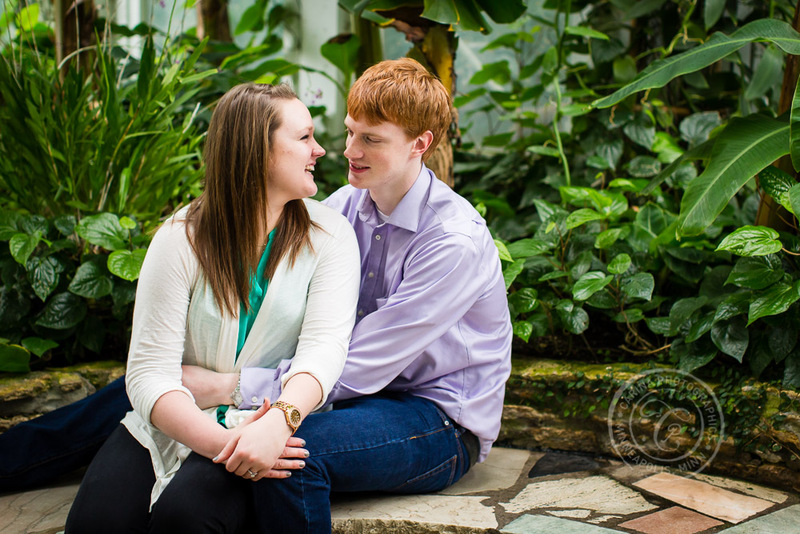 Katie + Brett, thank you so much for working with me for your beautiful Como Conservatory engagement photos. 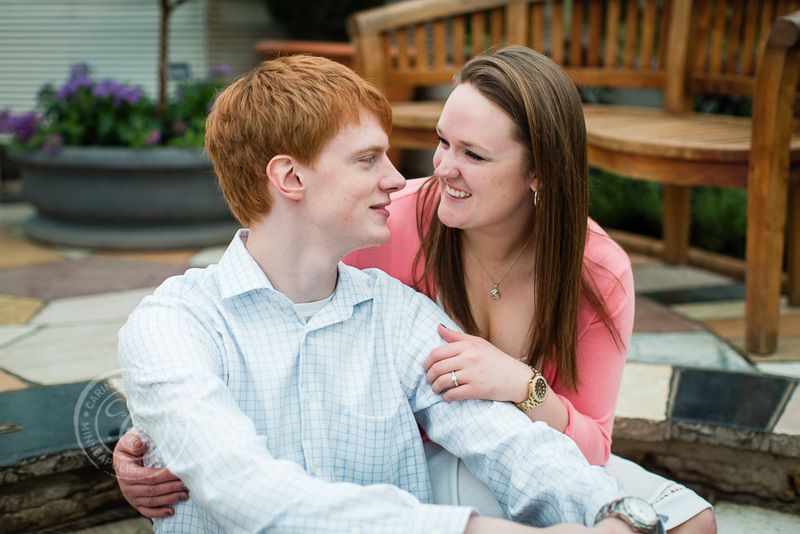 I am so excited for your big day! 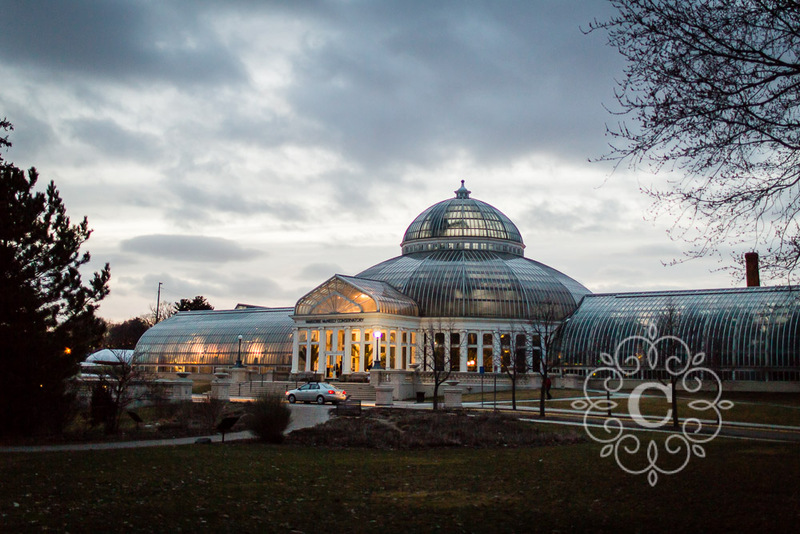 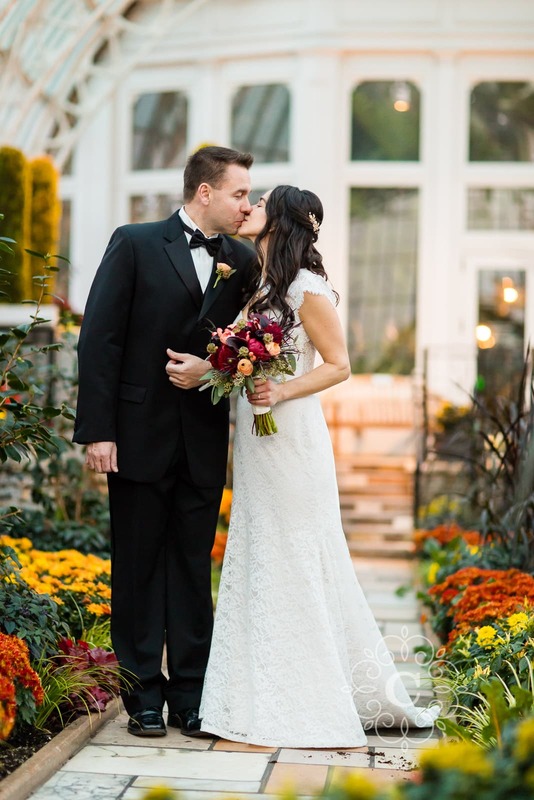 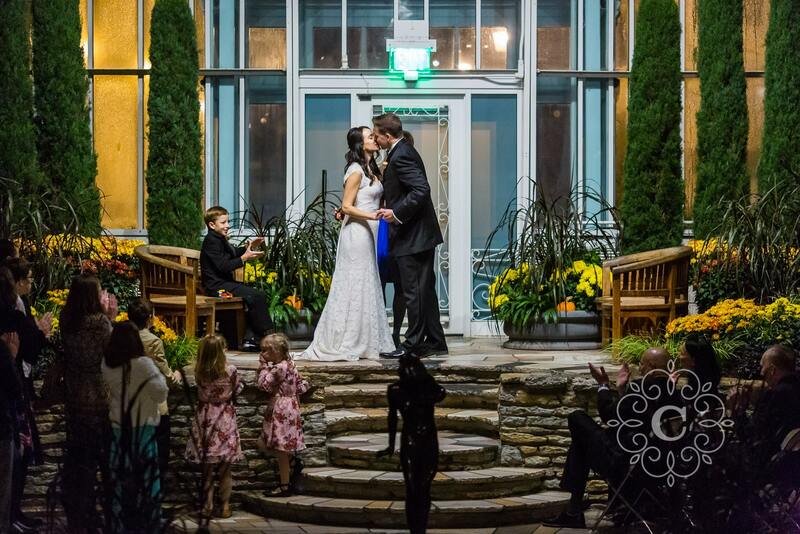 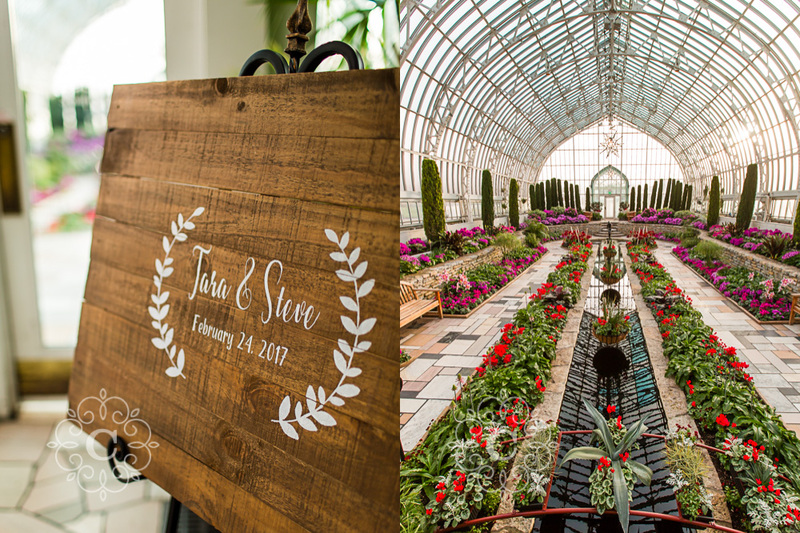 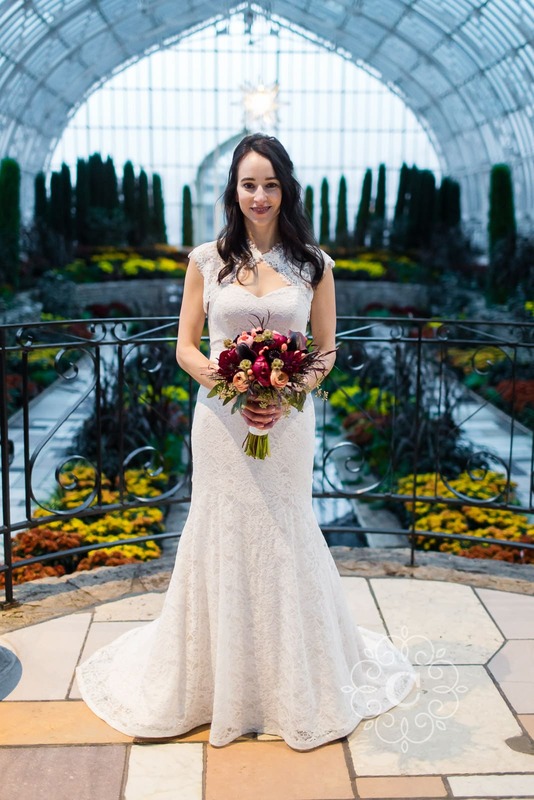 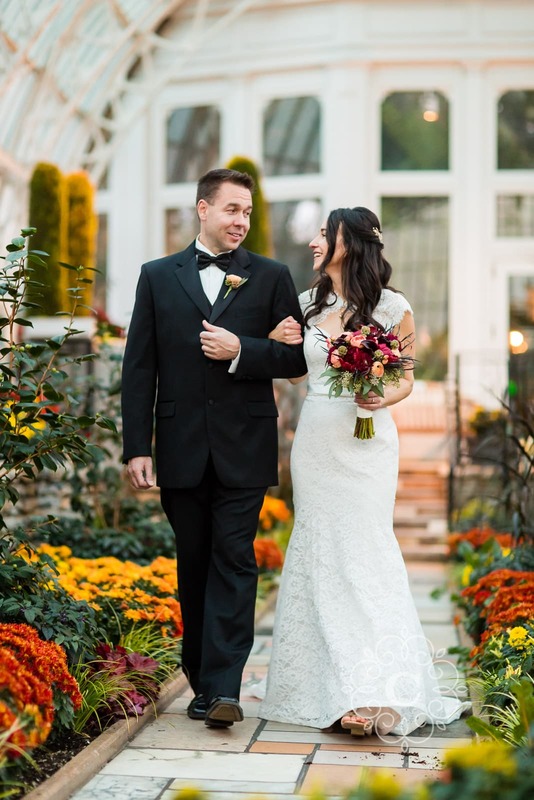 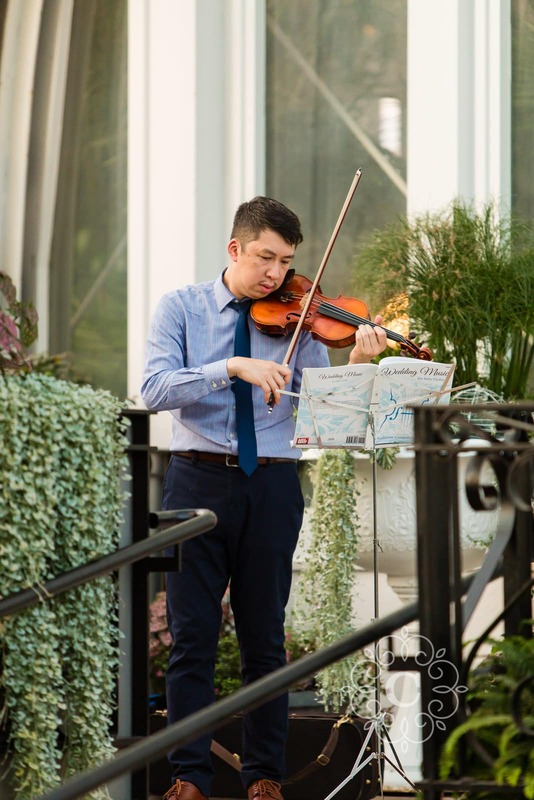 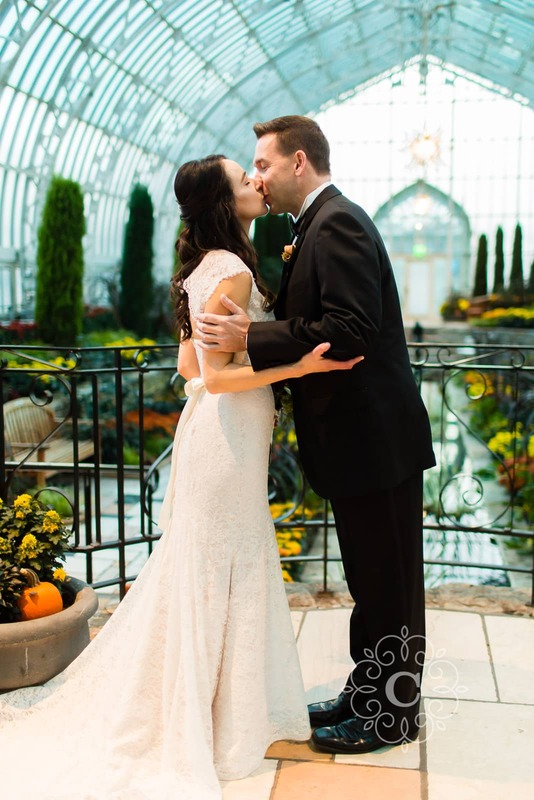 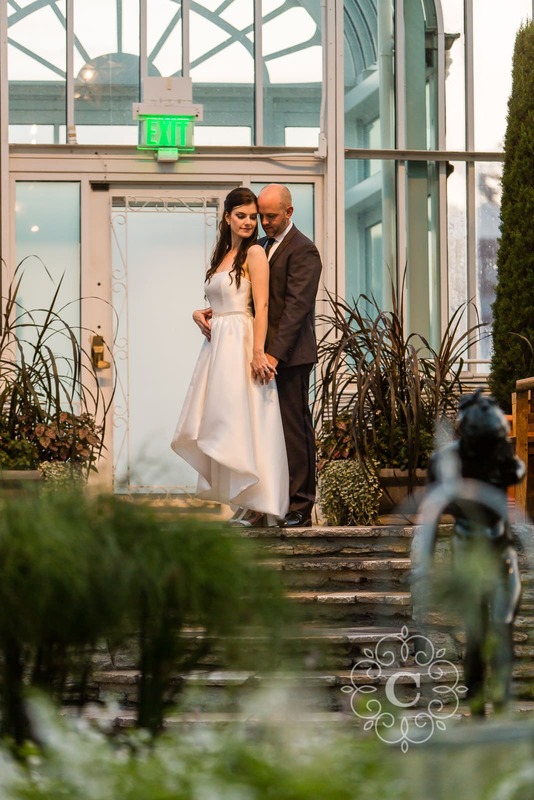 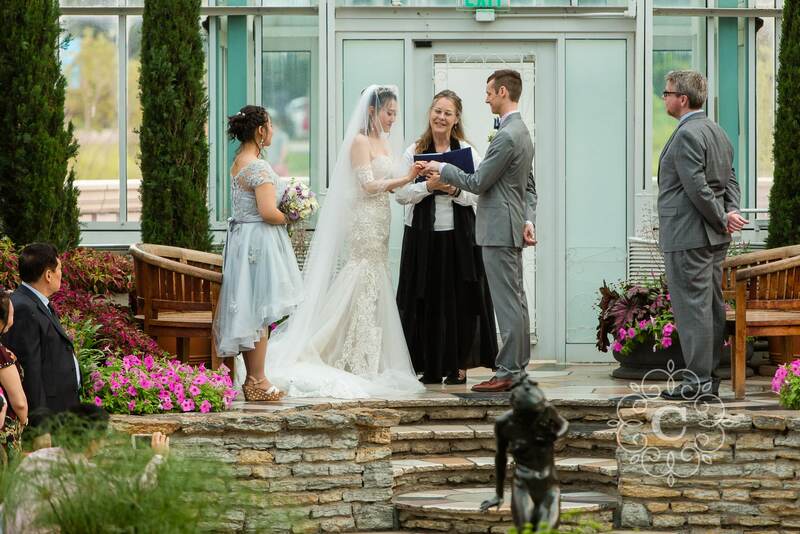 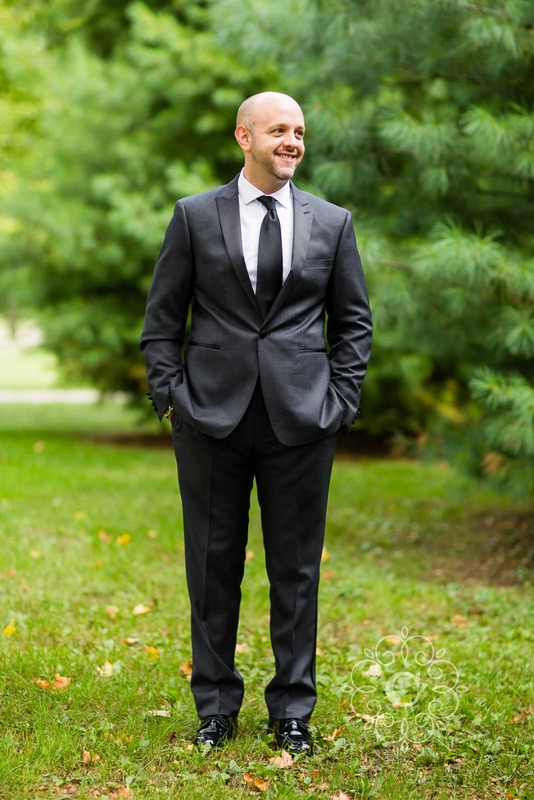 Be sure to take a look at some of my other spring Como Conservatory engagement photos, summer Como Conservatory engagement photos, indoor winter Como Conservatory engagement photos, outdoor winter Como Conservatory engagement photos, and even Como Town engagement photos too! 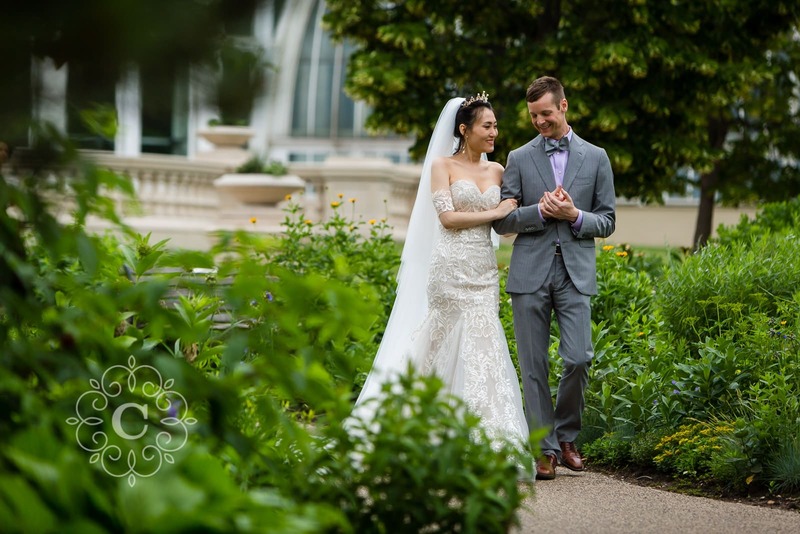 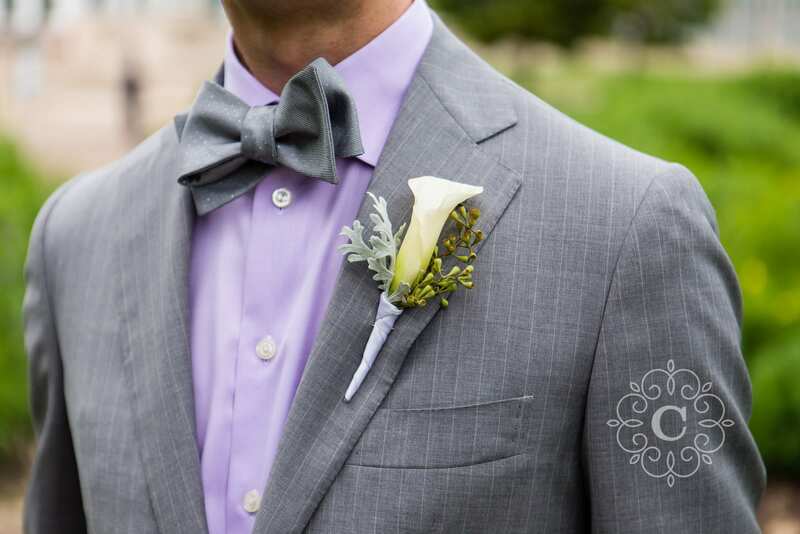 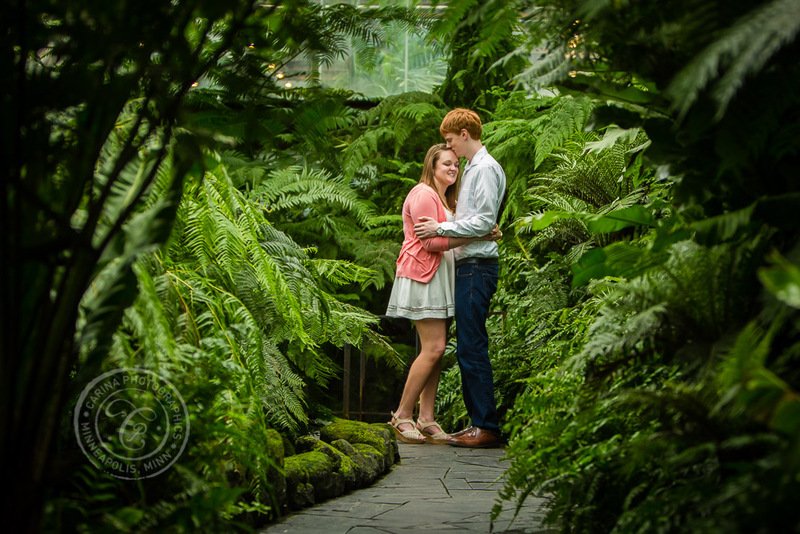 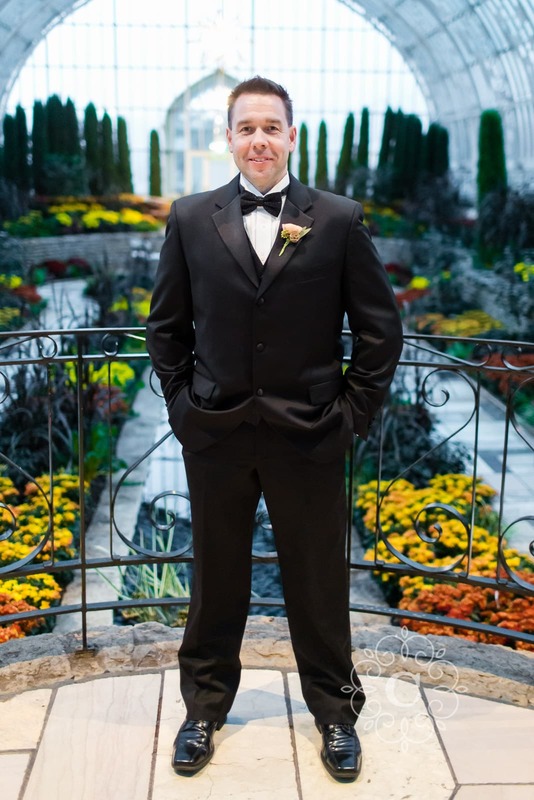 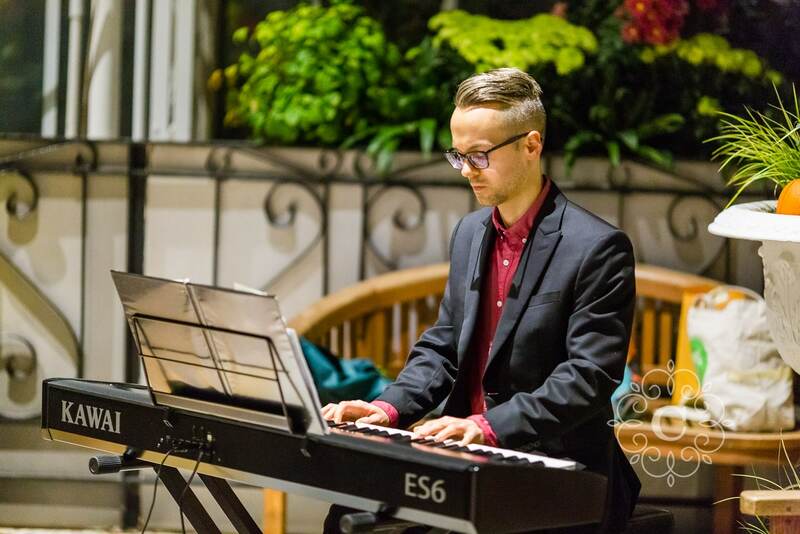 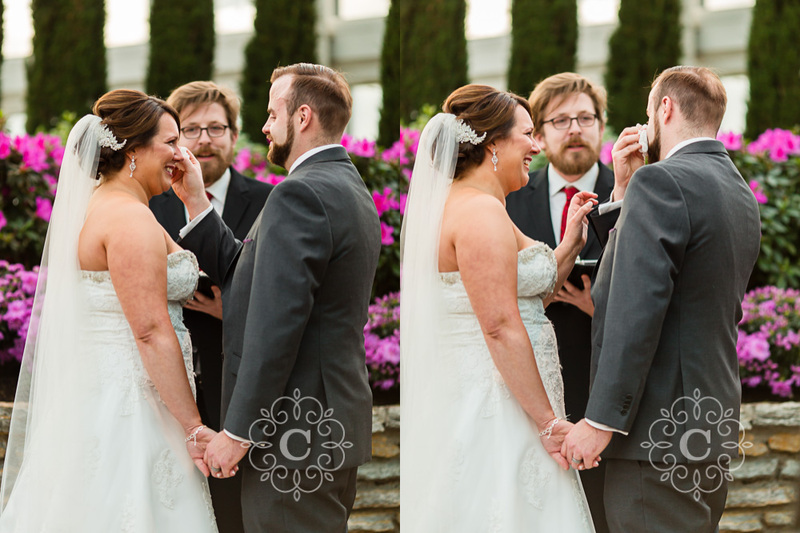 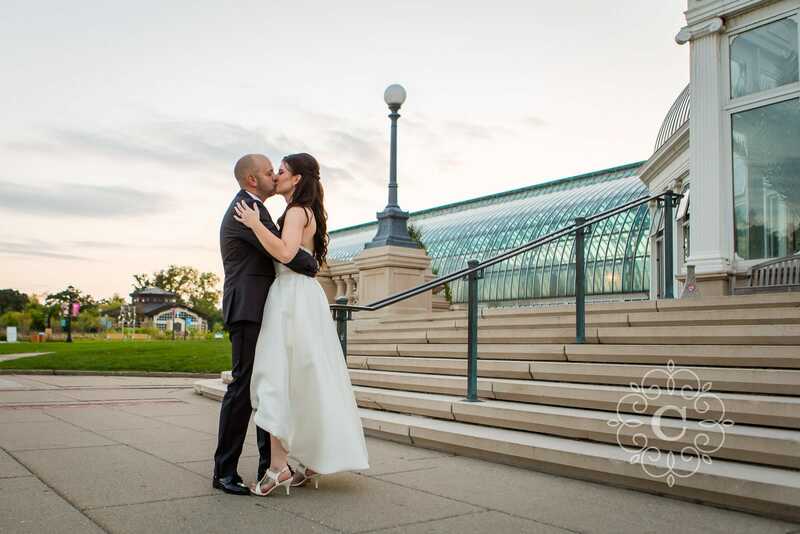 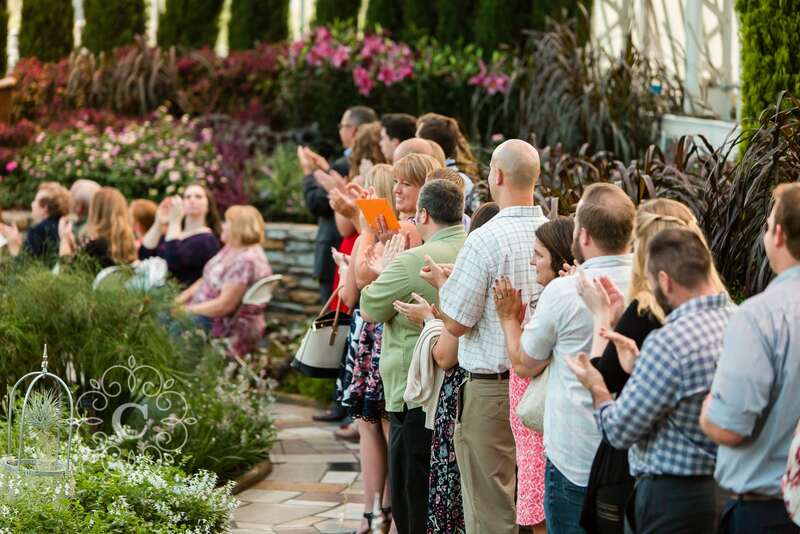 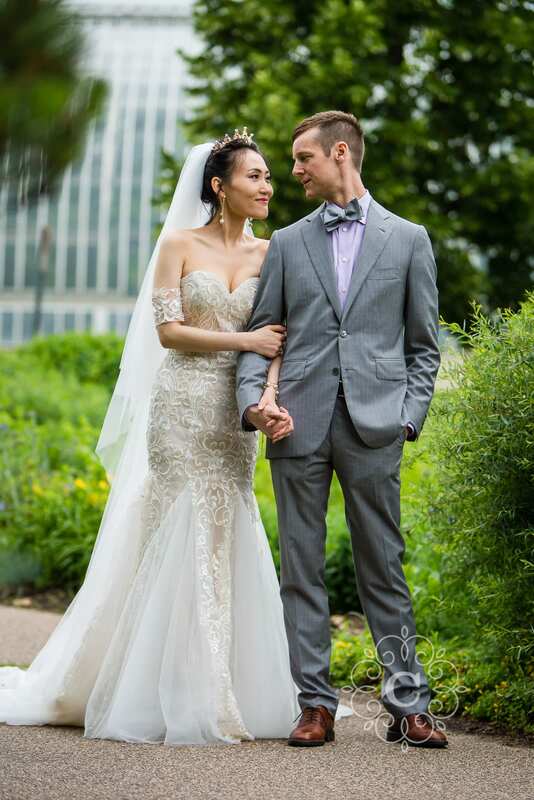 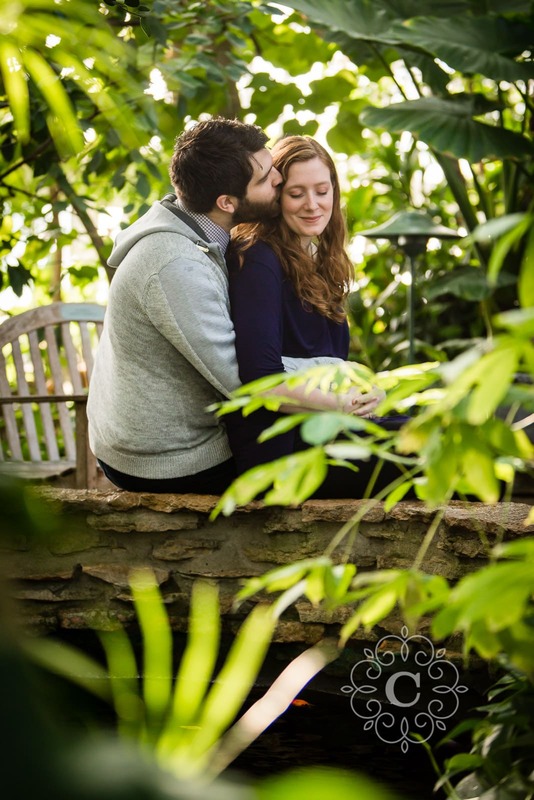 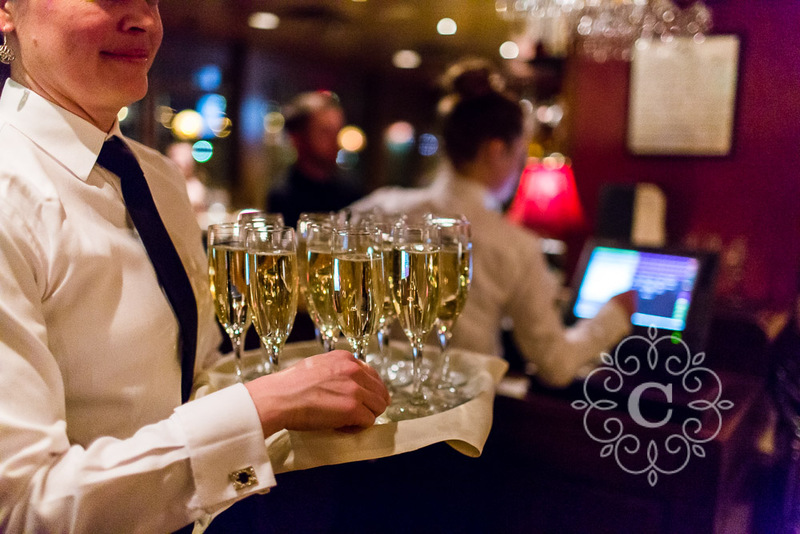 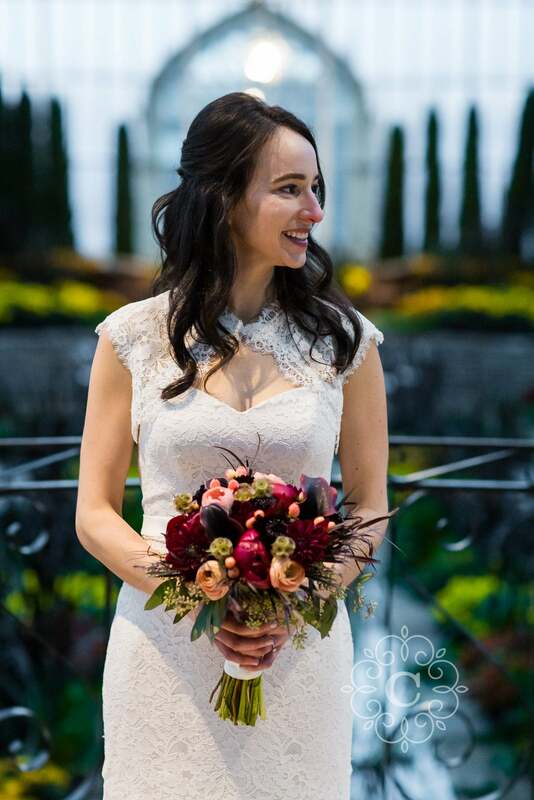 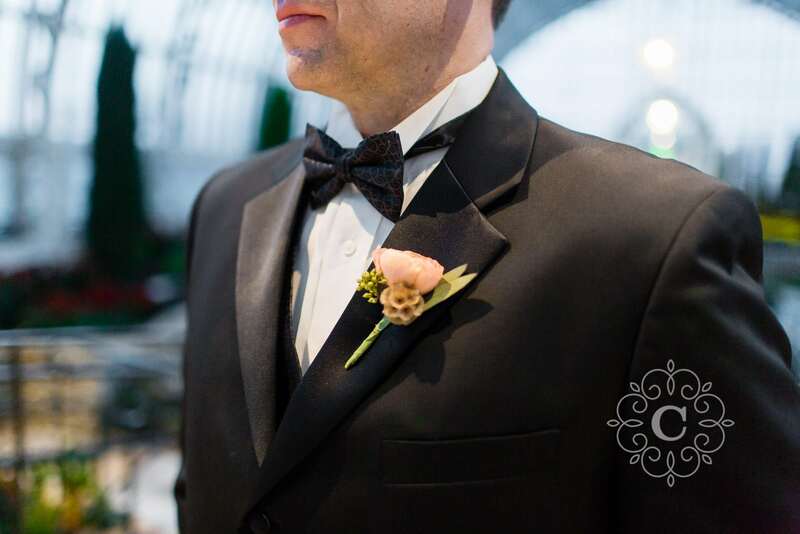 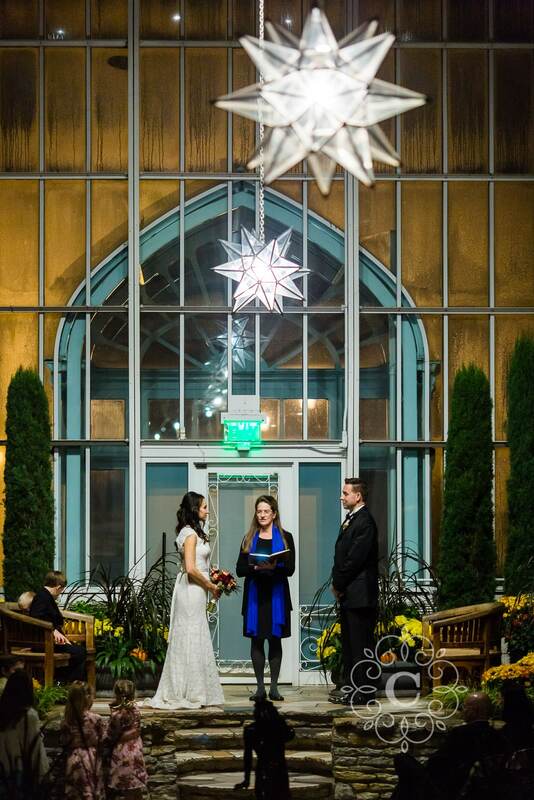 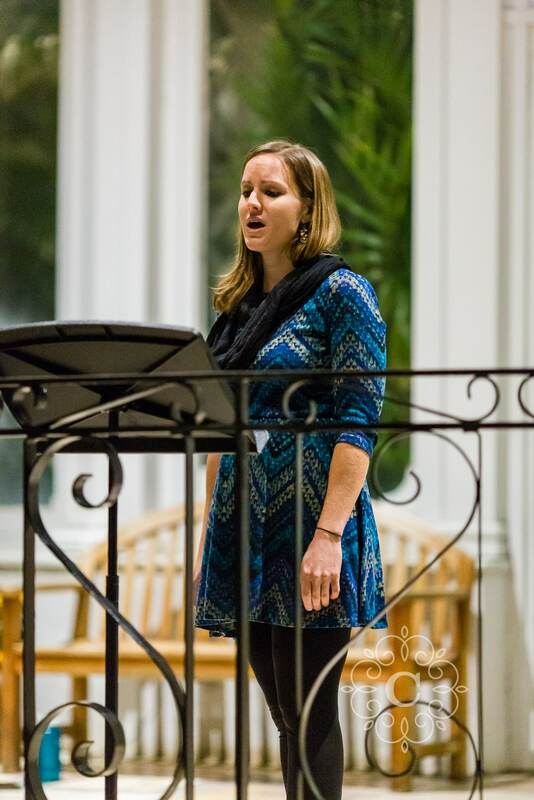 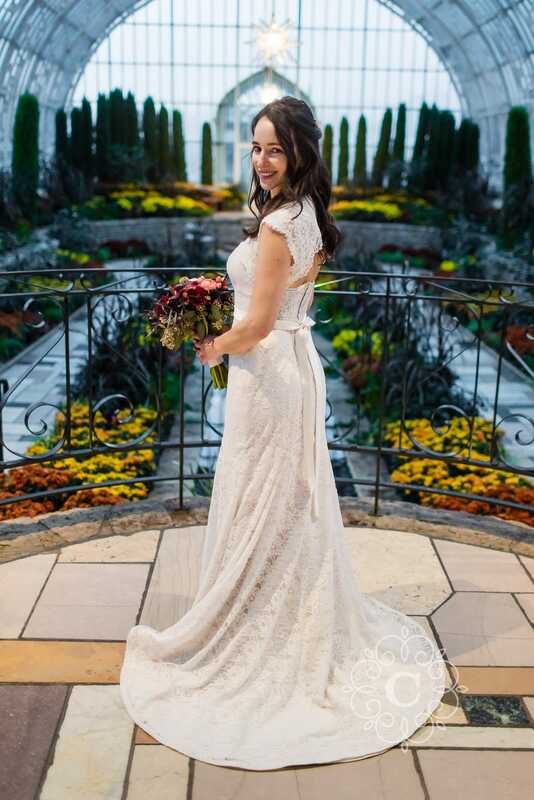 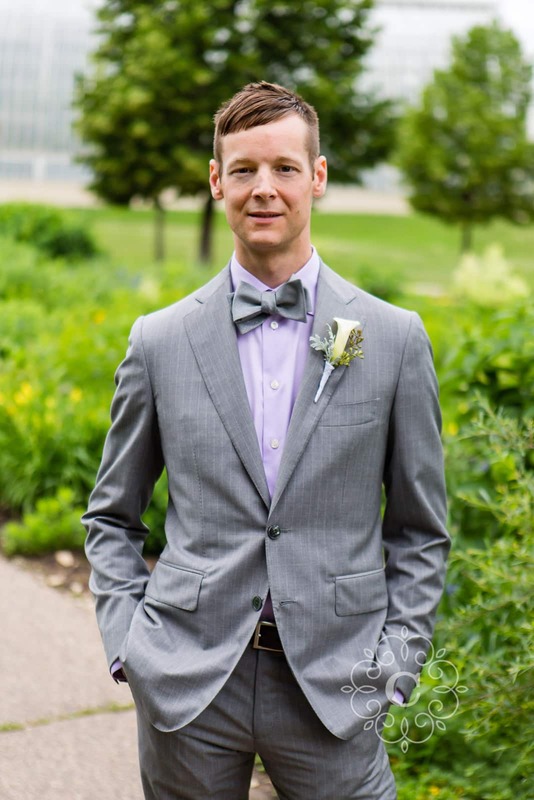 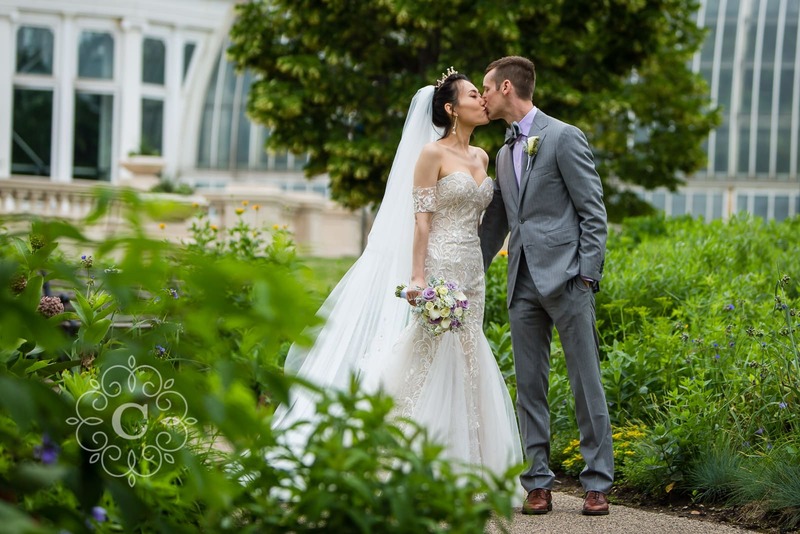 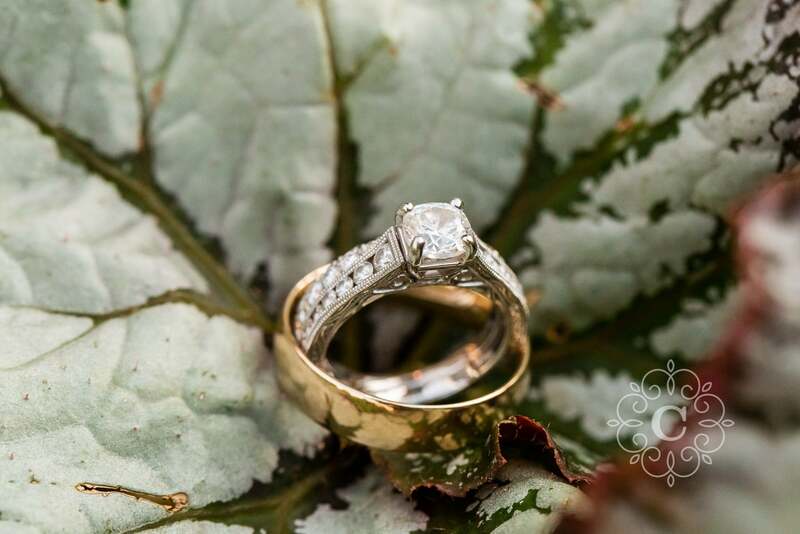 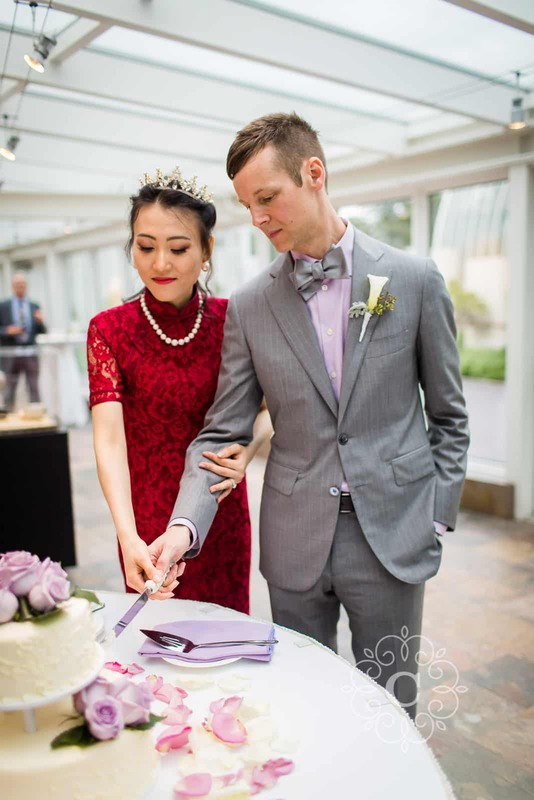 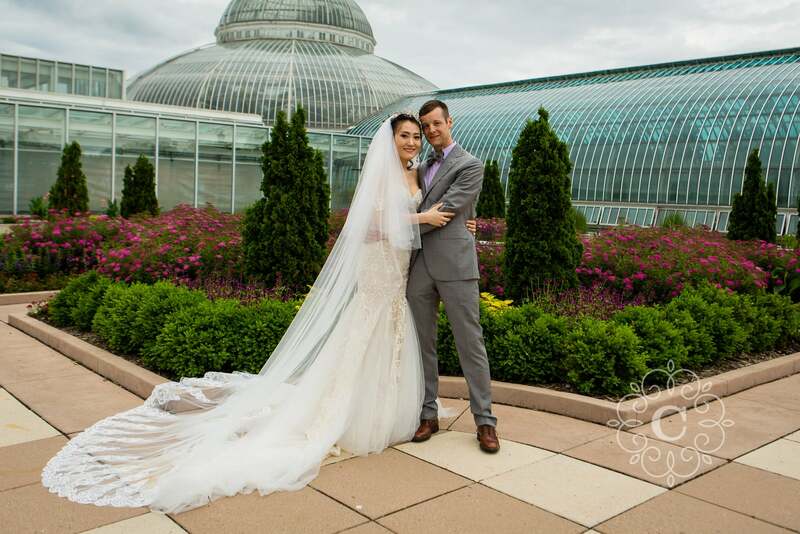 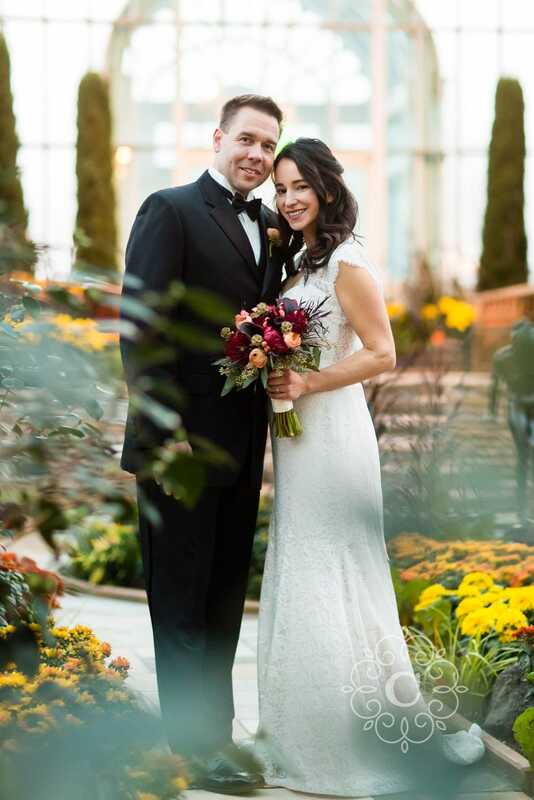 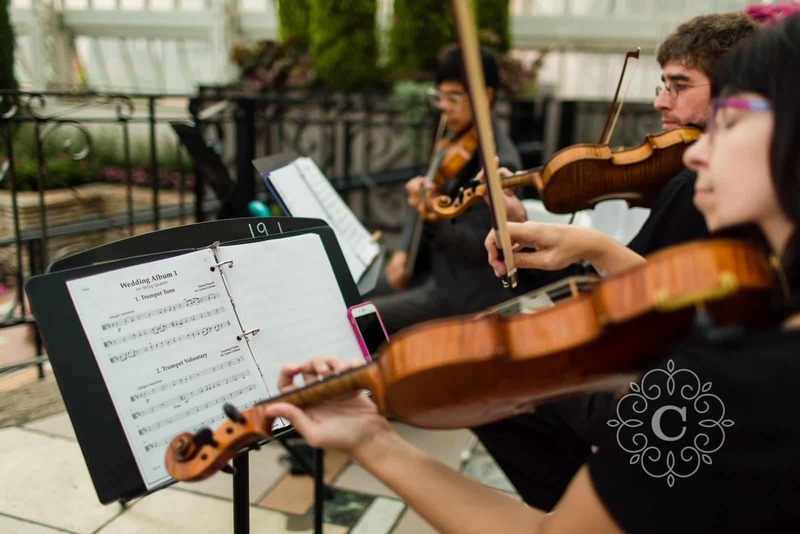 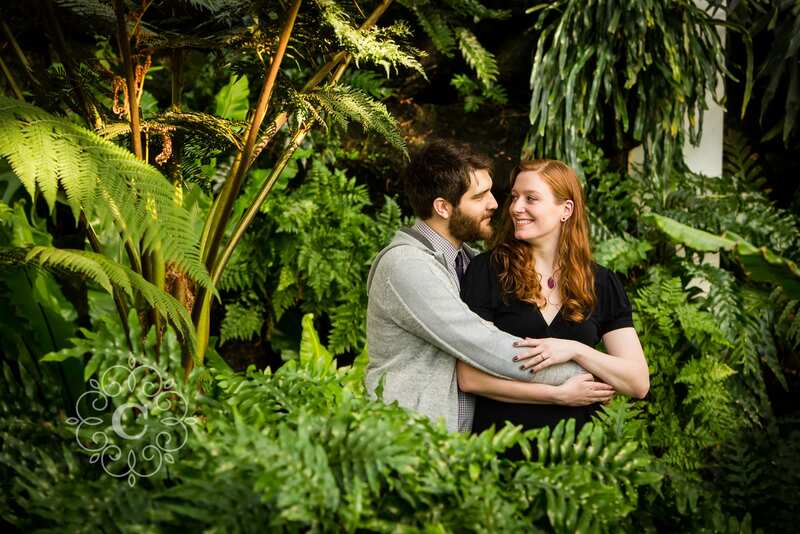 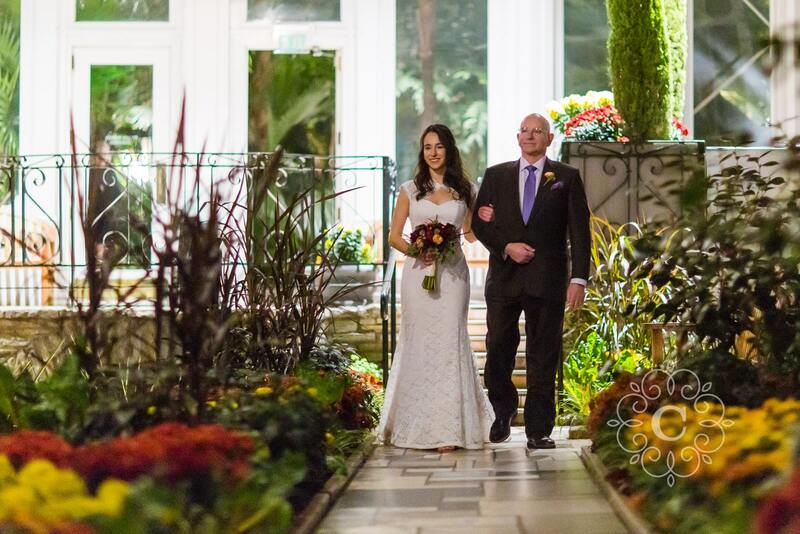 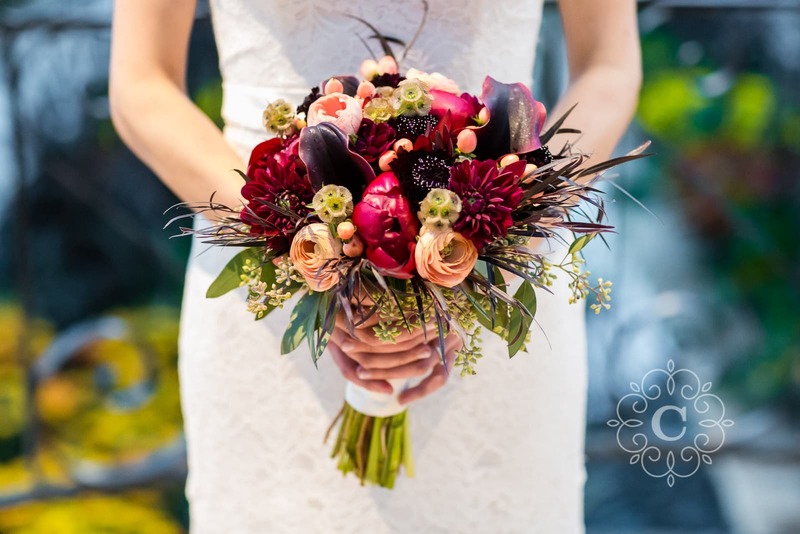 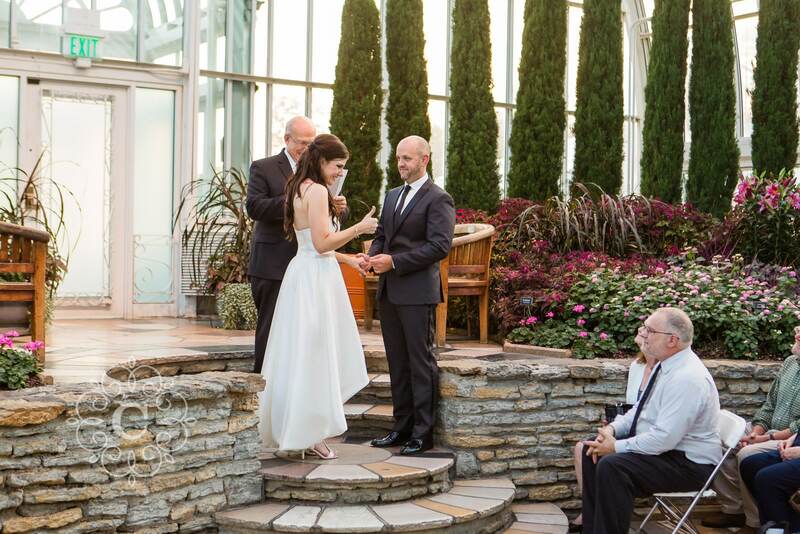 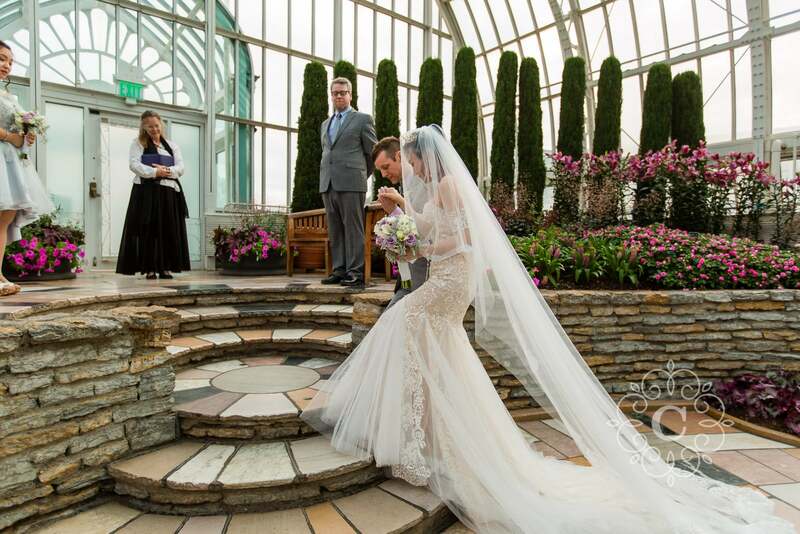 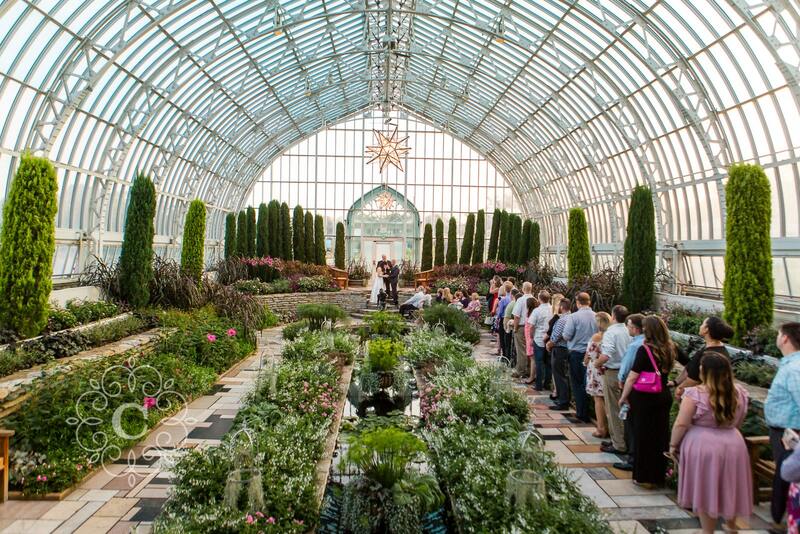 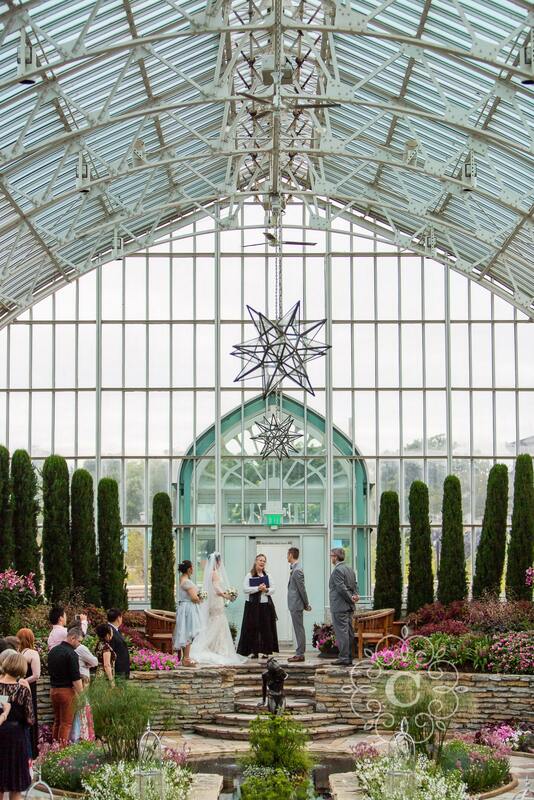 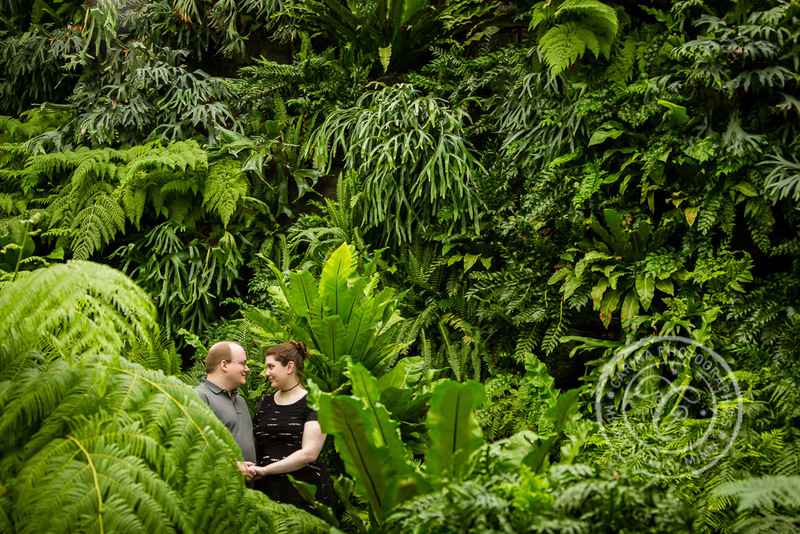 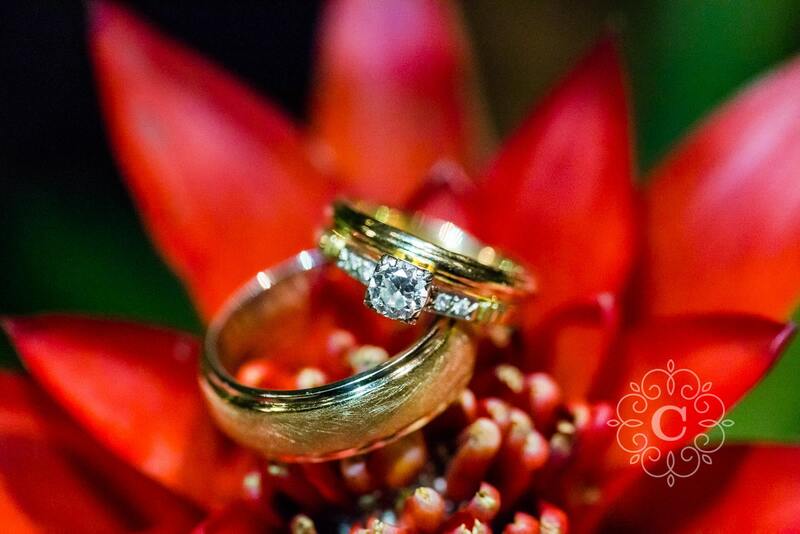 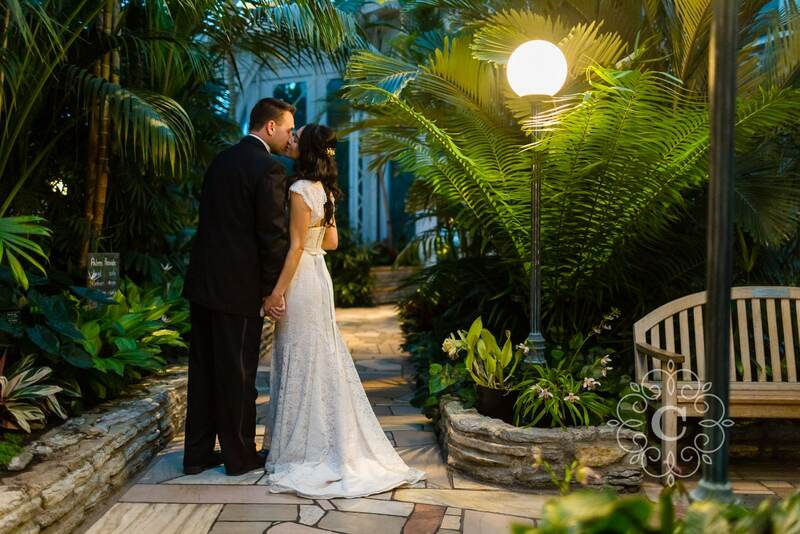 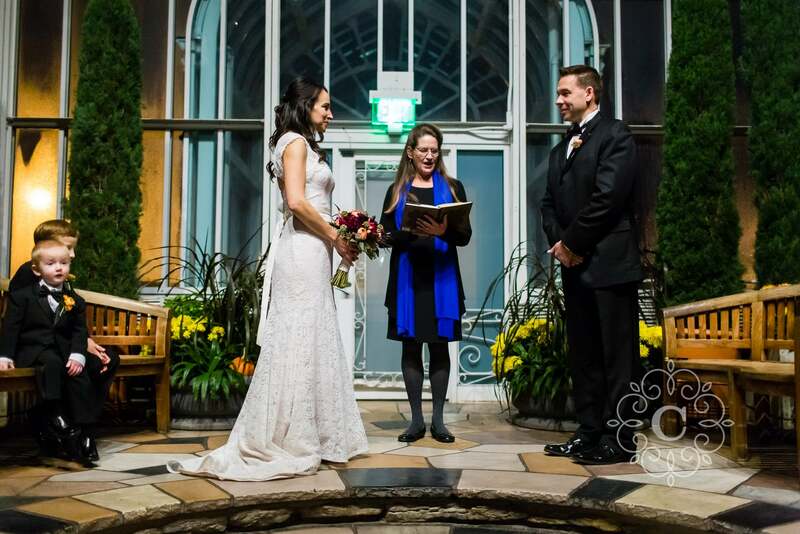 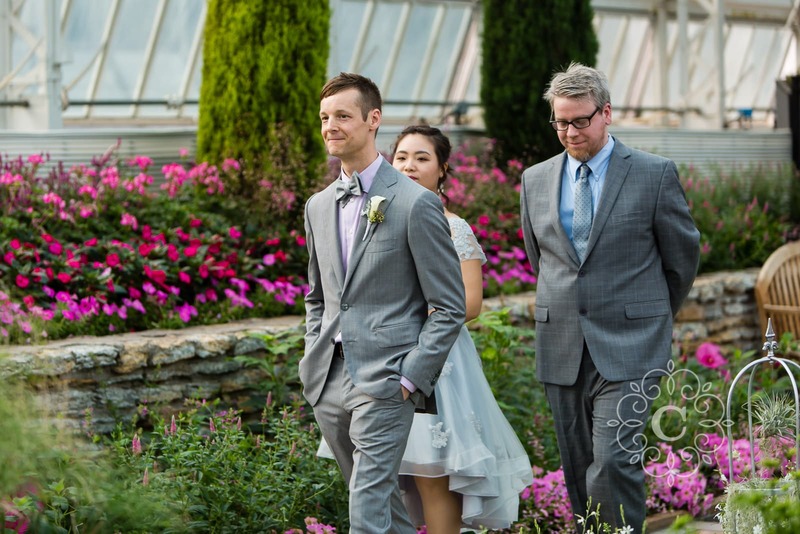 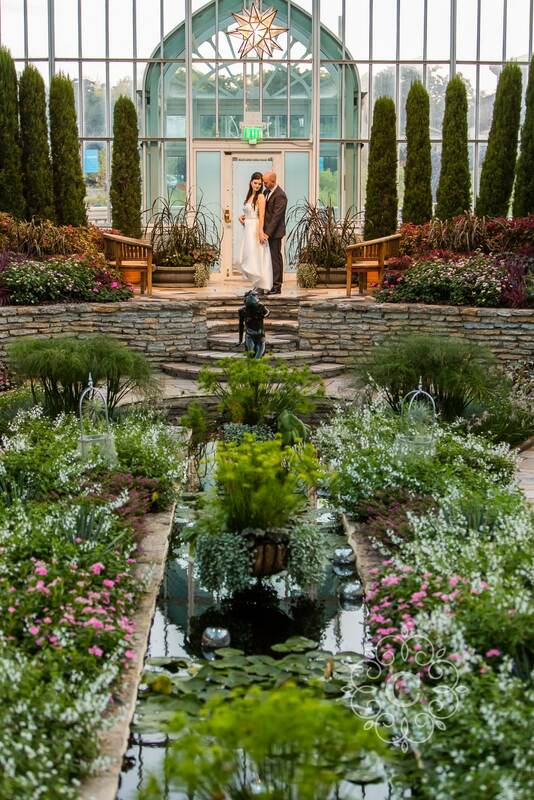 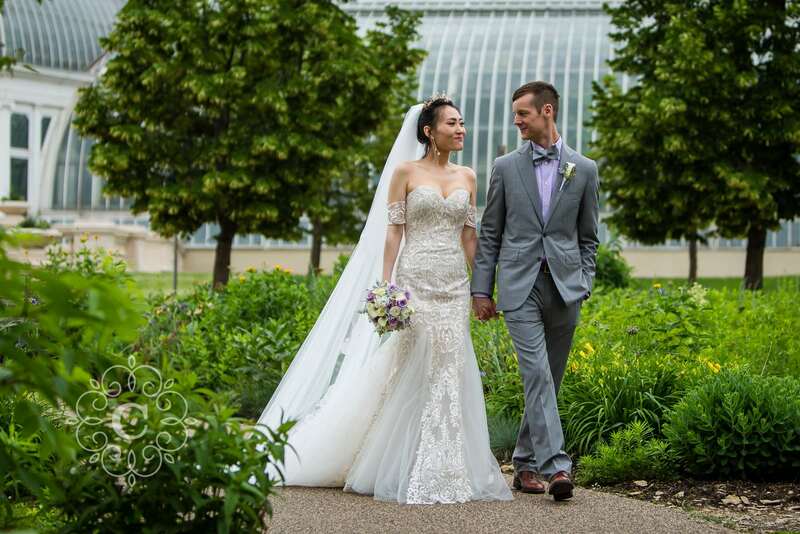 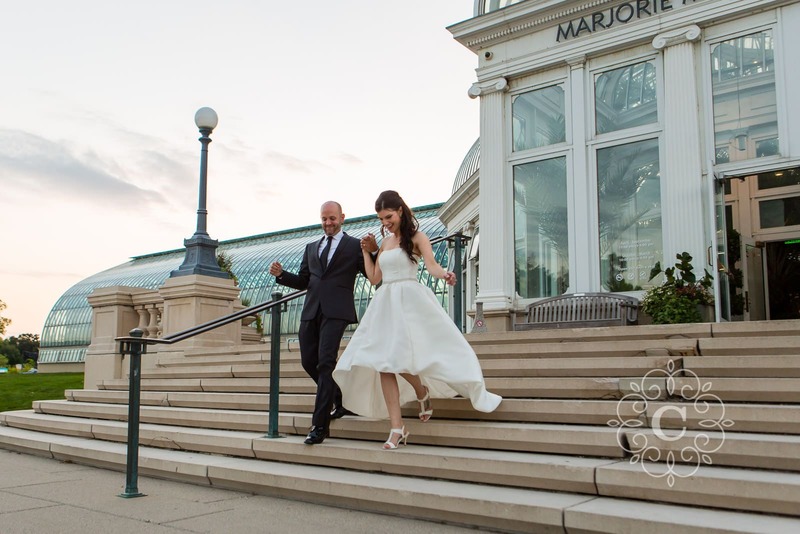 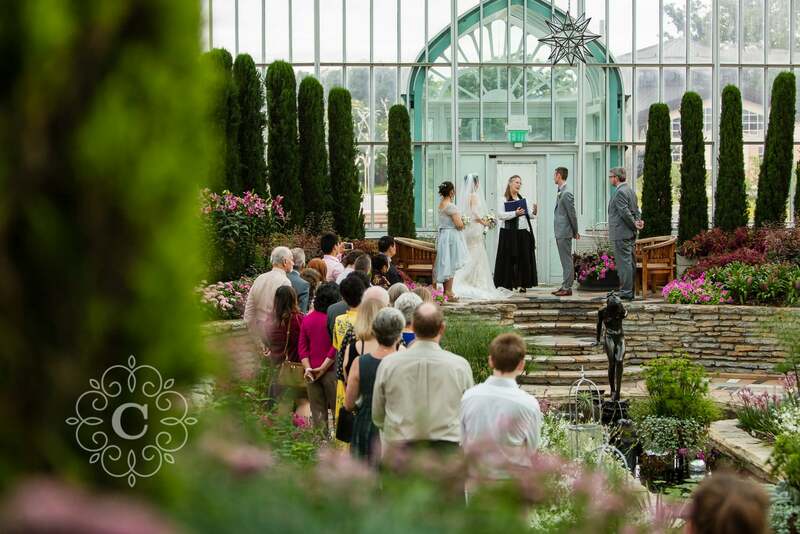 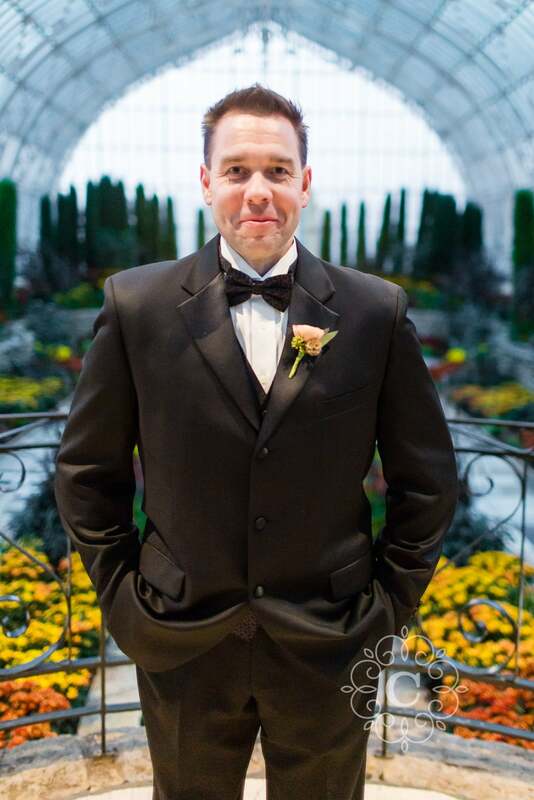 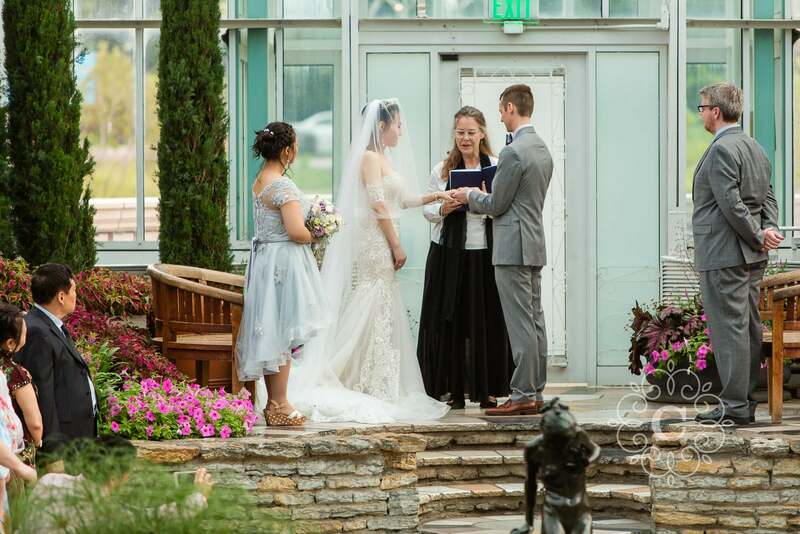 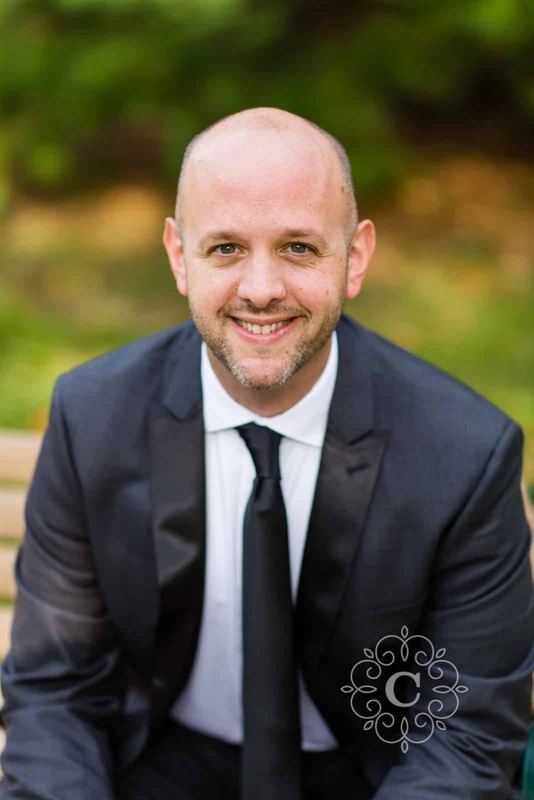 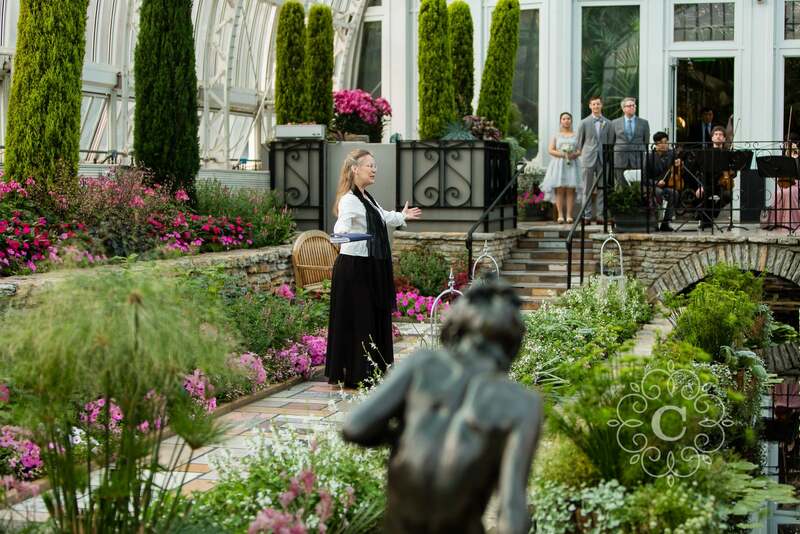 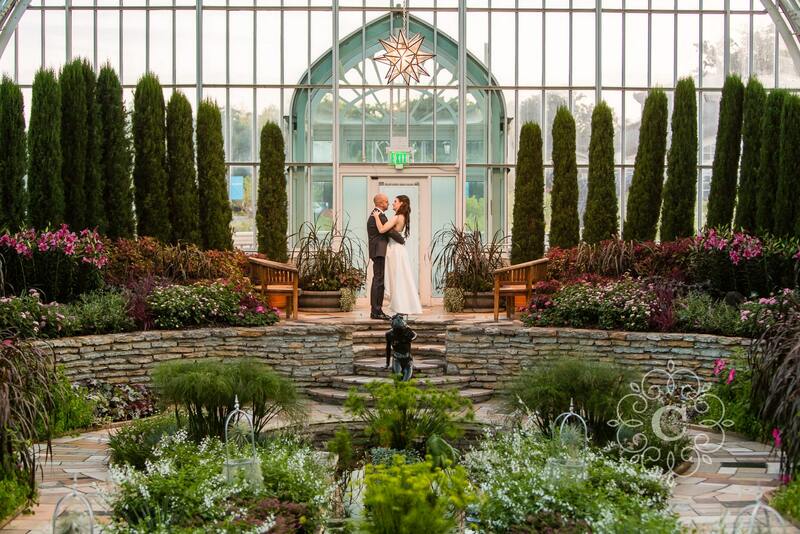 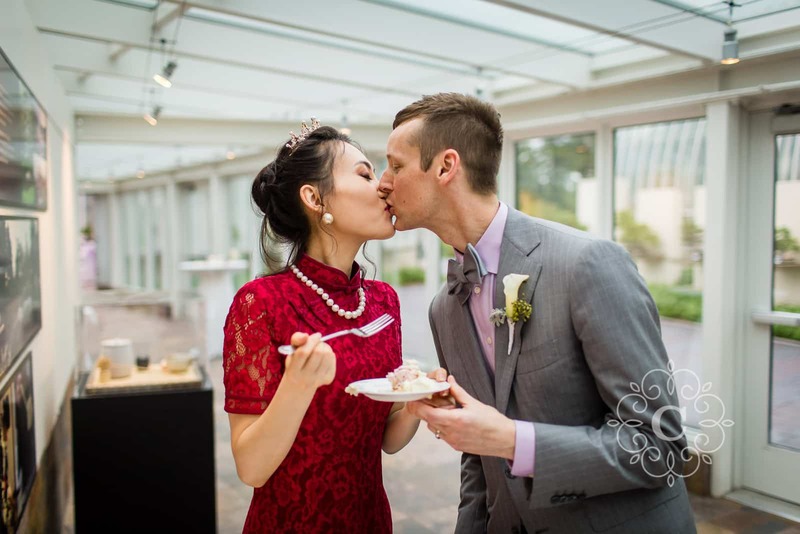 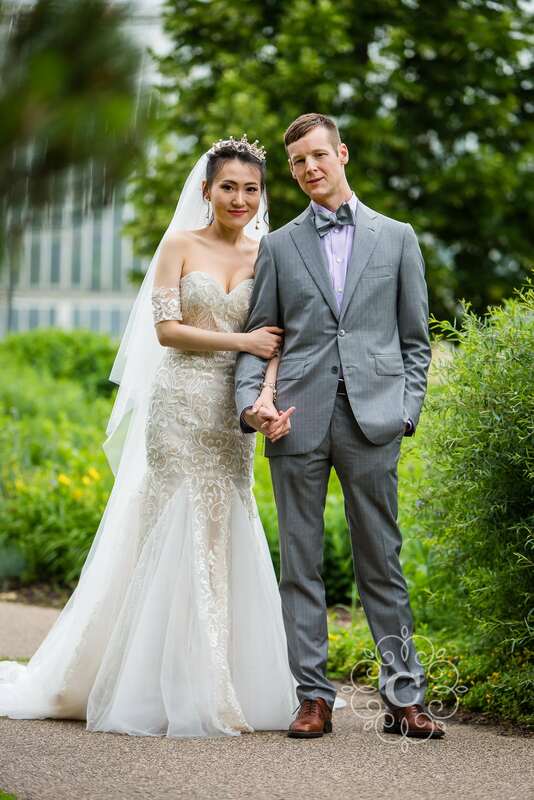 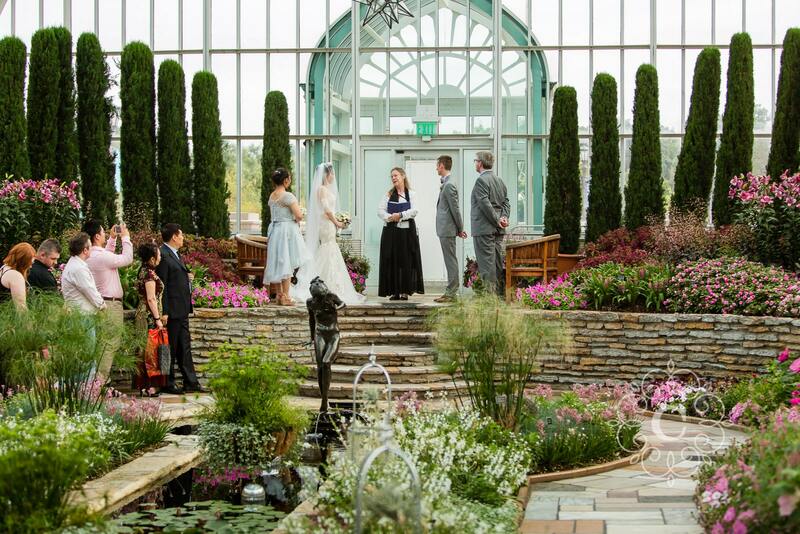 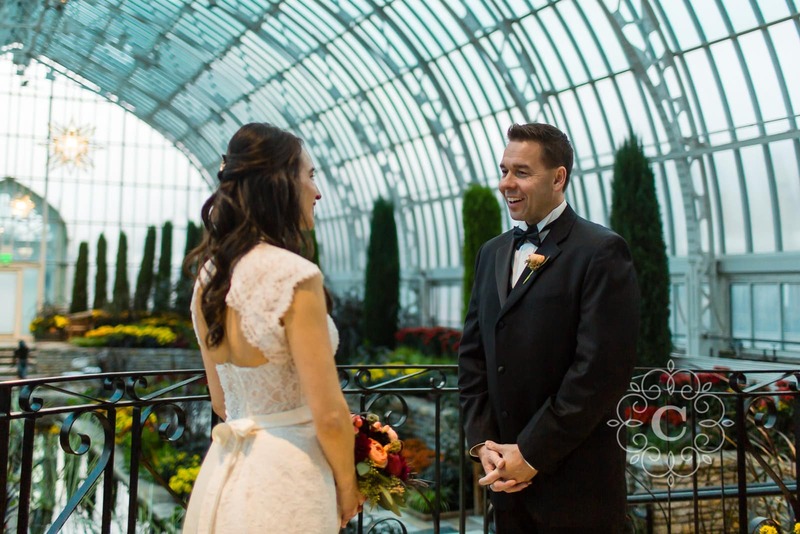 If you’re planning for Como Conservatory engagement or prewedding photography, contact me soon! 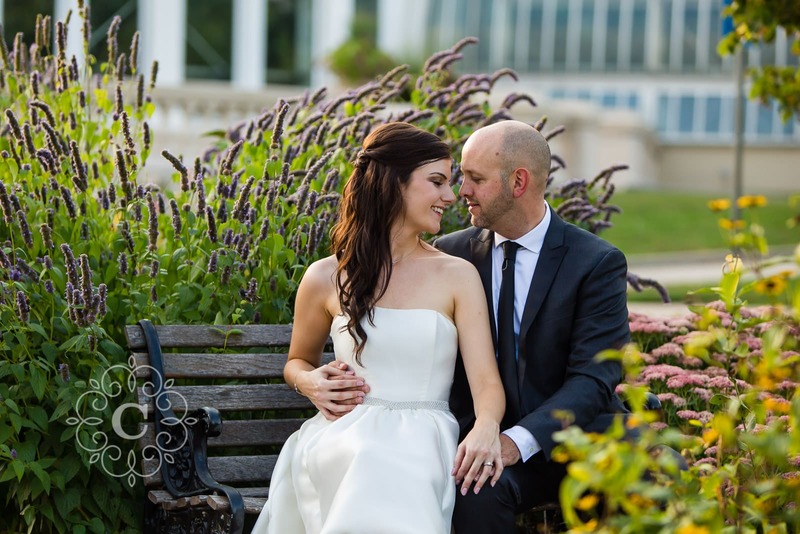 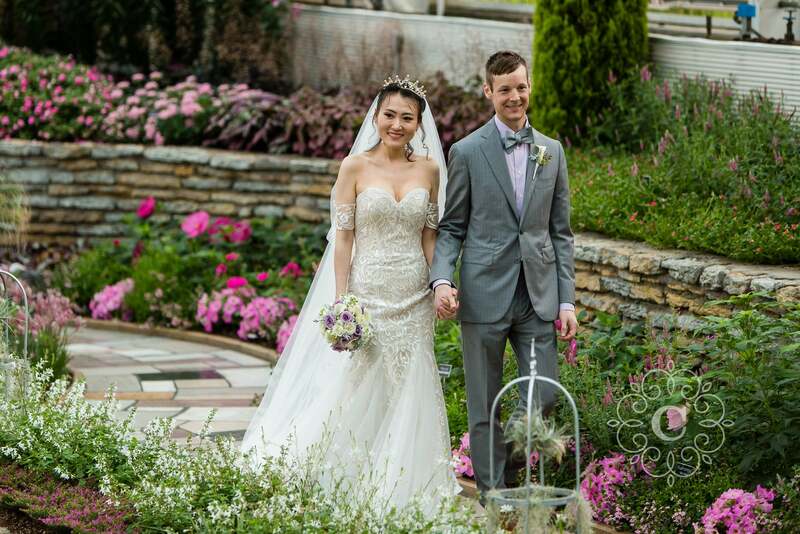 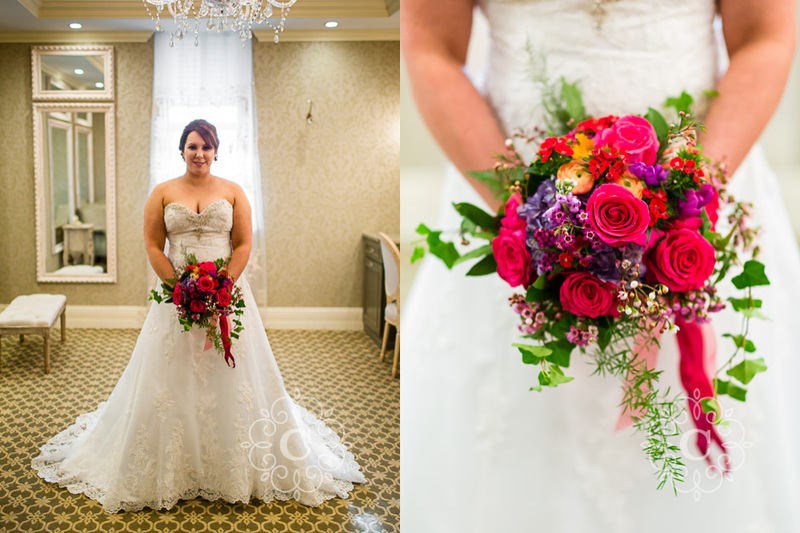 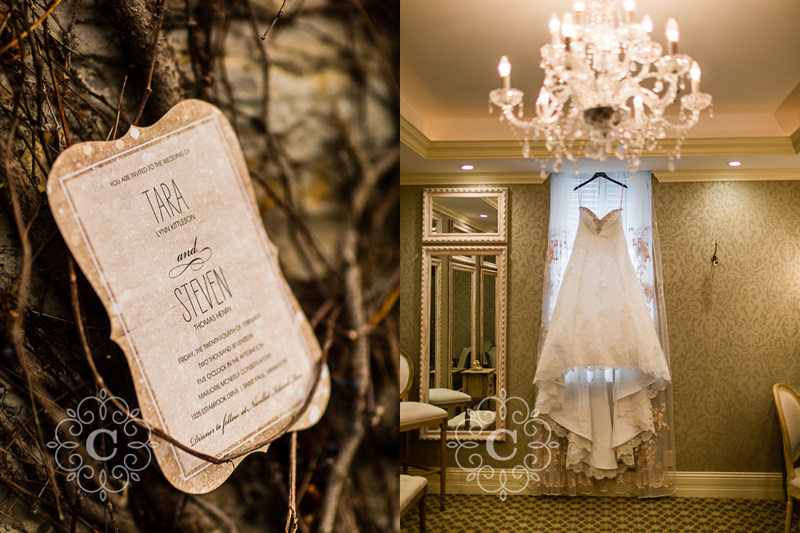 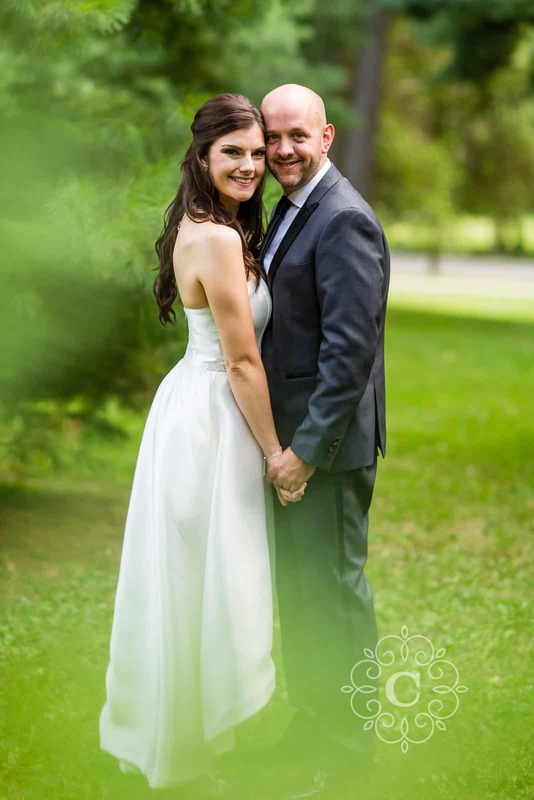 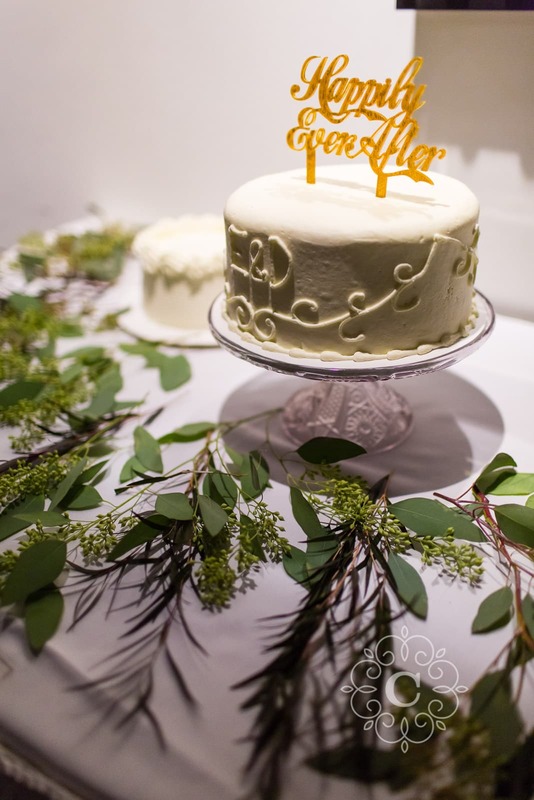 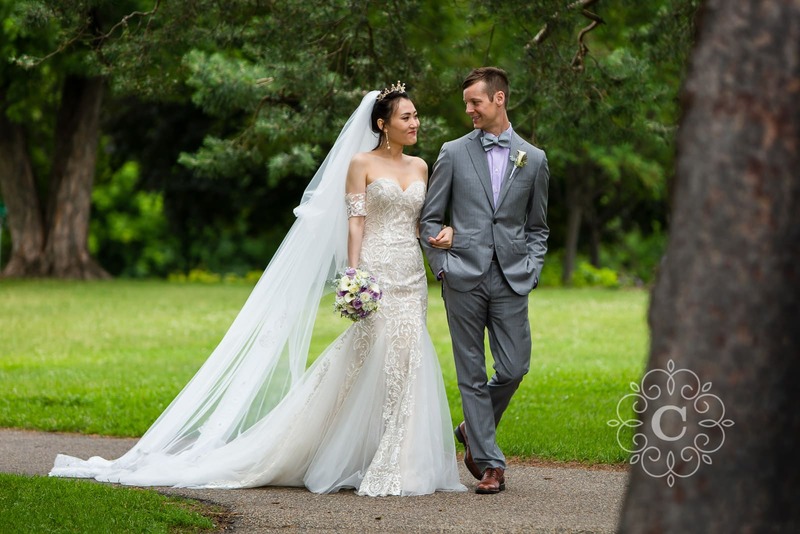 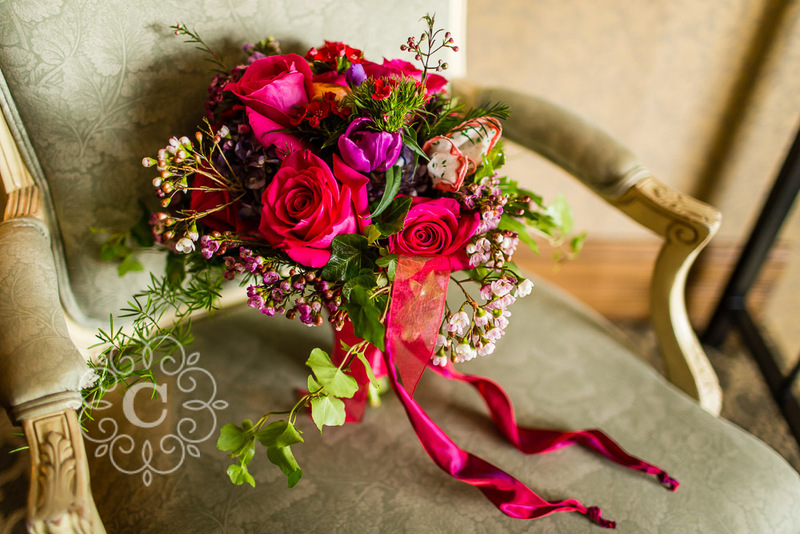 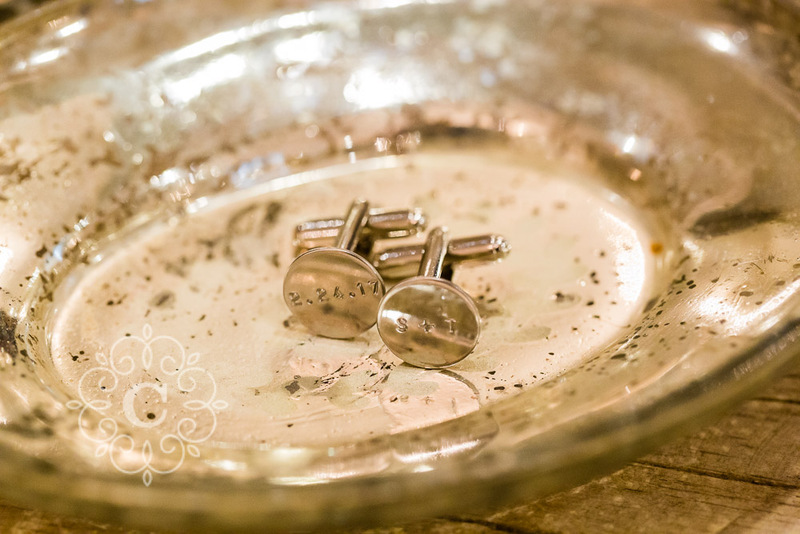 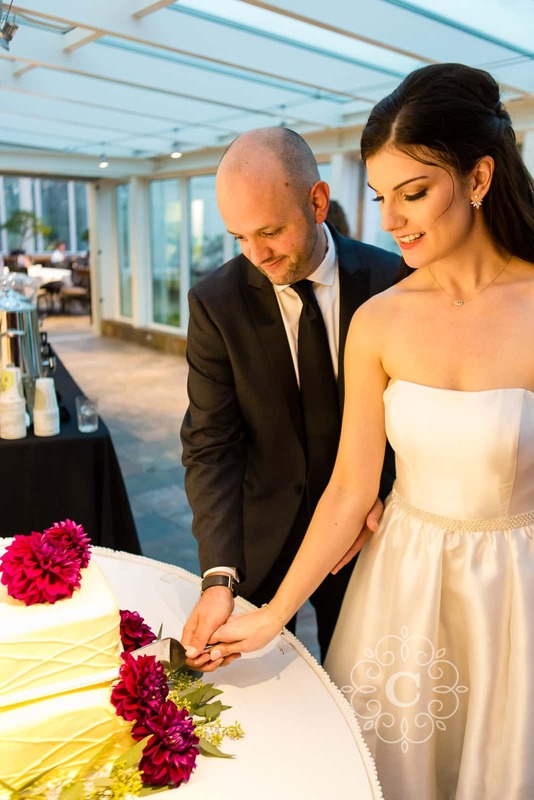 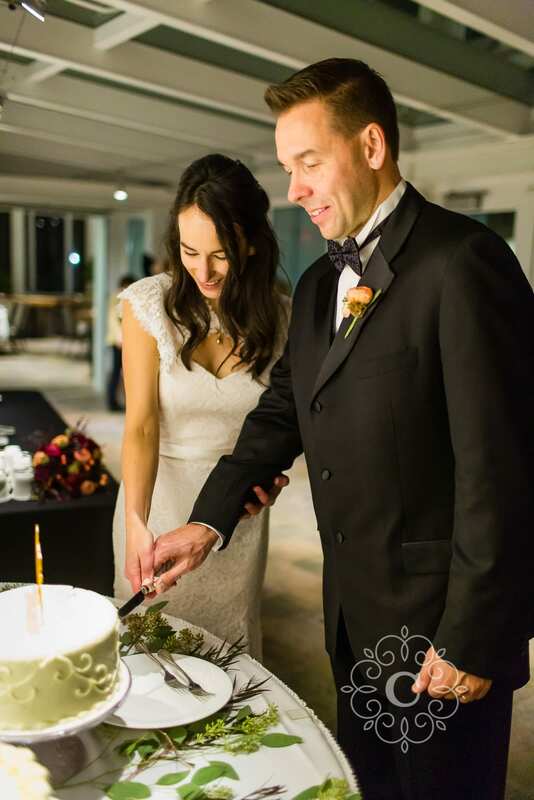 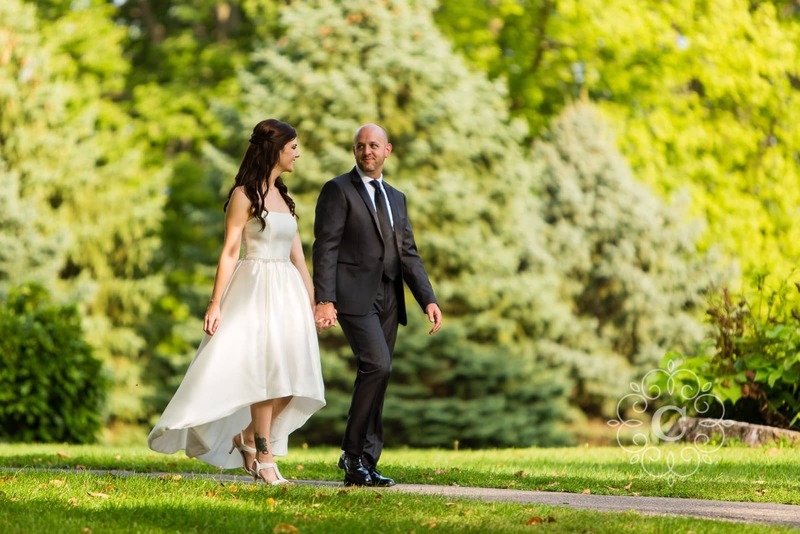 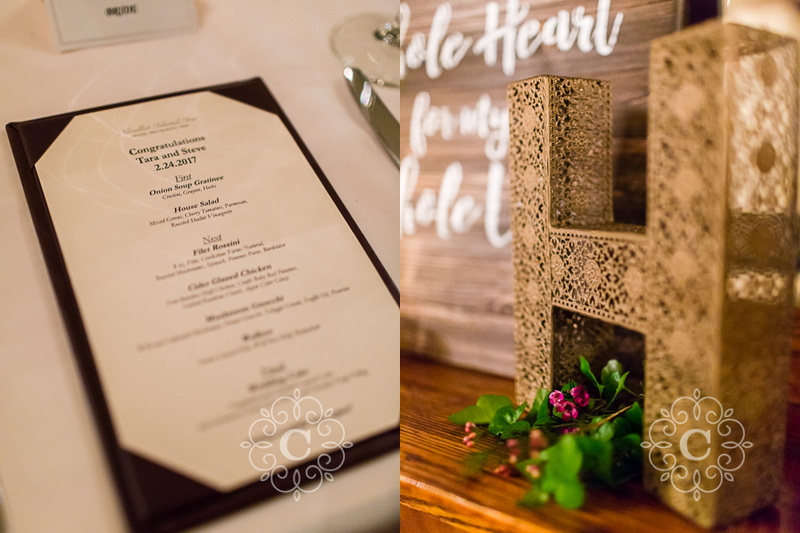 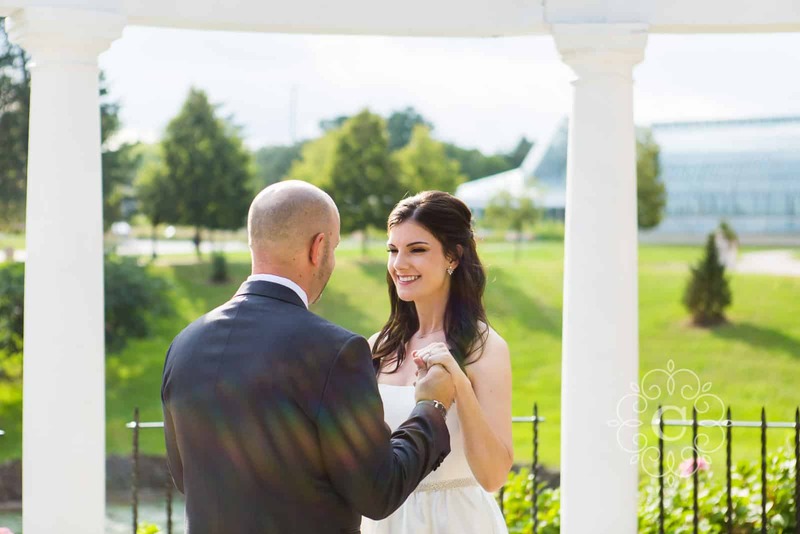 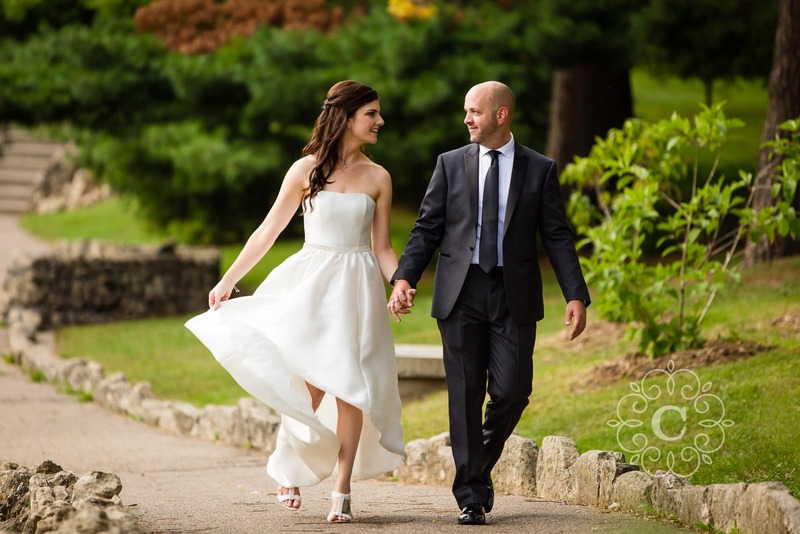 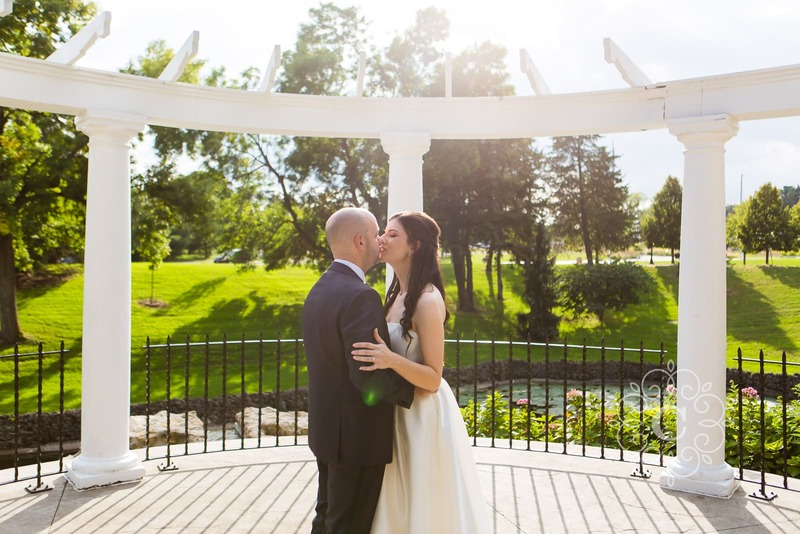 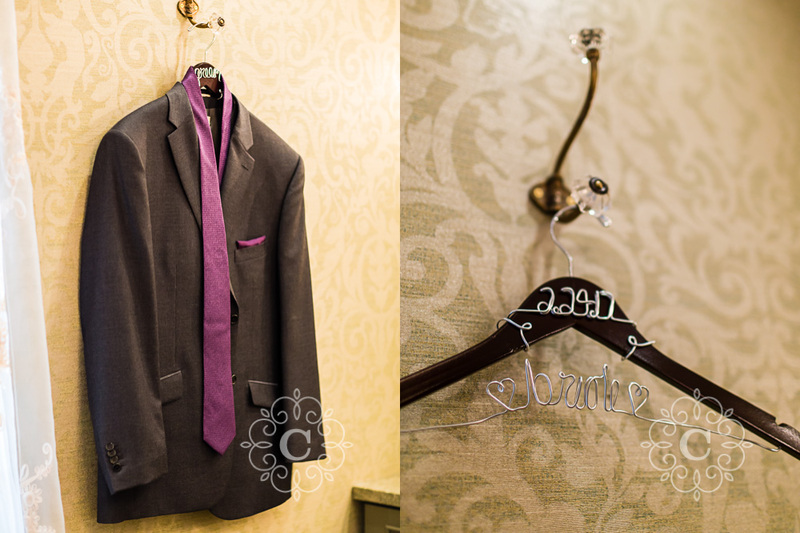 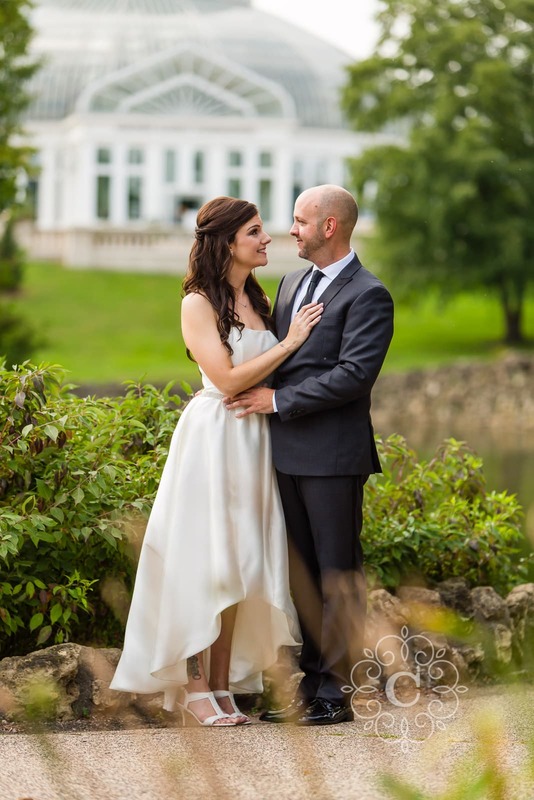 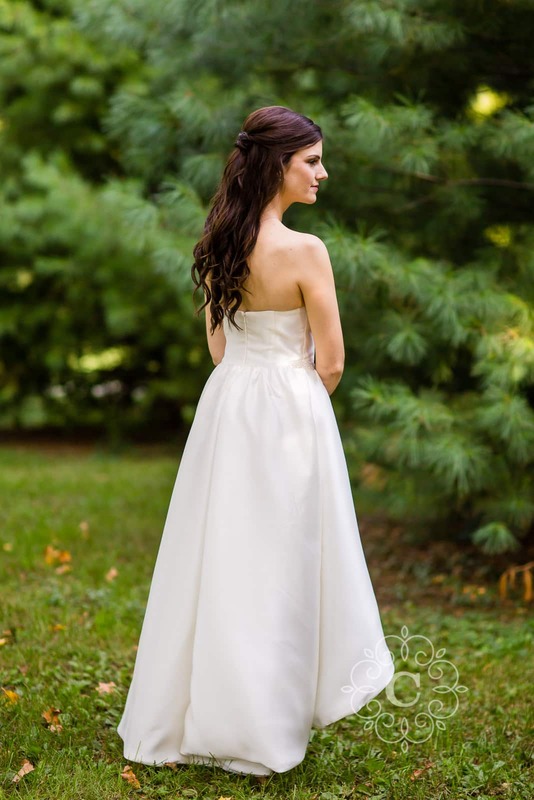 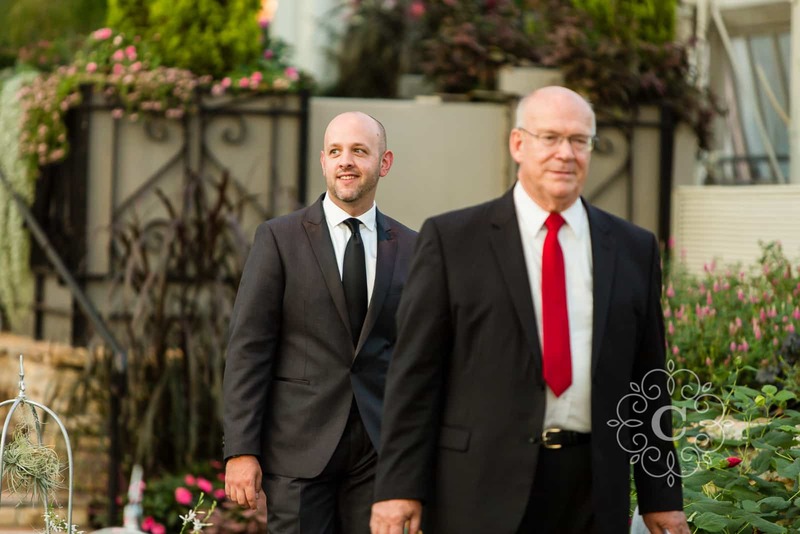 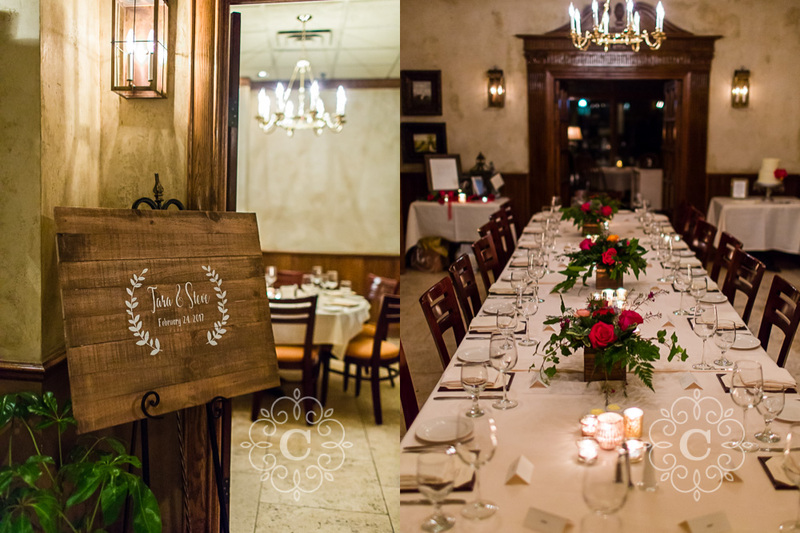 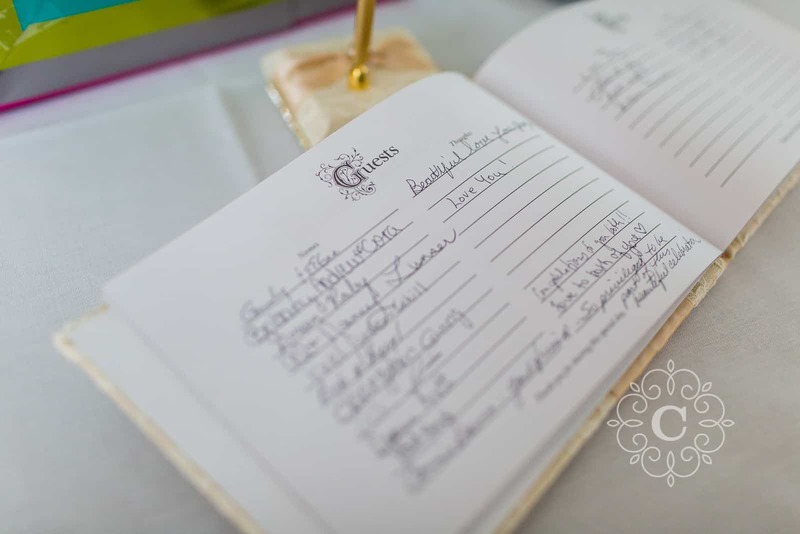 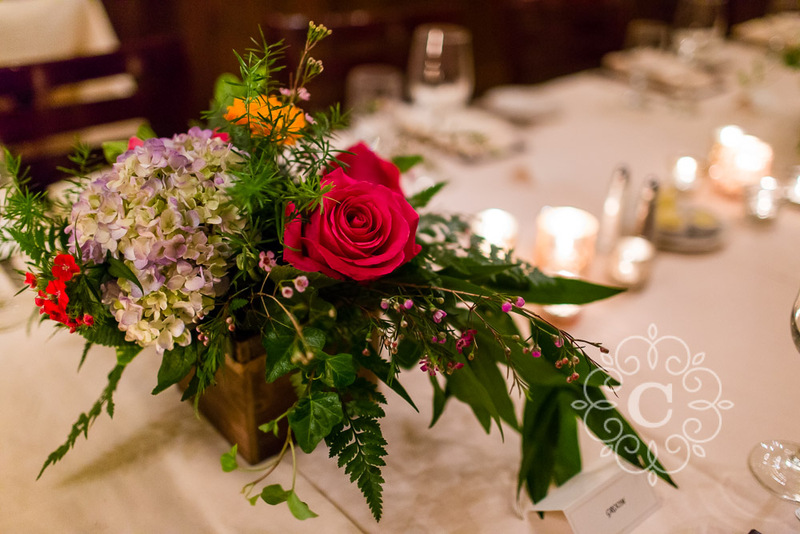 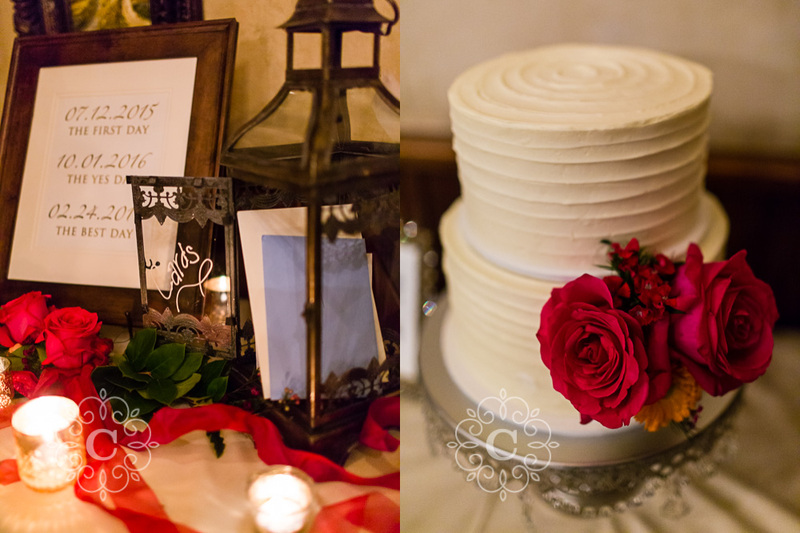 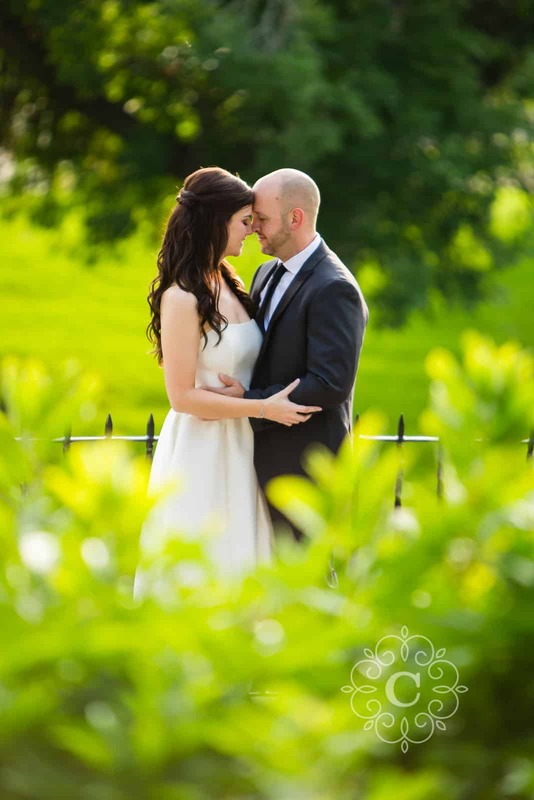 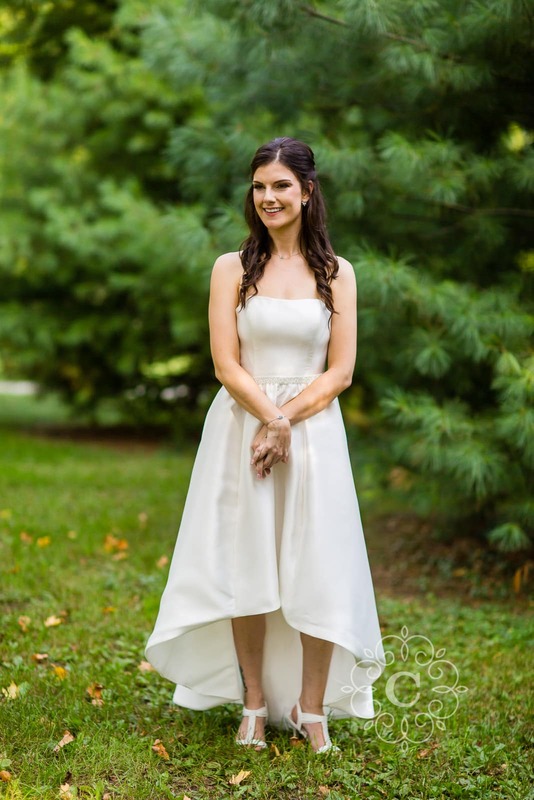 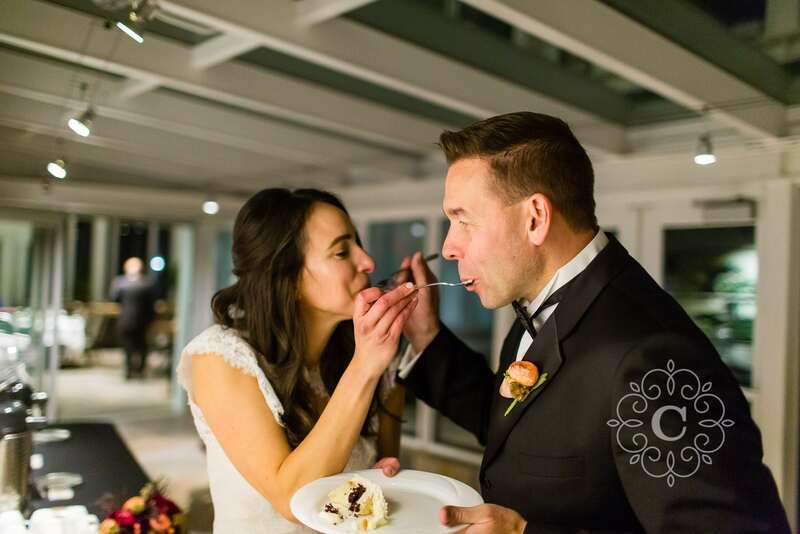 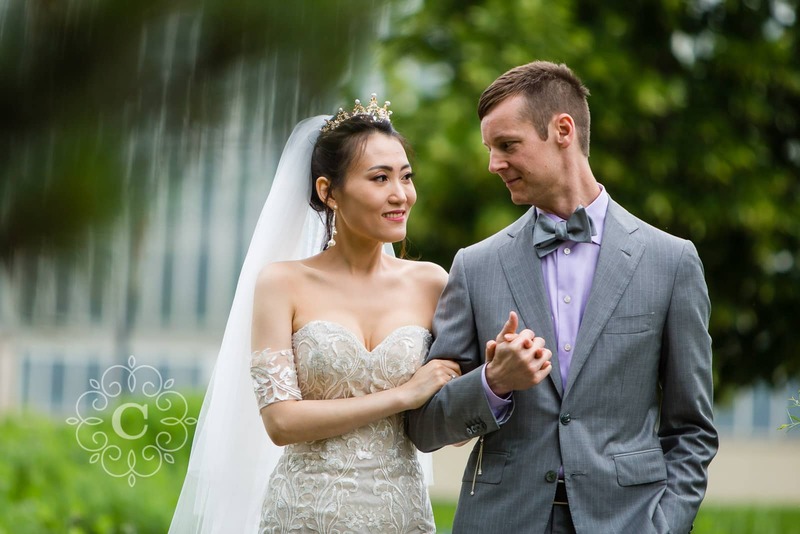 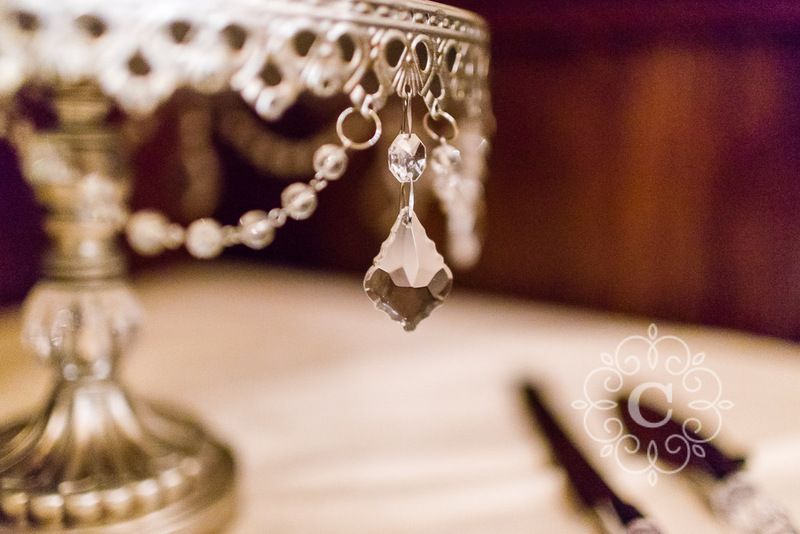 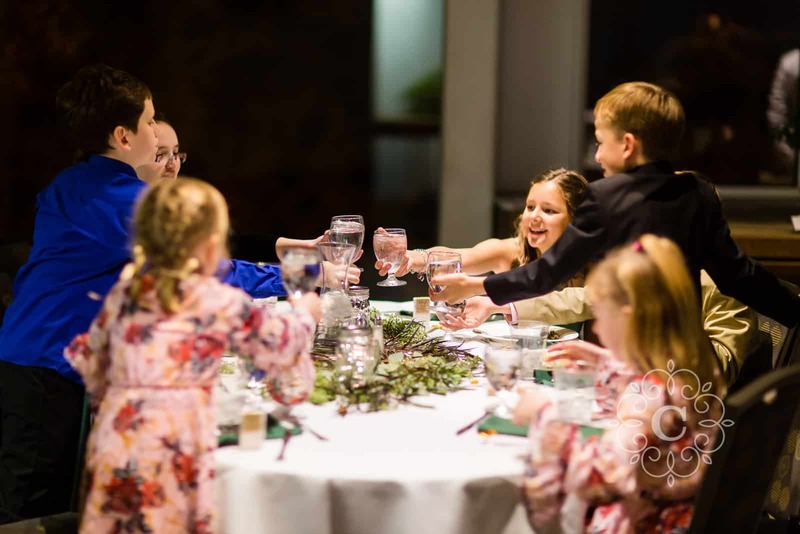 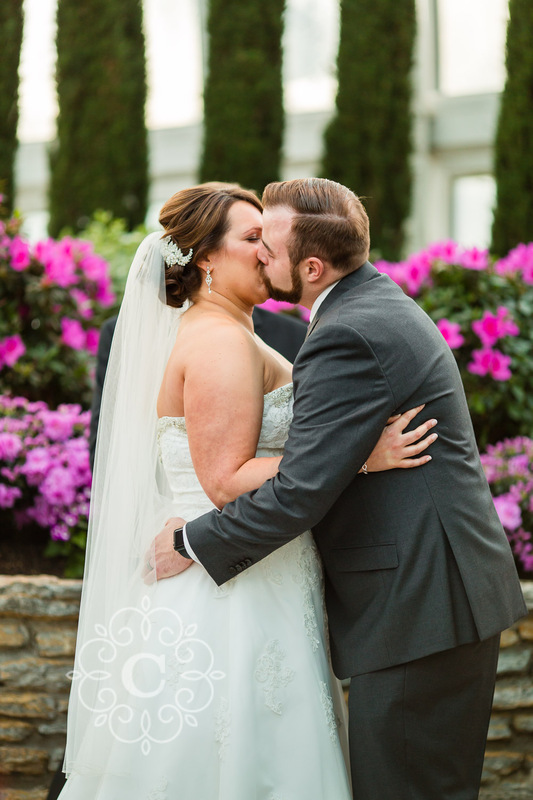 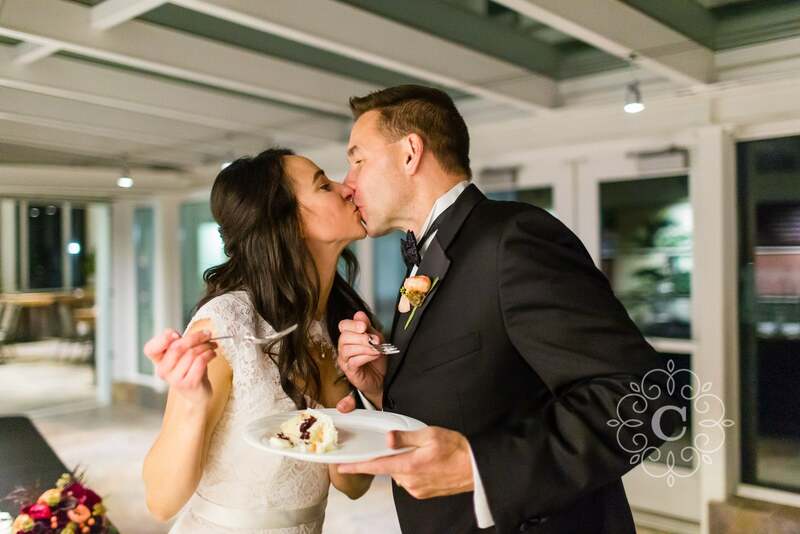 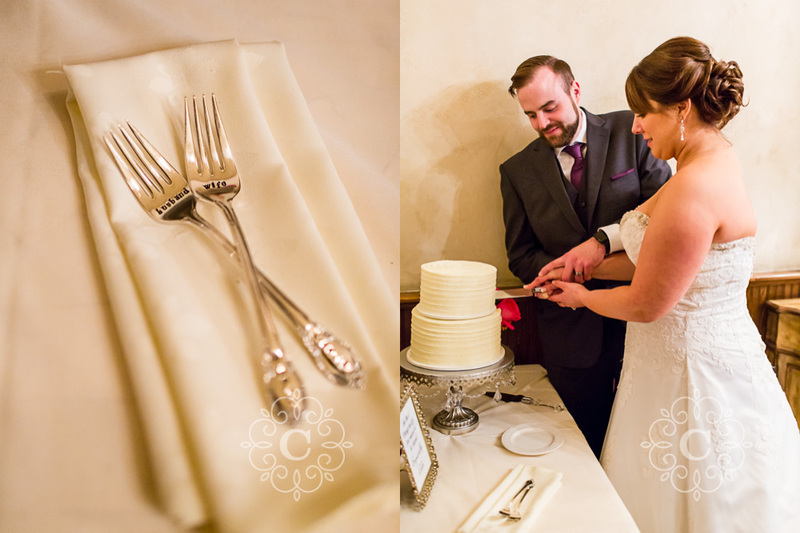 ETA: Check out Katie + Brett’s stunning St Stephen’s Catholic Church and Landmark Center wedding photos too! 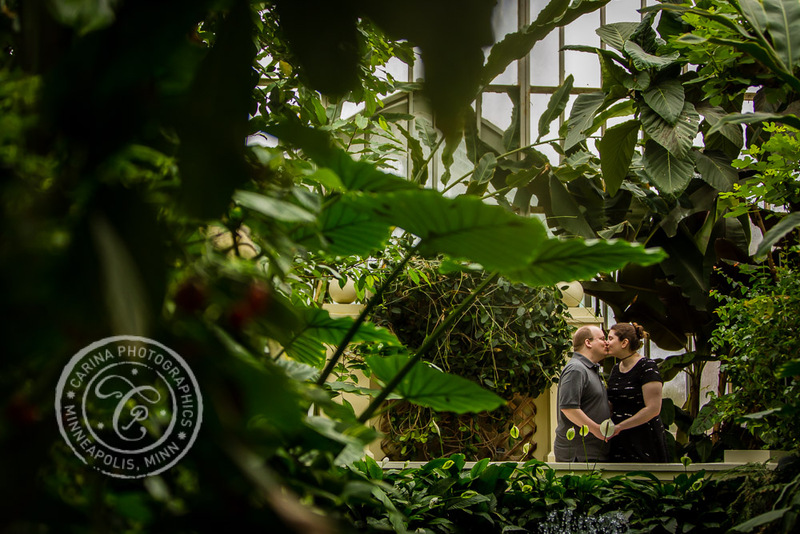 Living in Minnesota, I believe we are incredibly lucky to have a place like the Como Conservatory in St Paul. 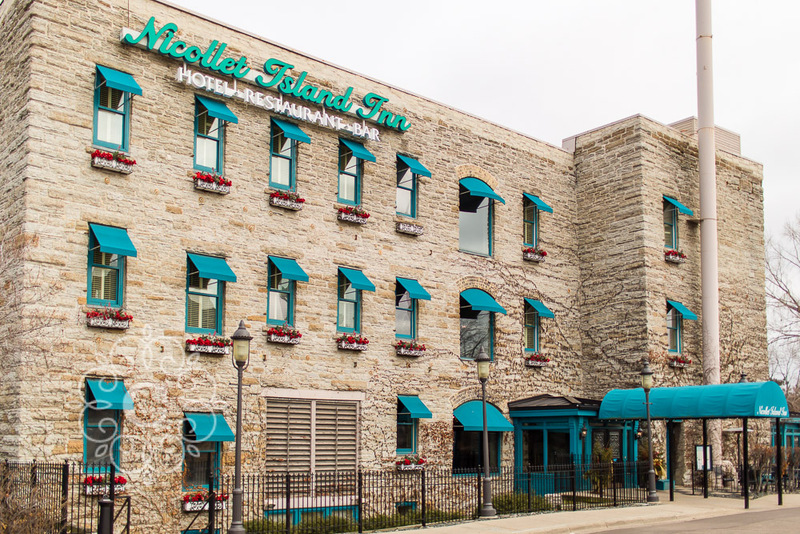 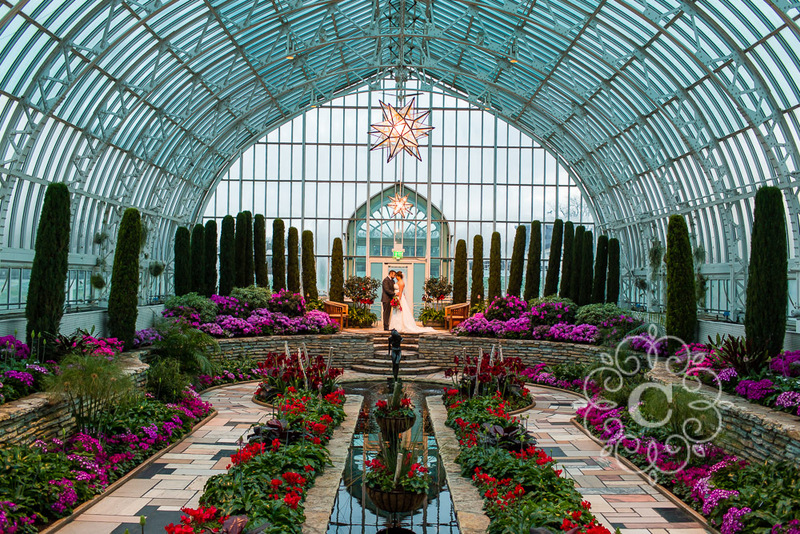 It’s an amazing place to visit during our long, cold Minnesota winters. 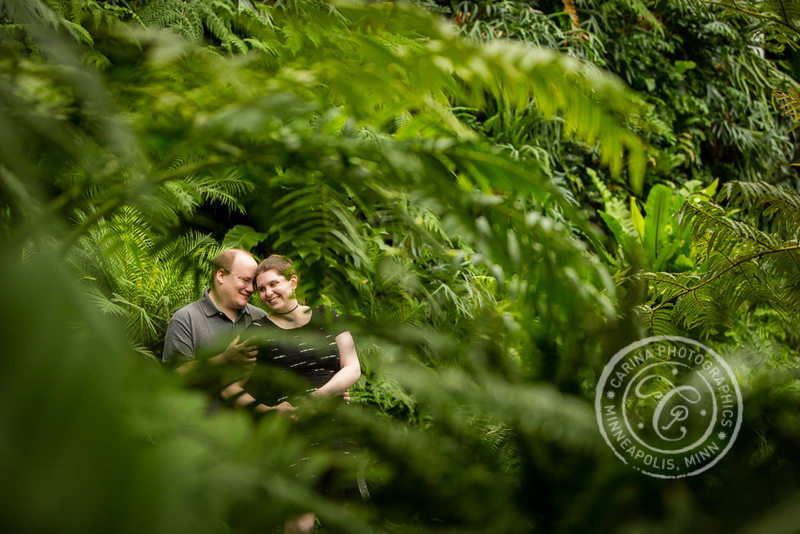 Spending an hour or two amongst the beautiful trees, plants, flowers and HUMIDITY can really make you feel like you went on a mini tropical vacation. 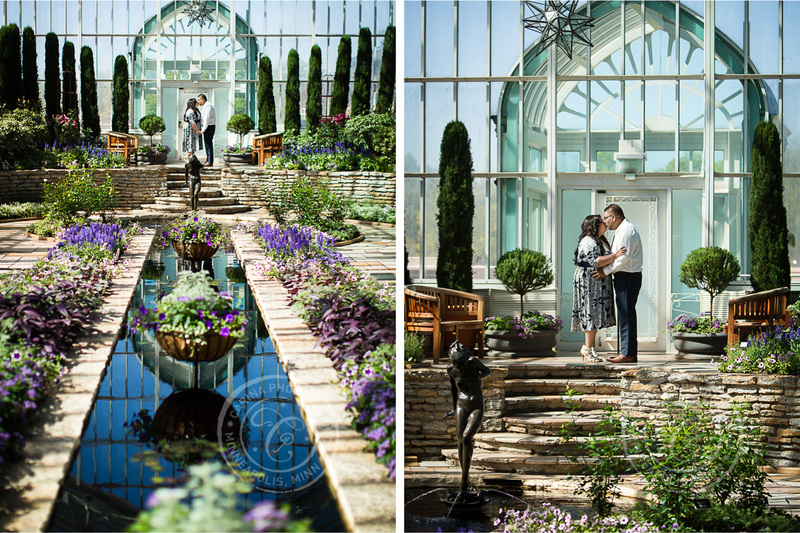 So whenever someone wants to consider photographing during our winter or very early spring, I always advocate paying a visit there. 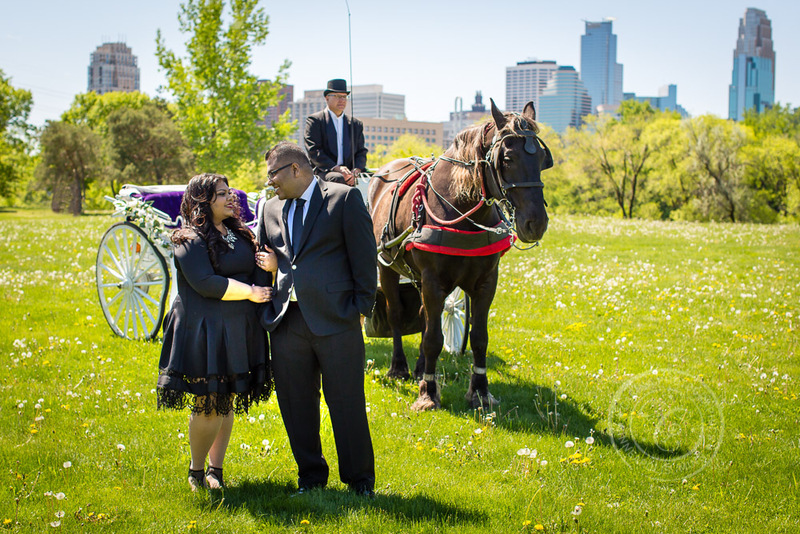 Luckily, when I mentioned it to Dustin and Nicole for their Minneapolis engagement photos, they were excited to try it out! 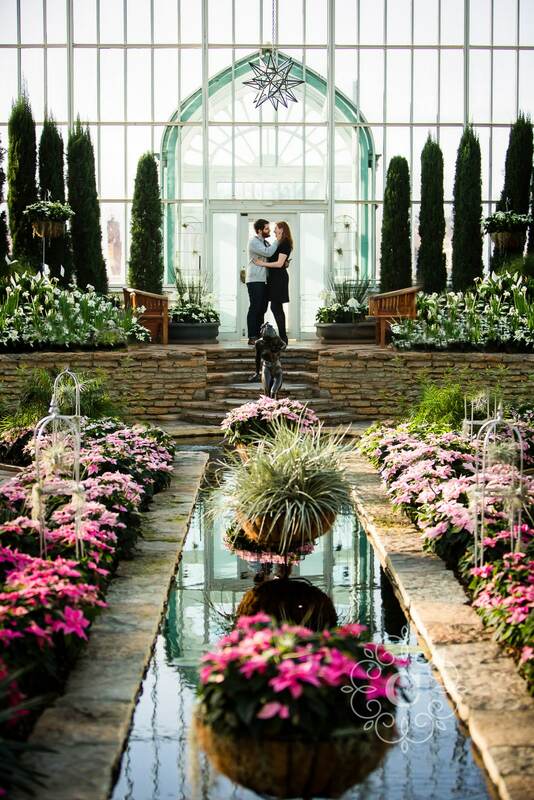 We visited on a blustery cold day in March. 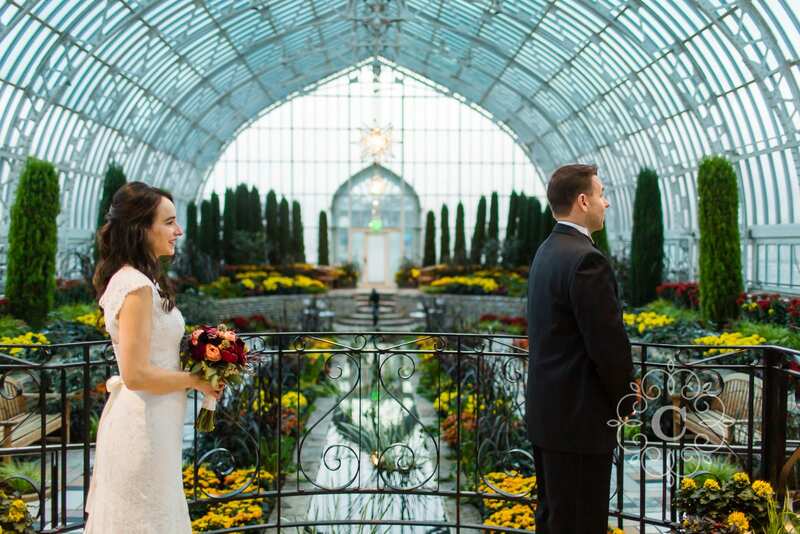 Dustin and Nicole hadn’t visited the Como Conservatory in many years. 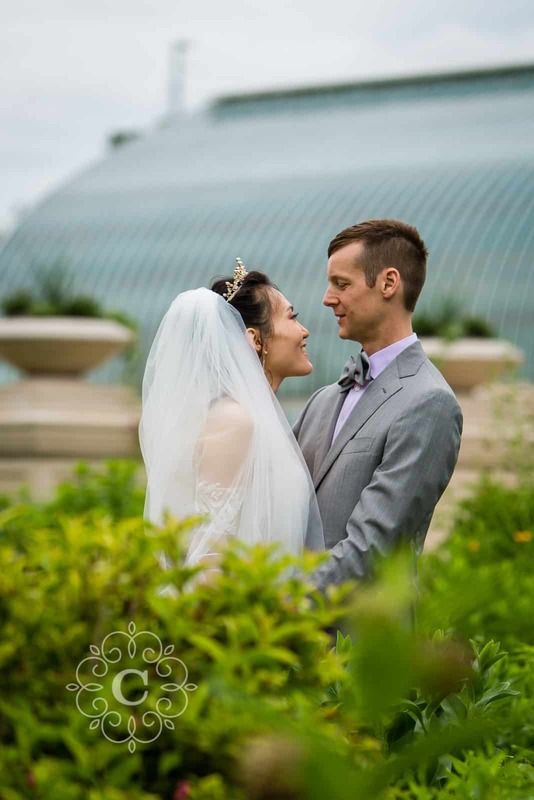 They were so happy with how beautiful everything was. 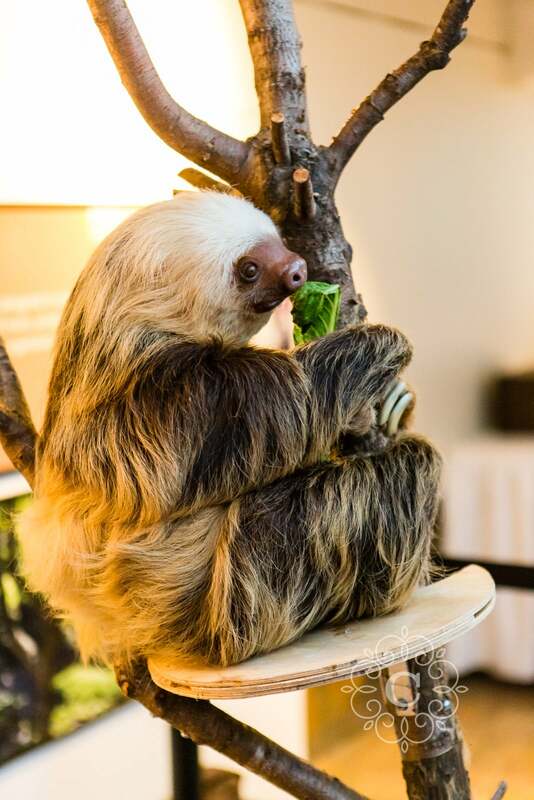 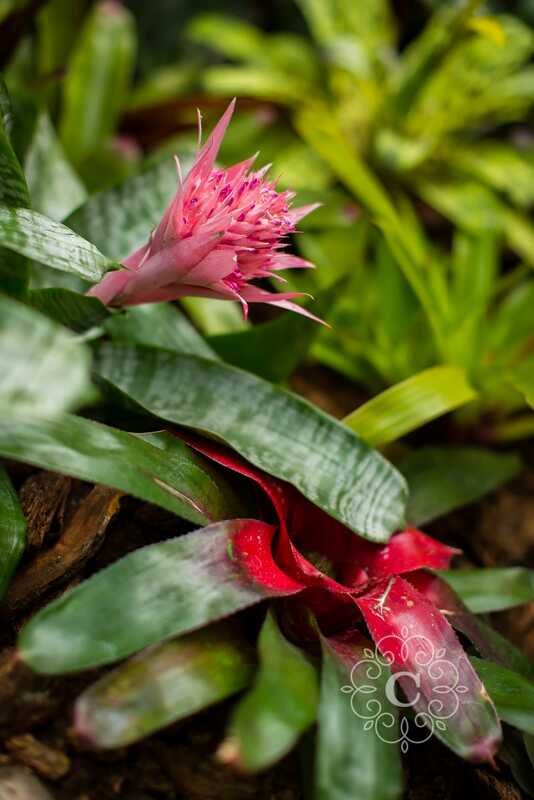 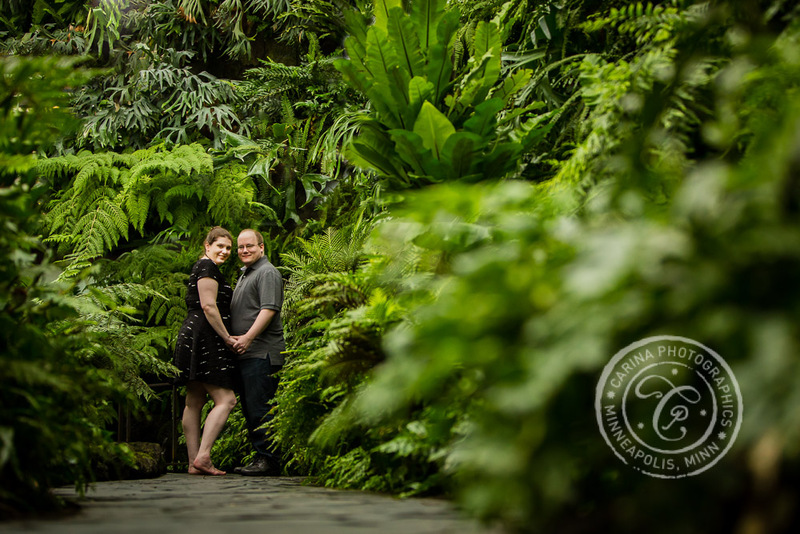 There are endless photo opportunities – tropical plants, blooming flowers, palm trees, ferns, pools and waterfalls. 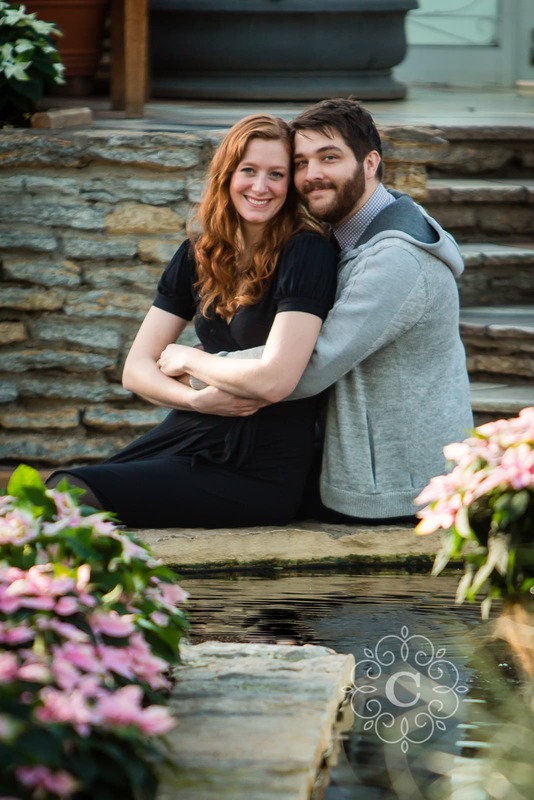 Dustin and Nicole were happy to go with the flow. 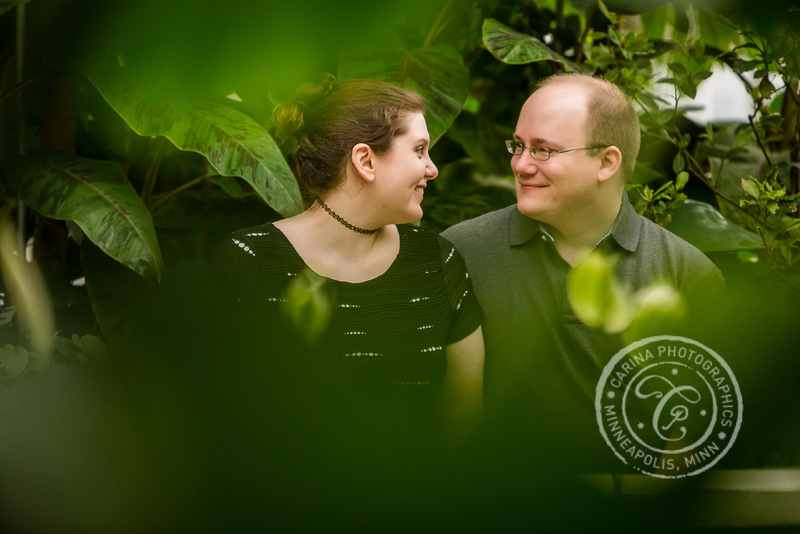 We happened to visit at a point when there weren’t quite as many visitors as normal, so we had many of the ideal spots to ourselves. 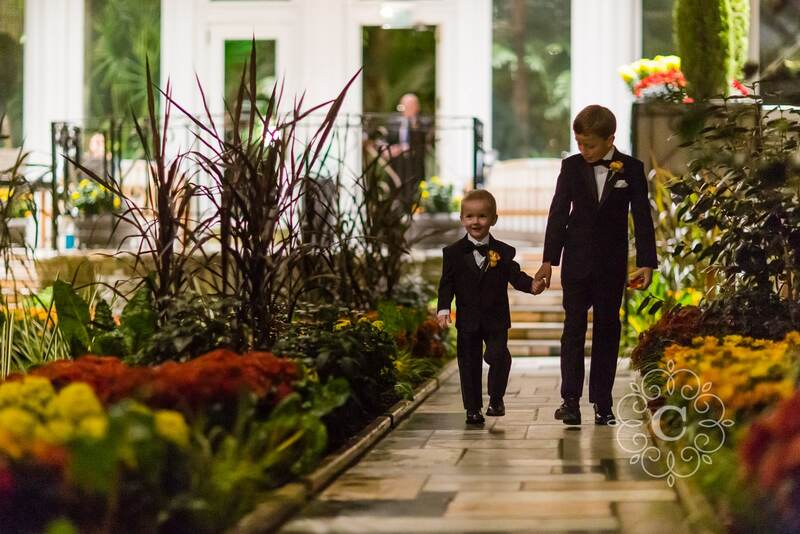 The two of them have so much fun together. 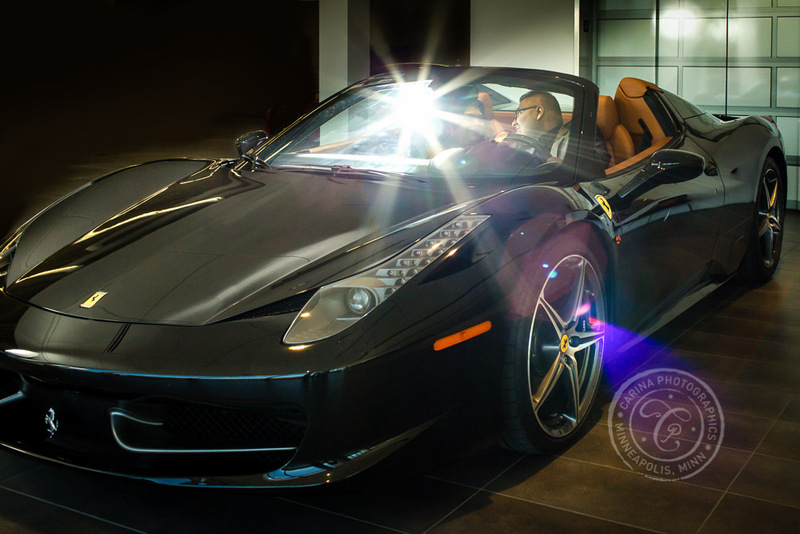 It made for an awesome session! 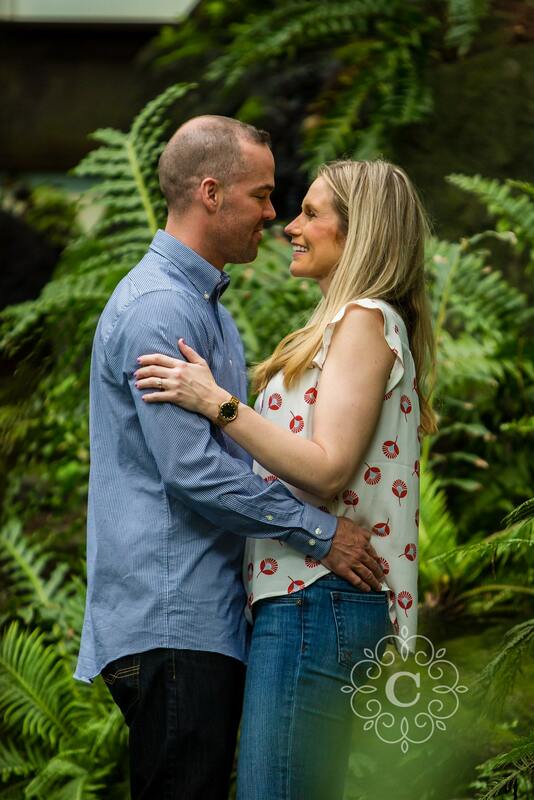 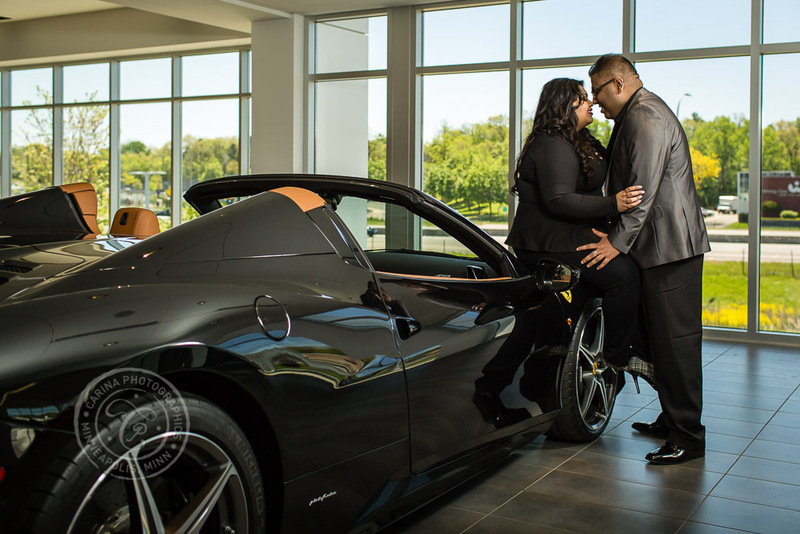 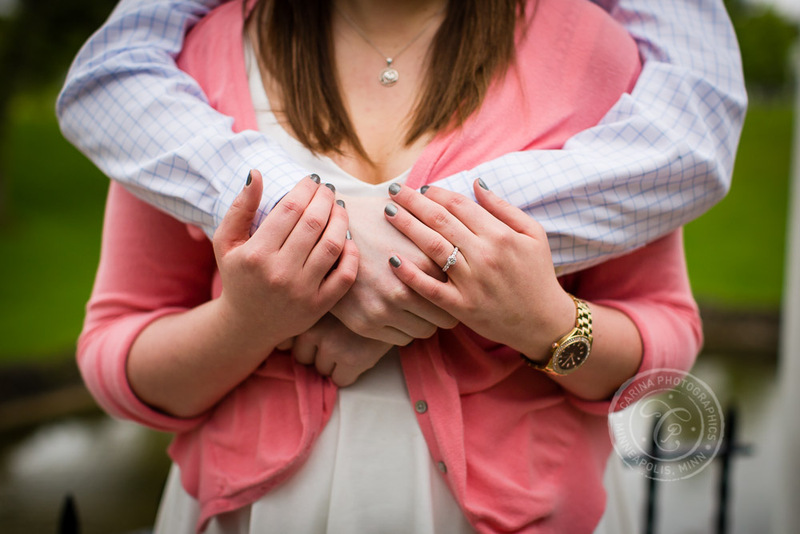 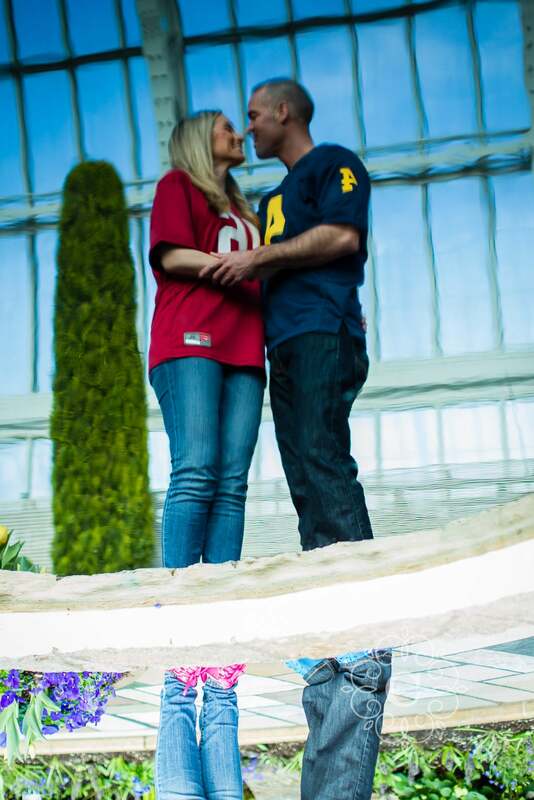 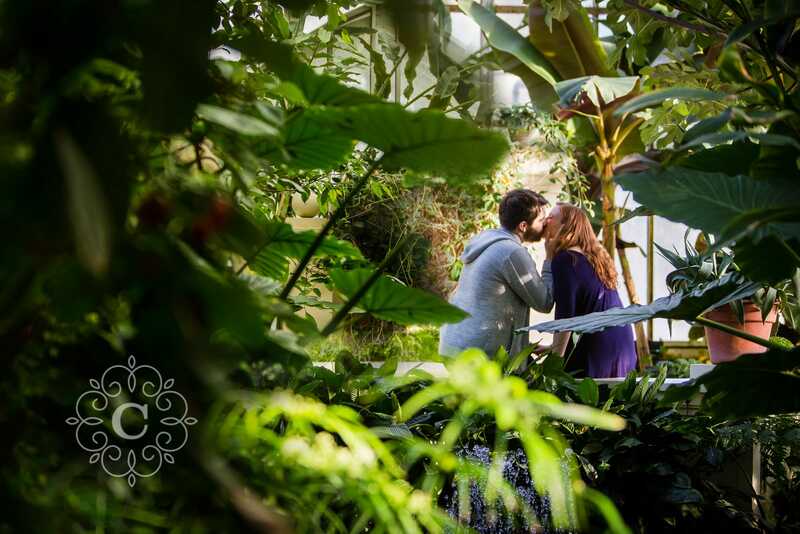 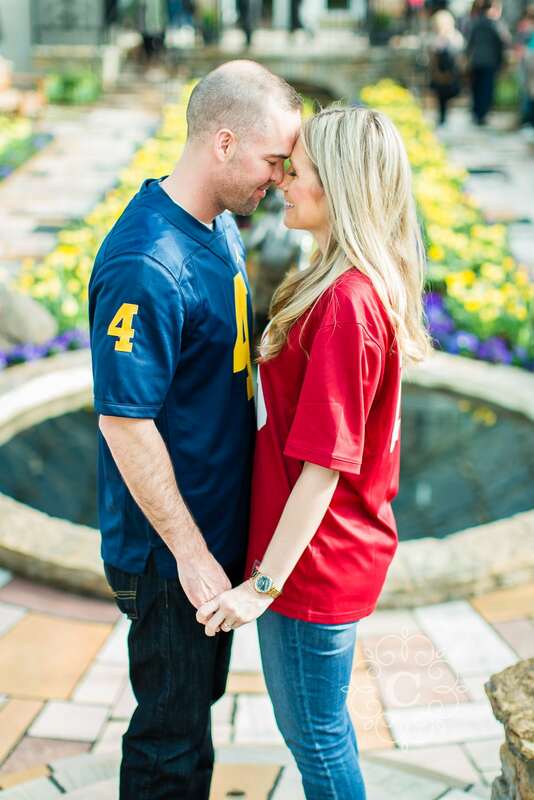 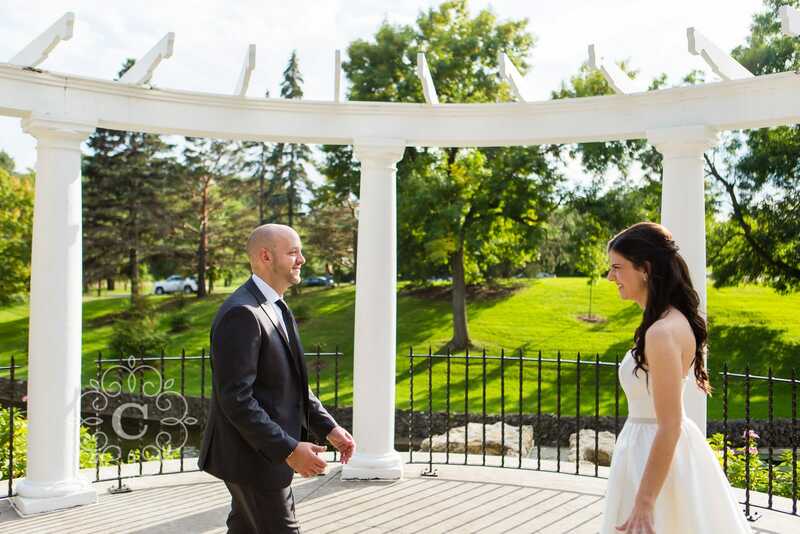 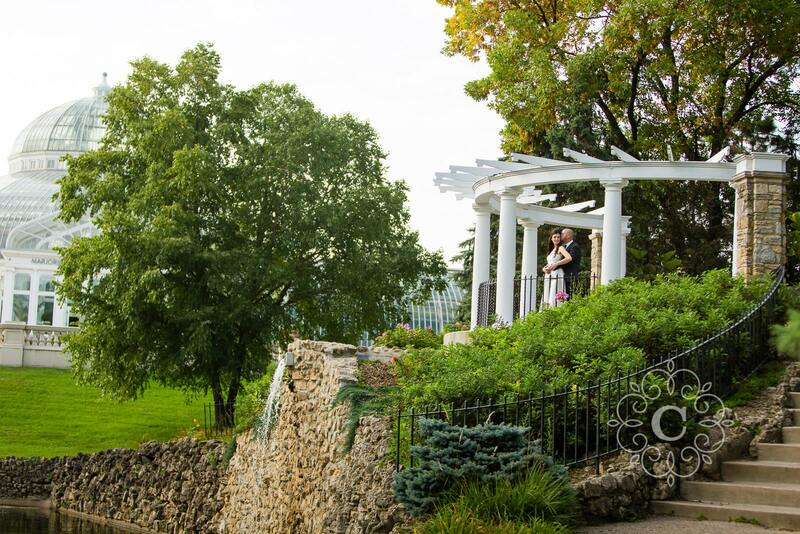 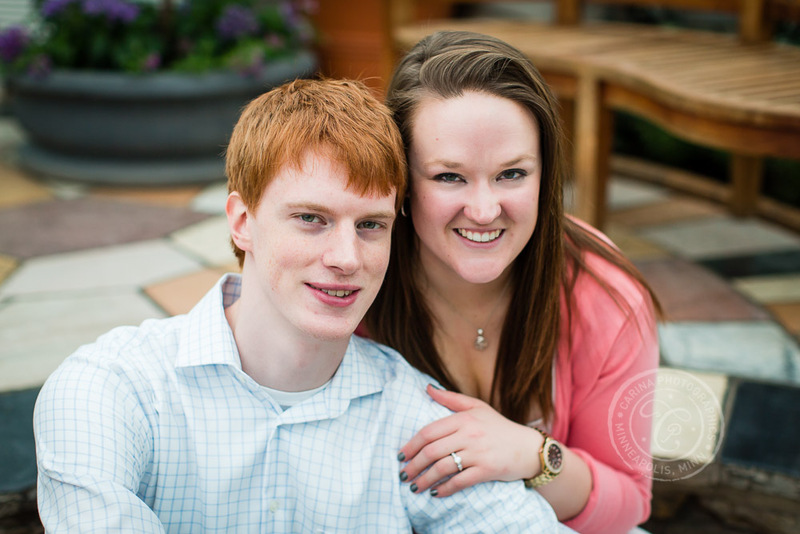 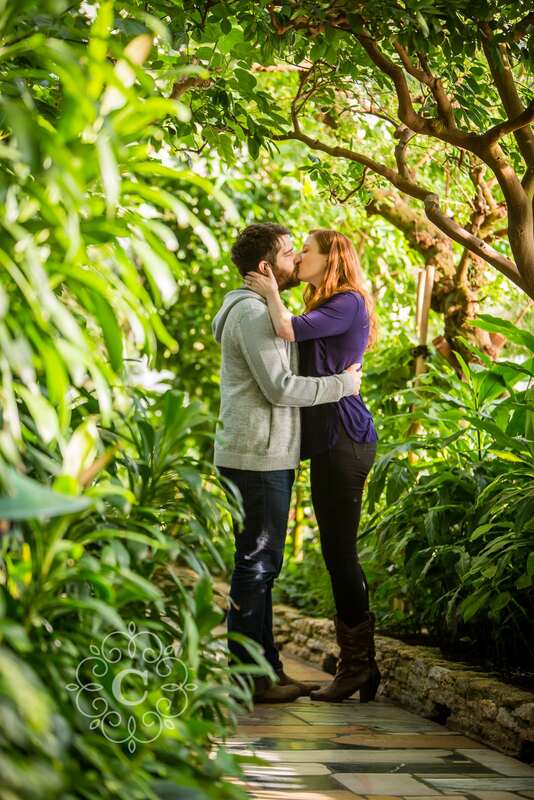 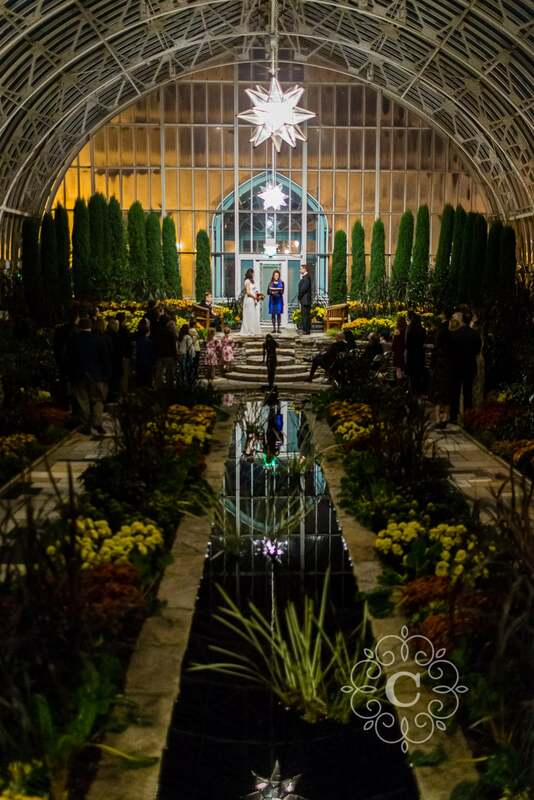 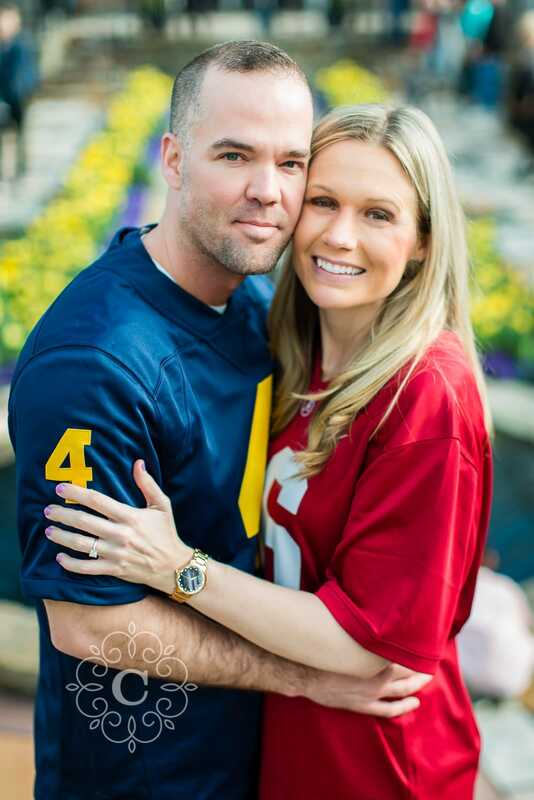 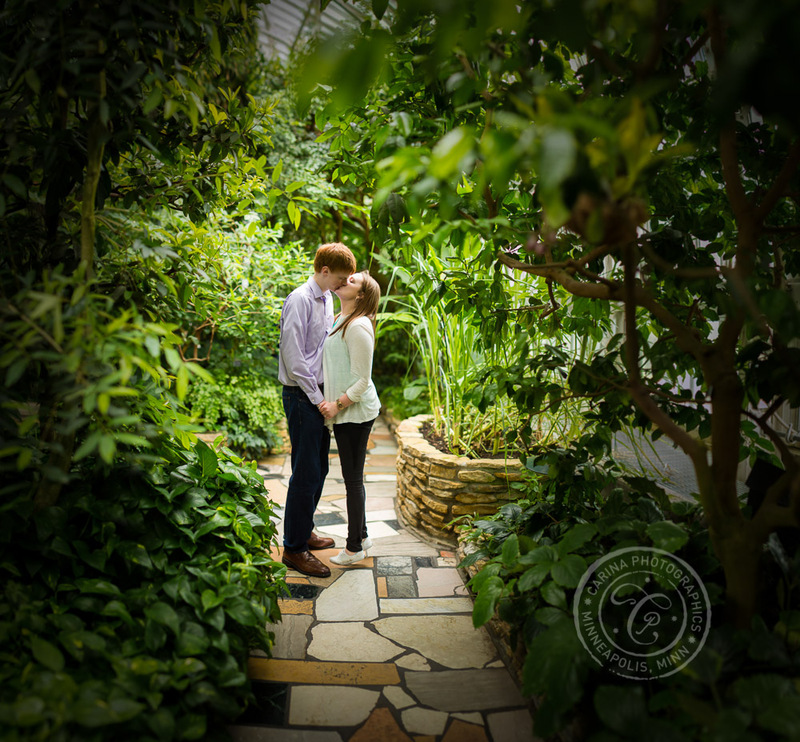 Dustin and Nicole, I am so happy you chose to work with me on your Como Conservatory engagement photography. 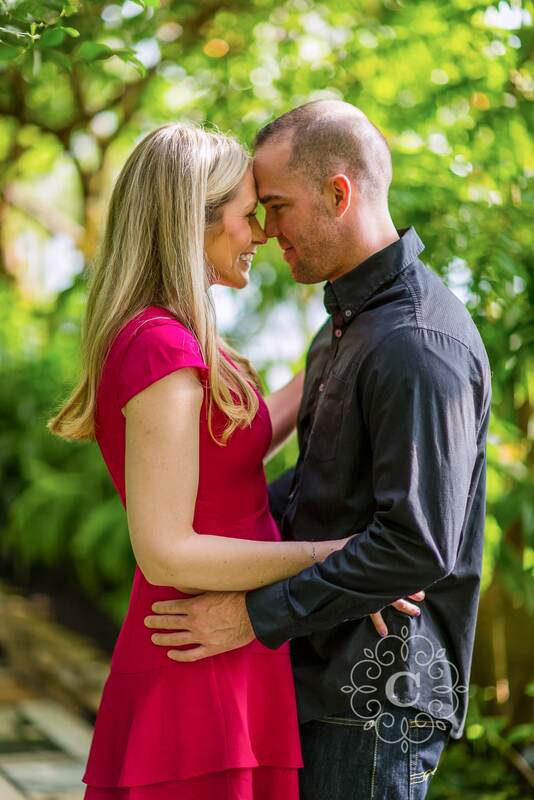 I cannot wait for your Bohemian Flats wedding in June! 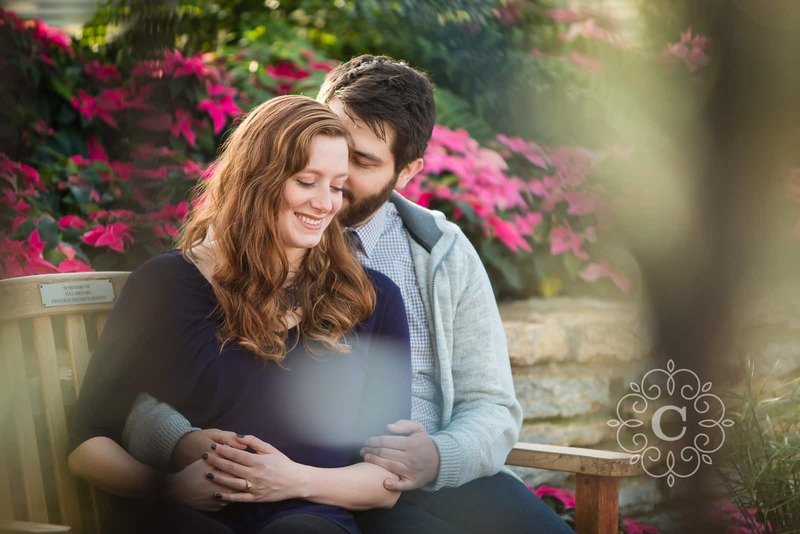 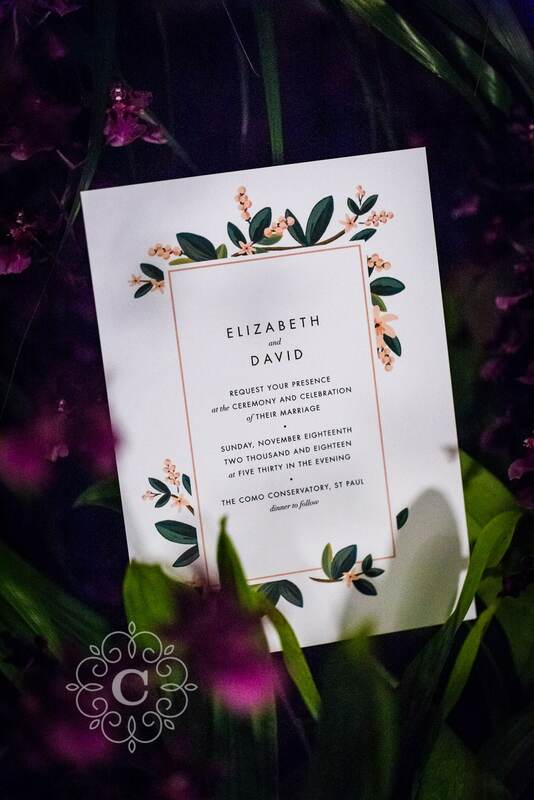 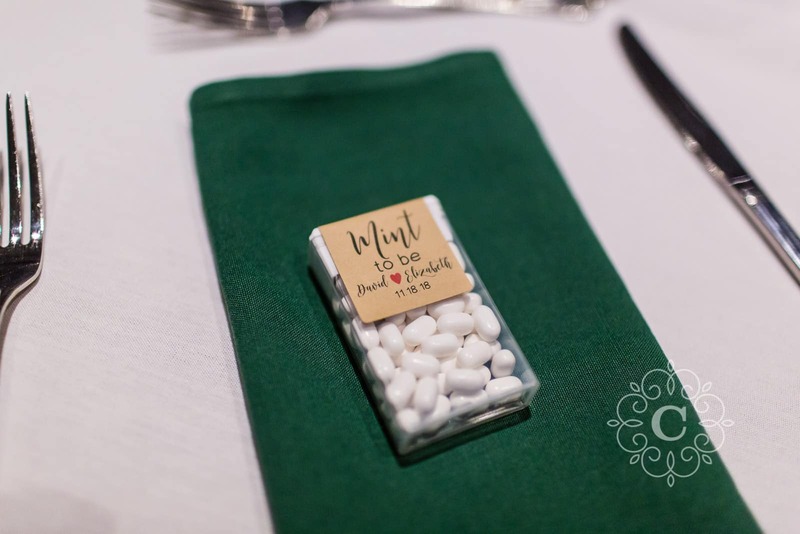 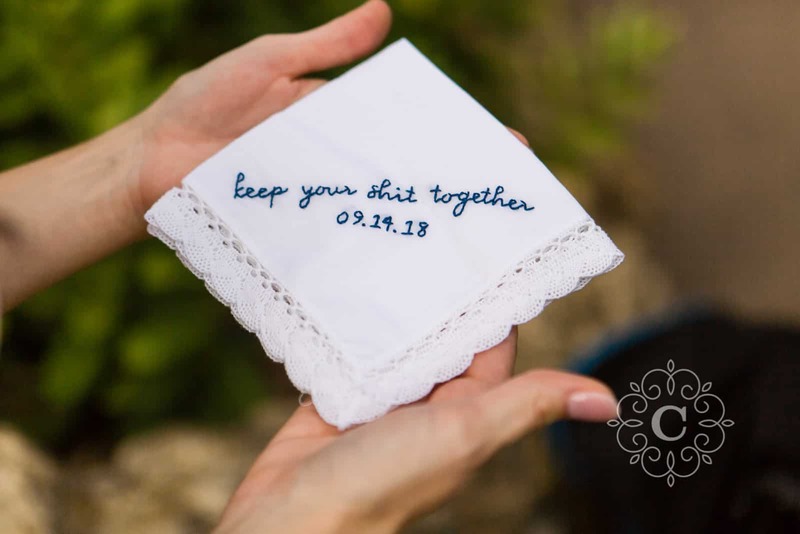 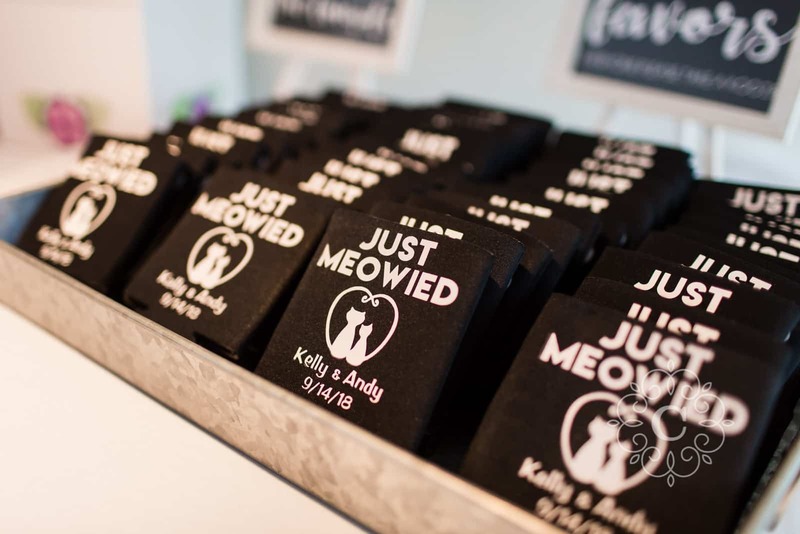 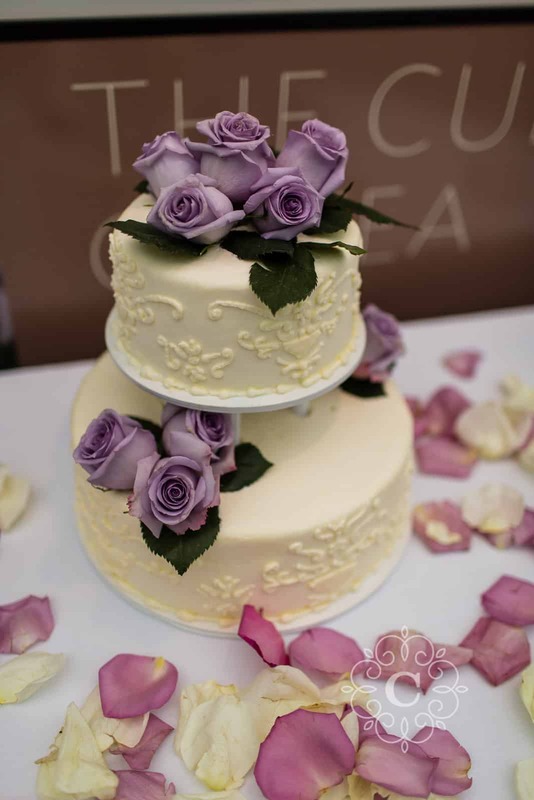 Best of luck with your wedding planning! 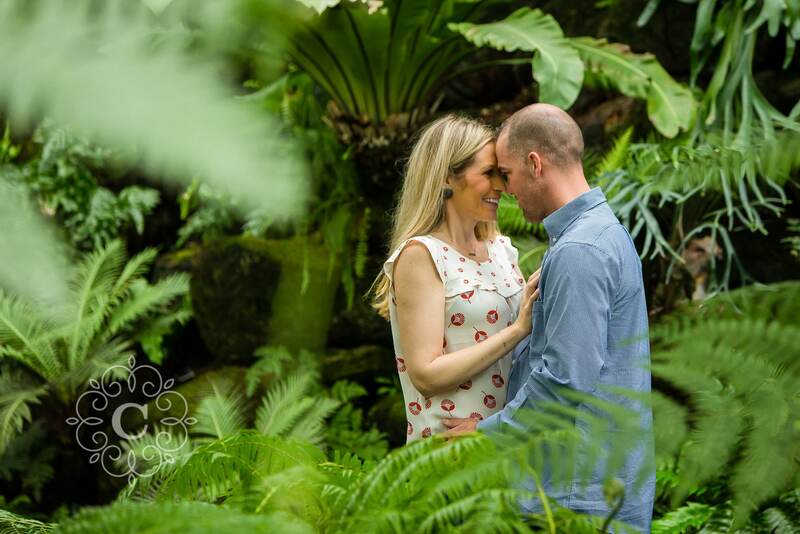 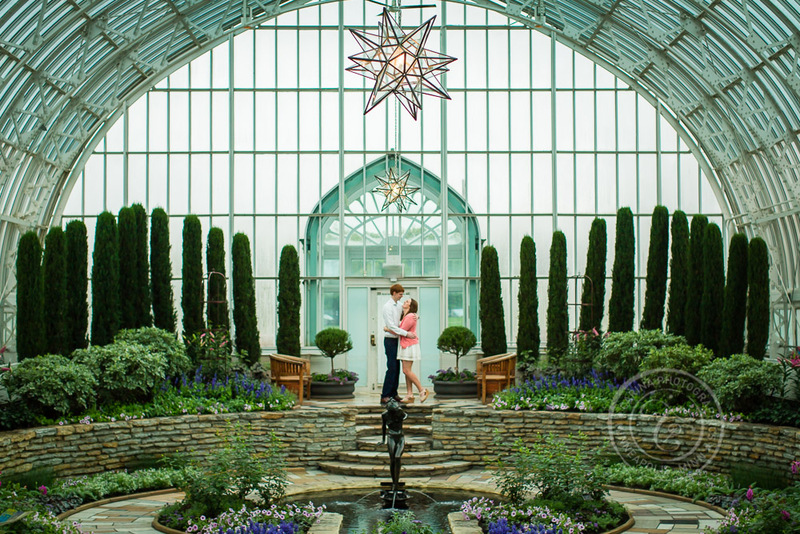 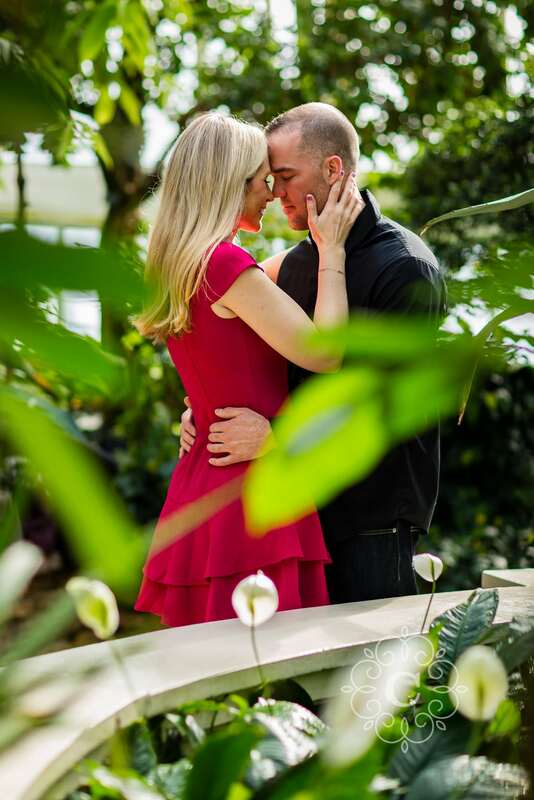 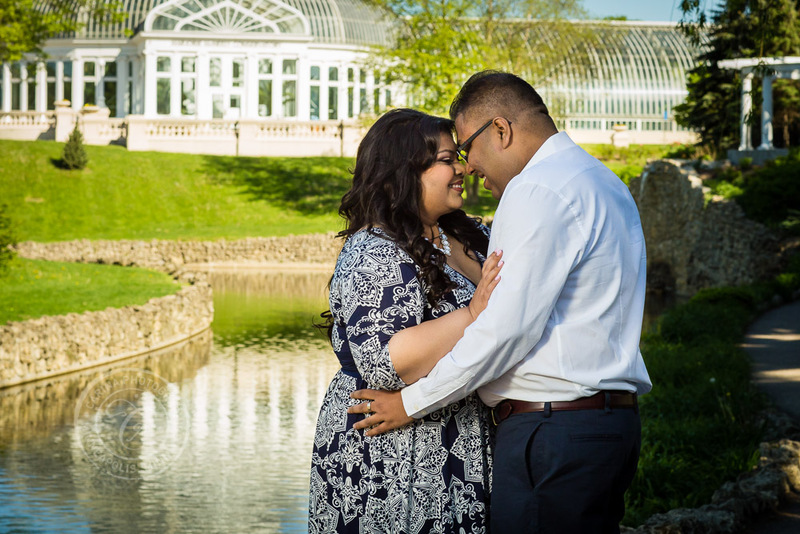 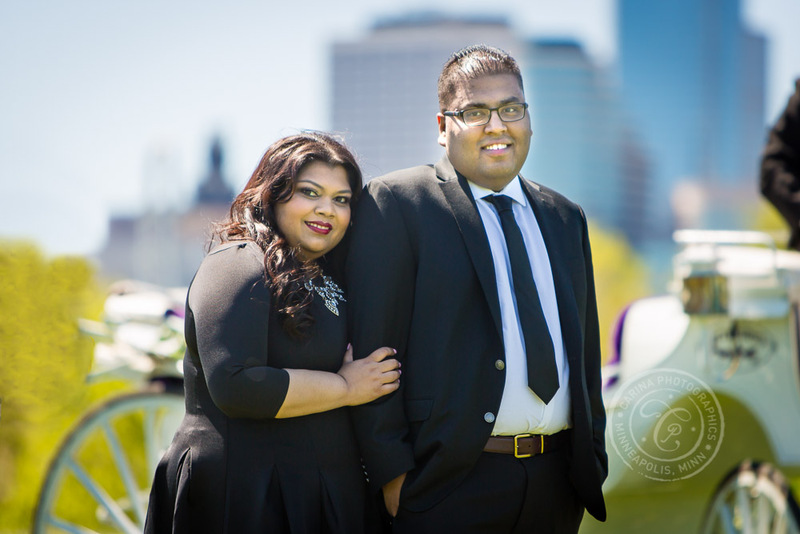 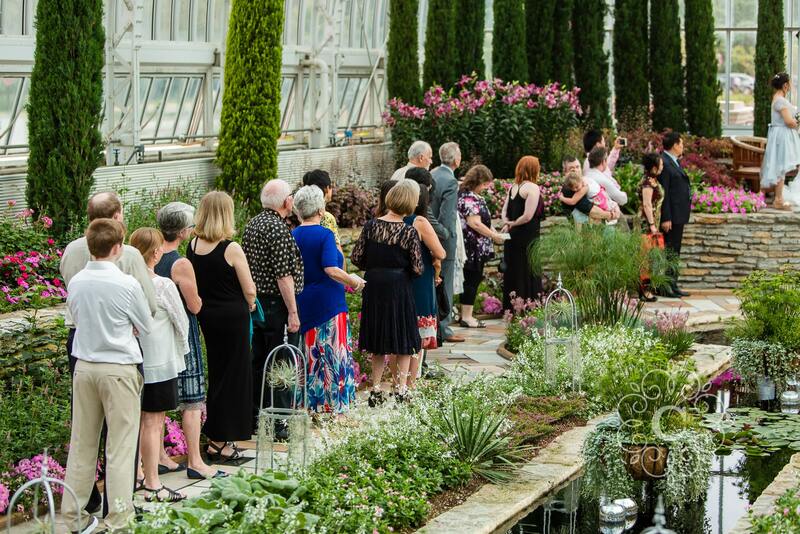 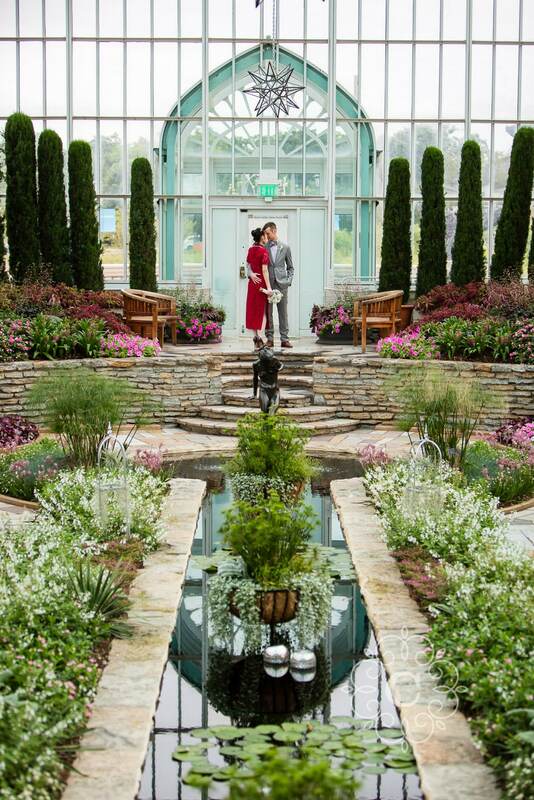 If you’re thinking of having a Como Conservatory engagement session, contact me soon. 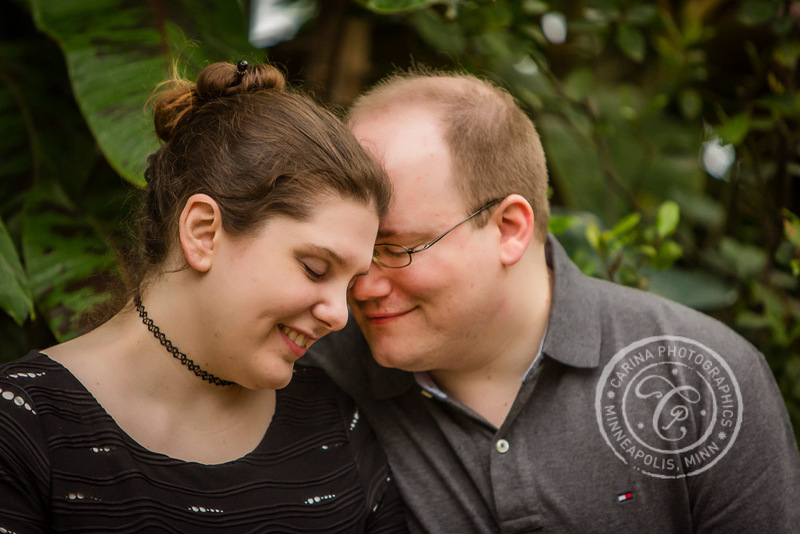 I’d love to discuss how we could work together! 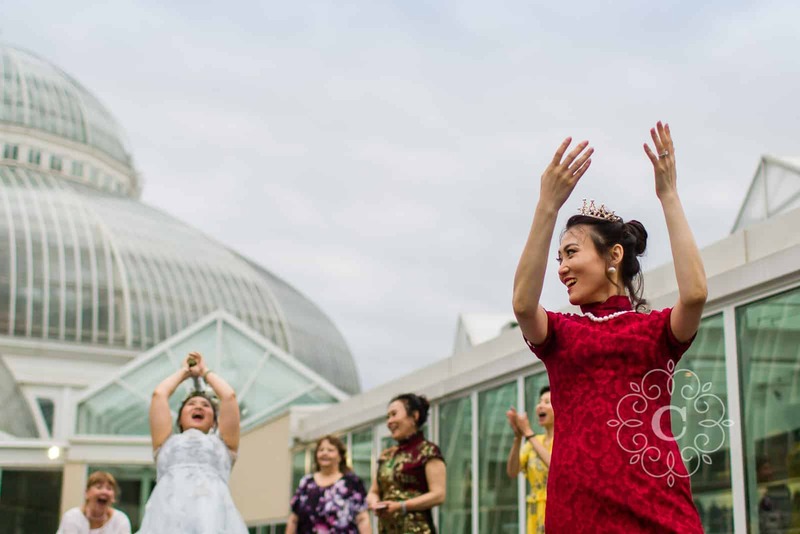 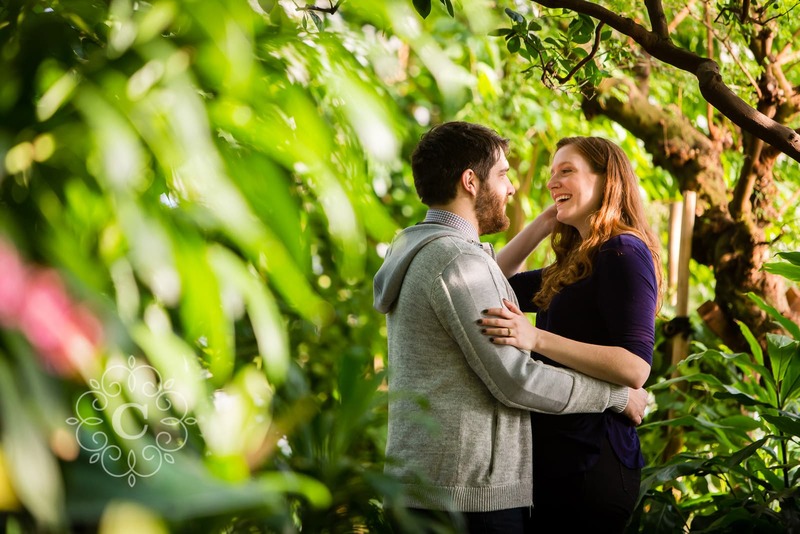 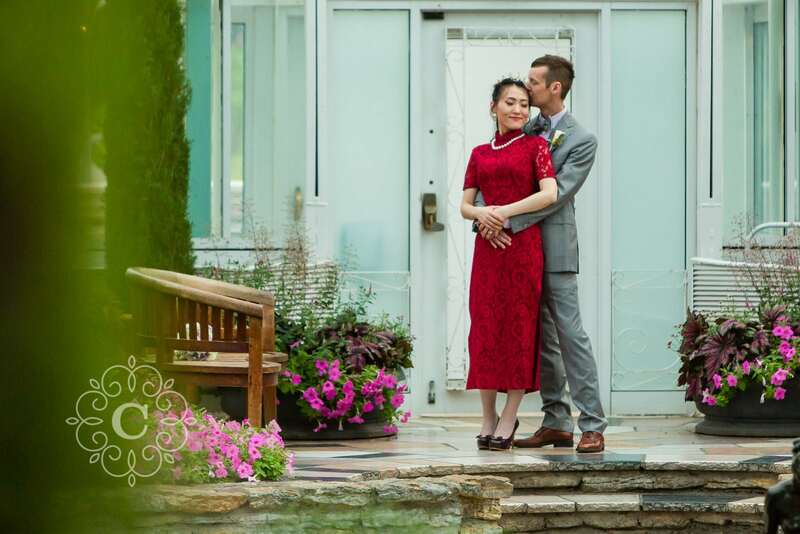 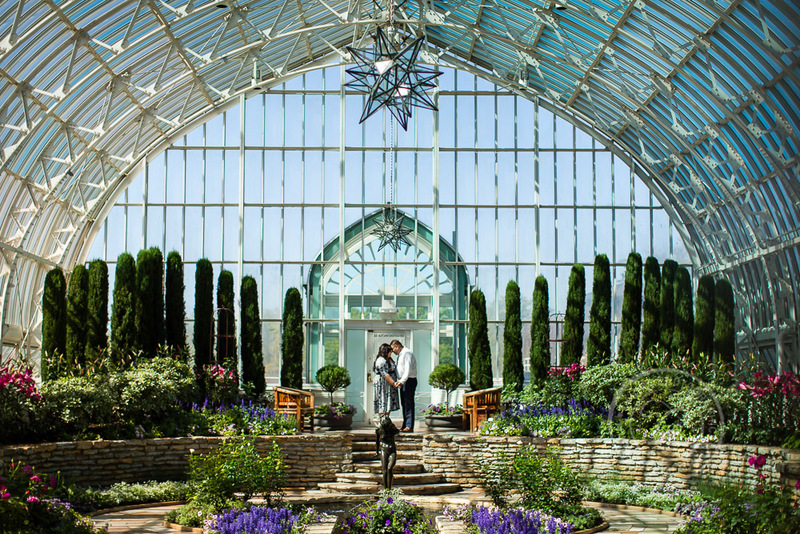 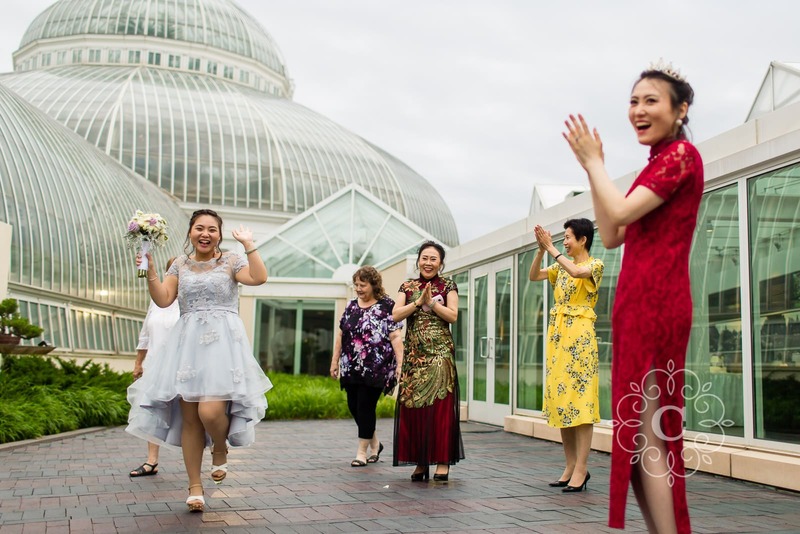 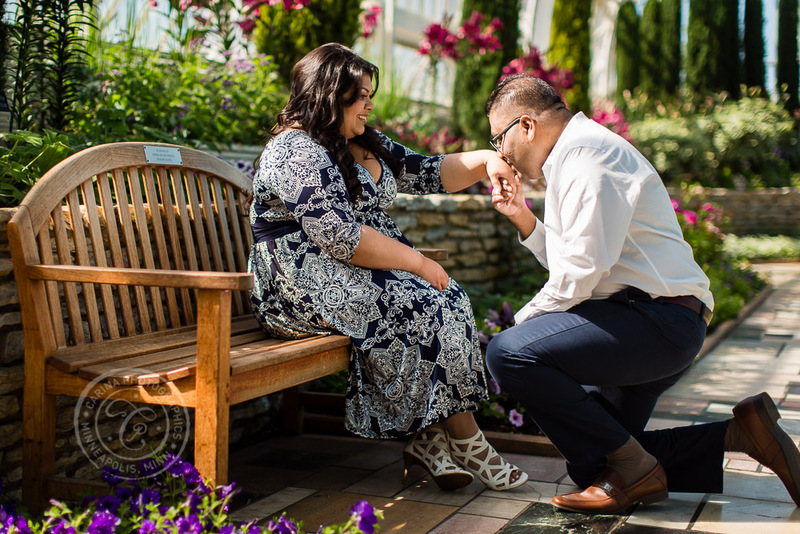 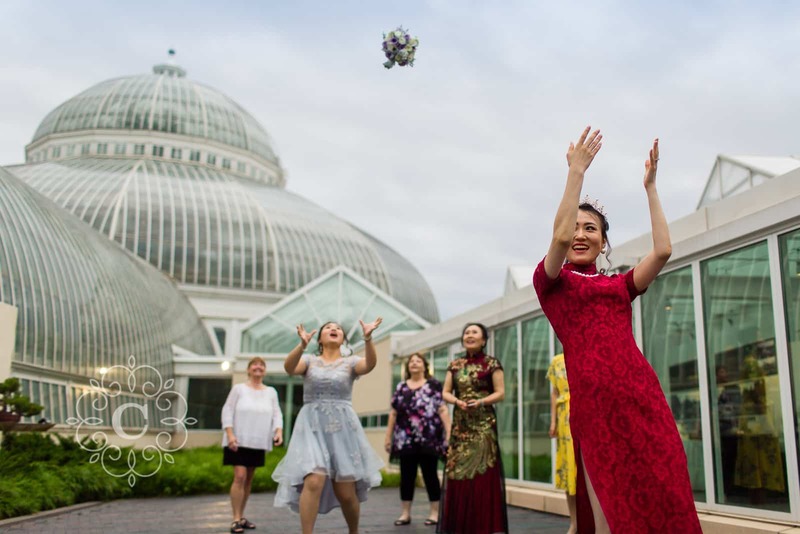 Be sure to take a look at some of my other spring Como Conservatory engagement photos, summer Como Conservatory engagement photos, winter Como Conservatory engagement photos and even Como Town engagement photos too! 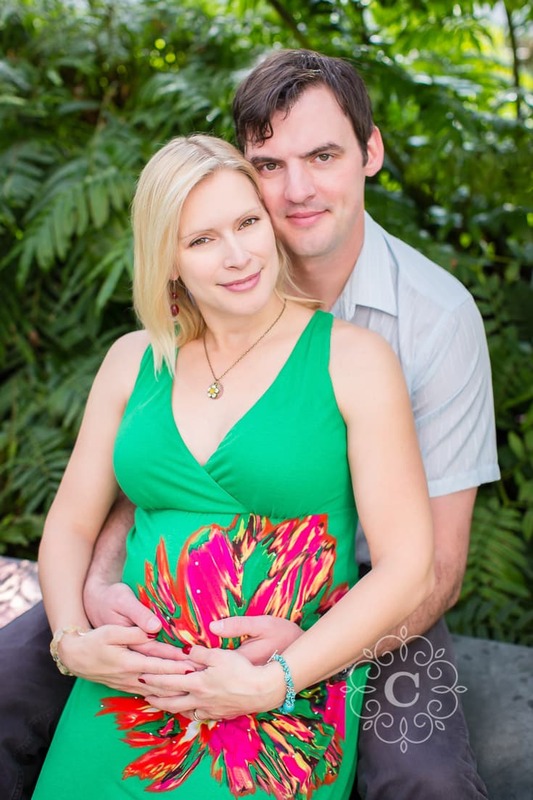 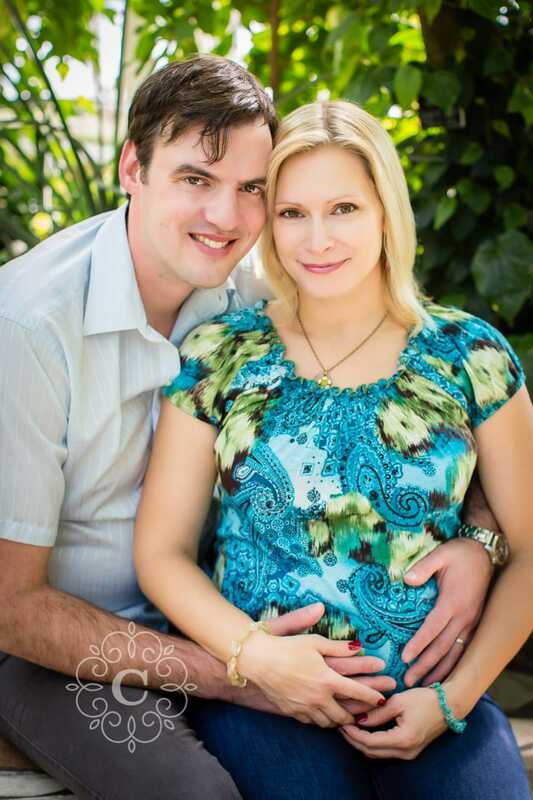 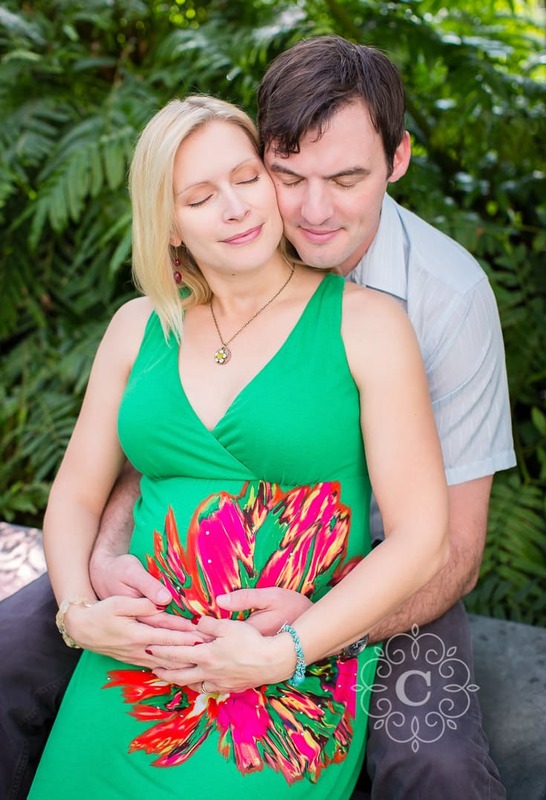 I have been sooooo excited for my good friends Angel and Aaron – they are going to be parents soon! 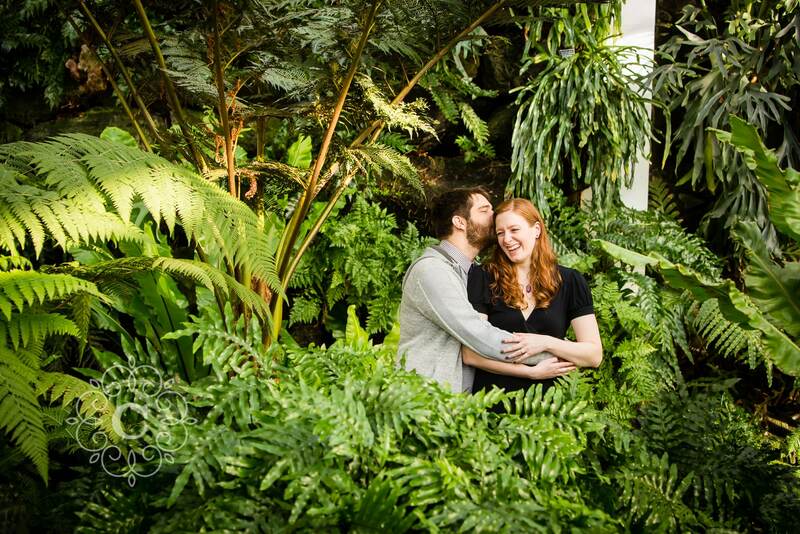 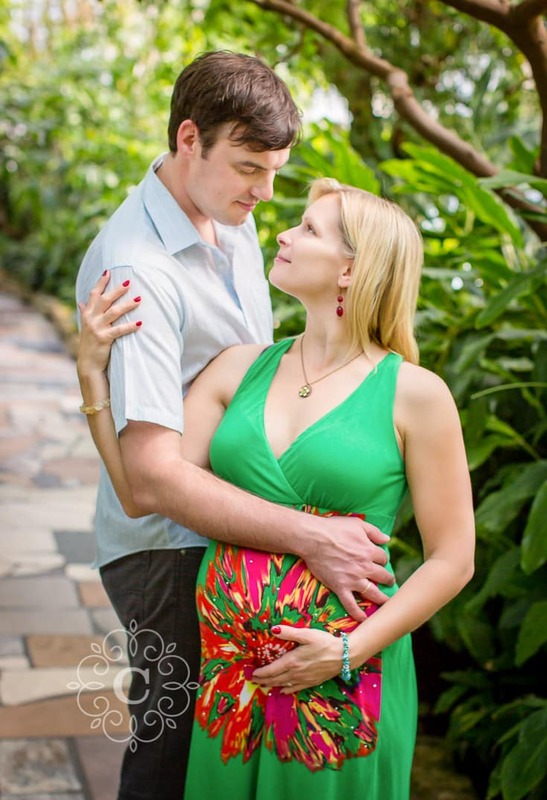 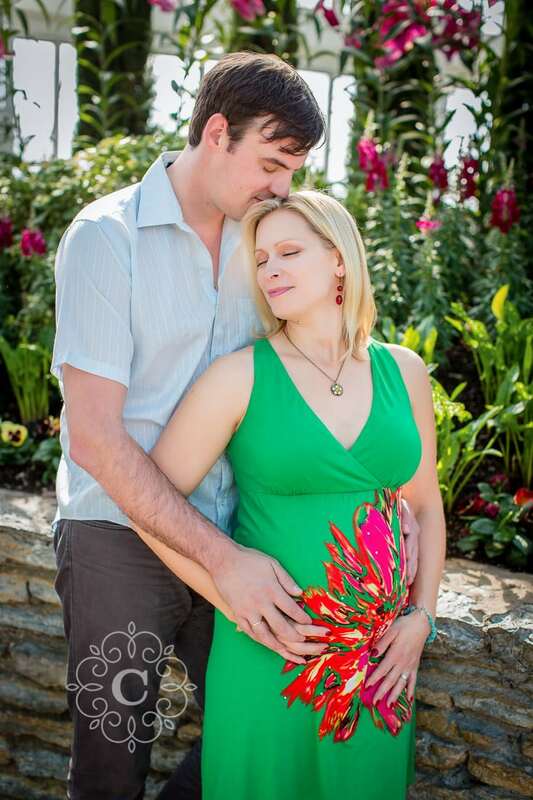 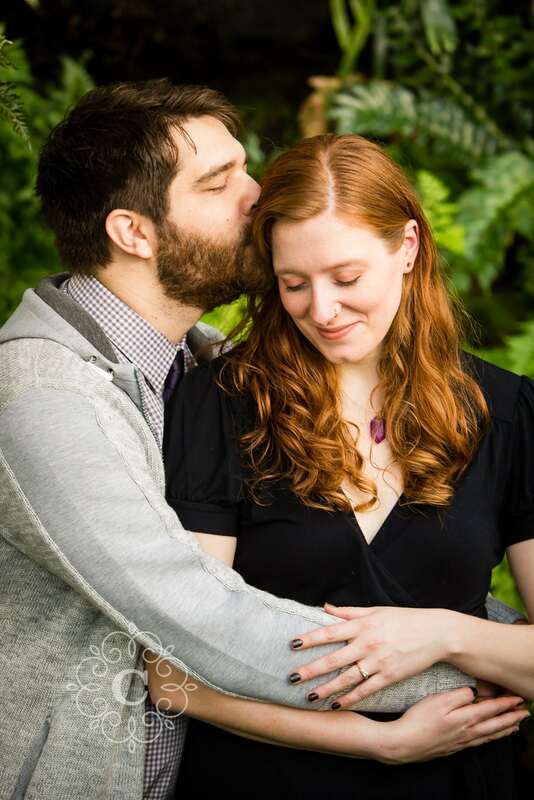 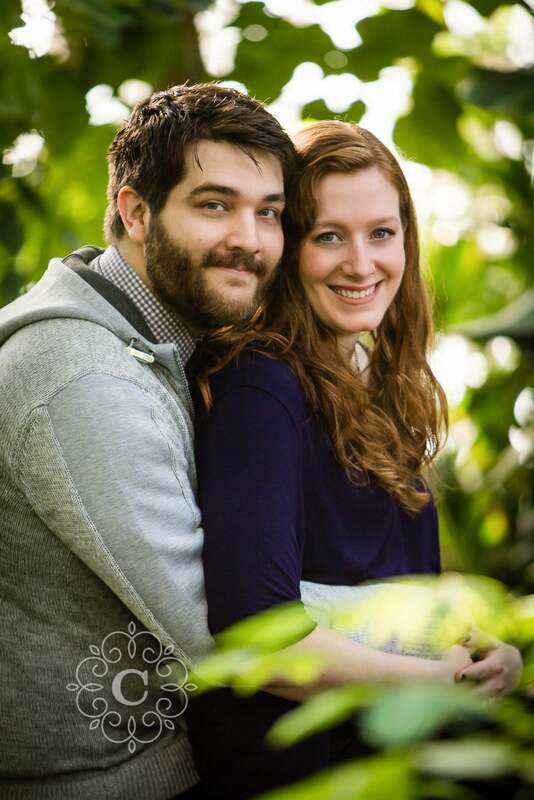 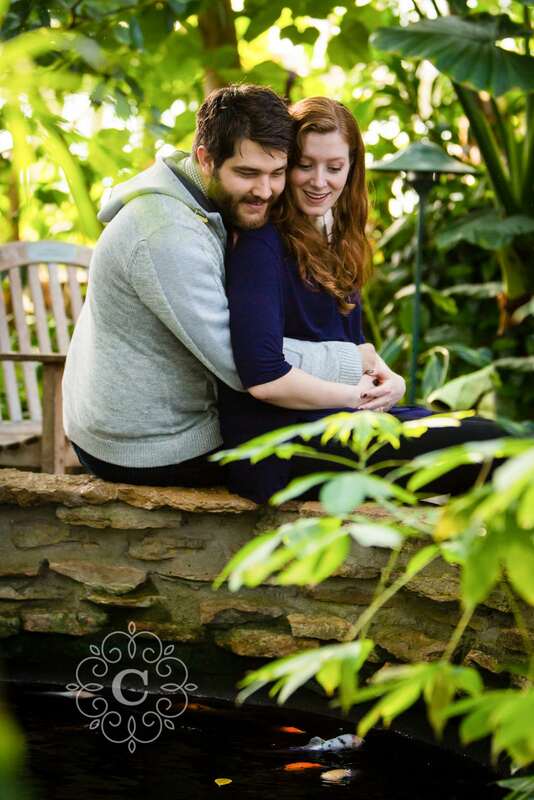 I was so excited when they asked me to photograph their Como Conservatory Maternity photos. 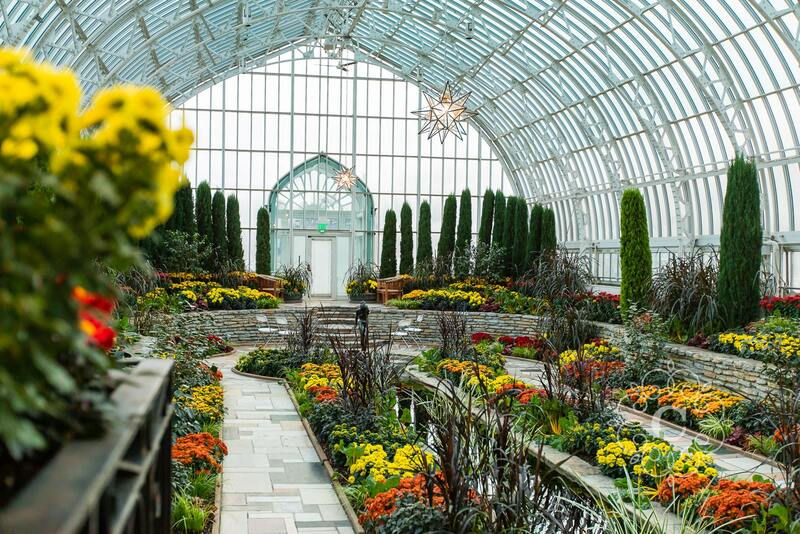 It was March – another cold, gray day in Minnesota. 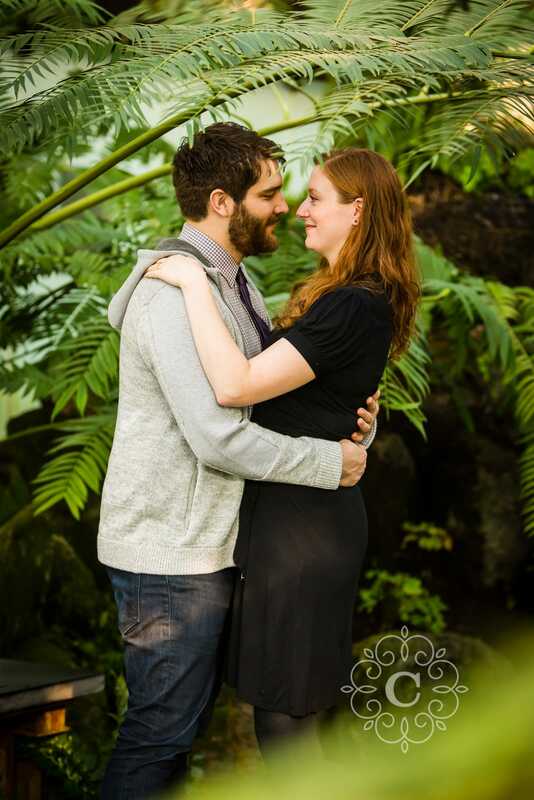 Angel and Aaron were now living in California, and were planning to visit Minnesota for a week. 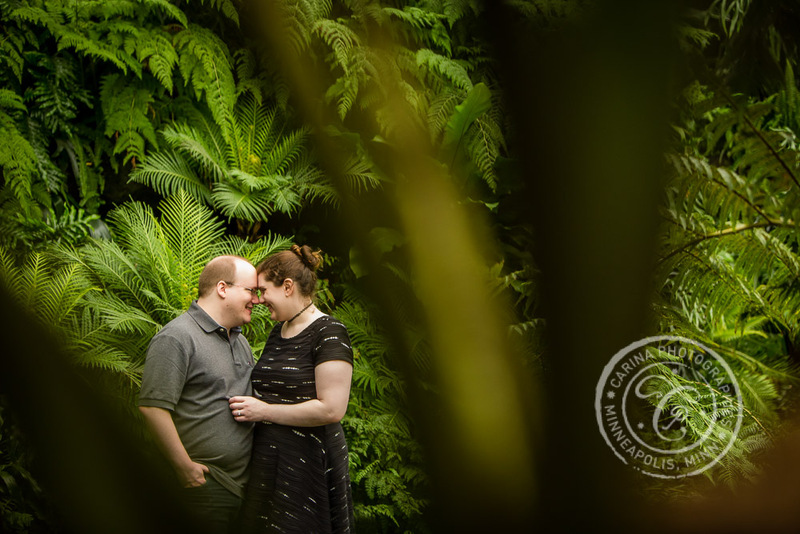 They wanted their session in a place that was greengreengreen. 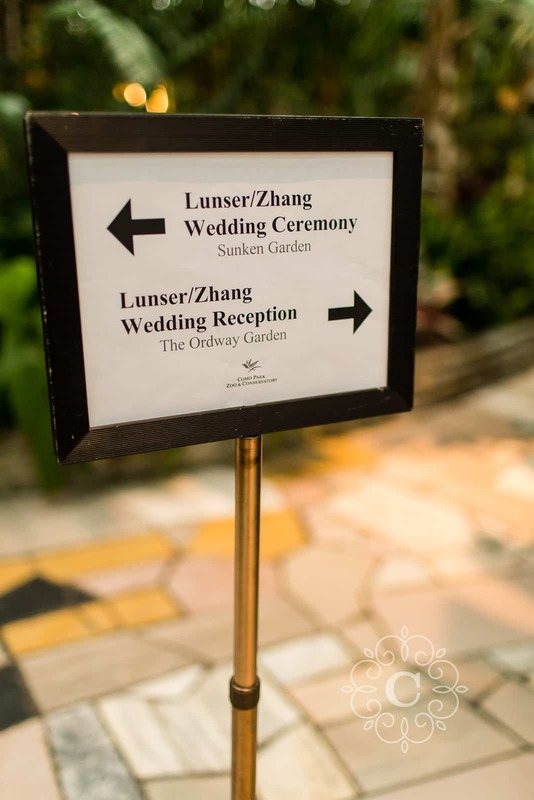 Where could we go? 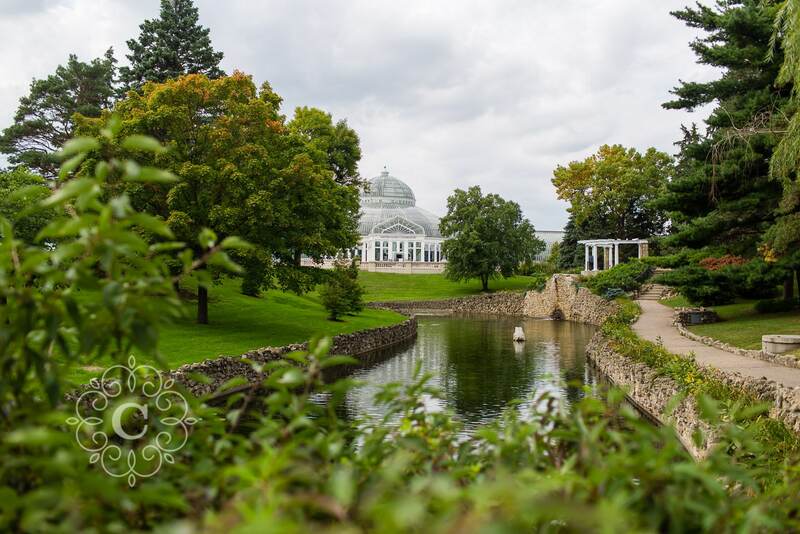 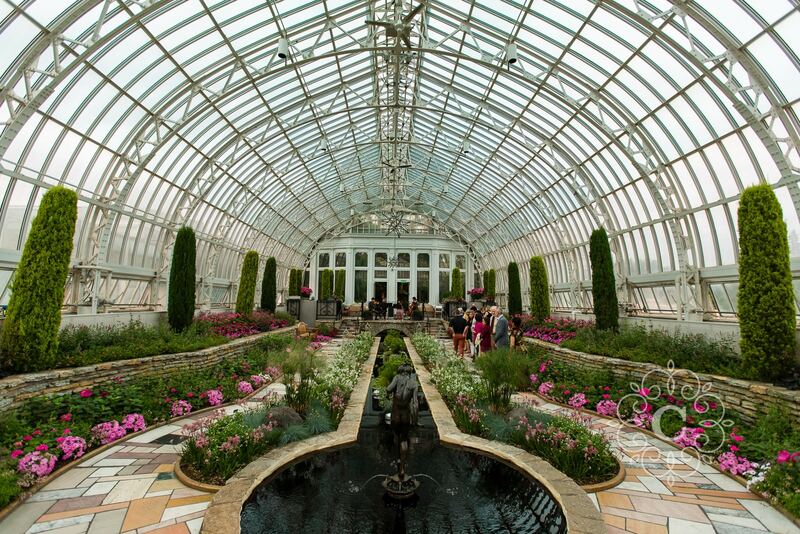 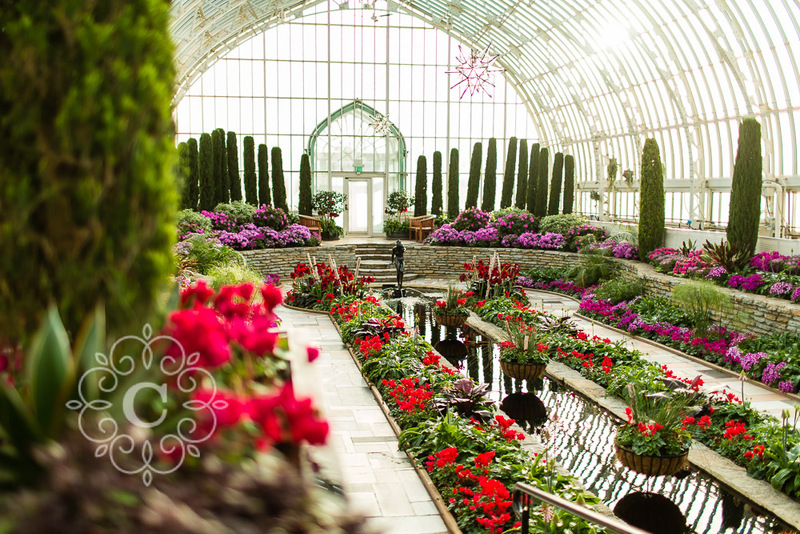 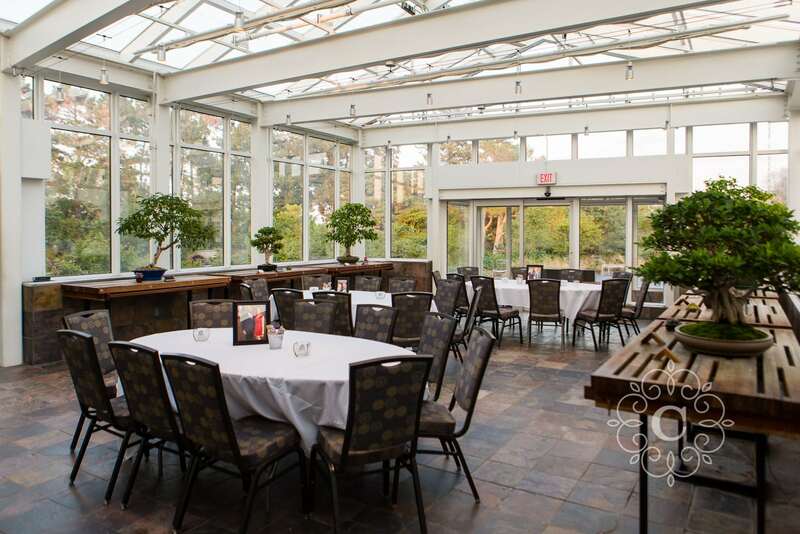 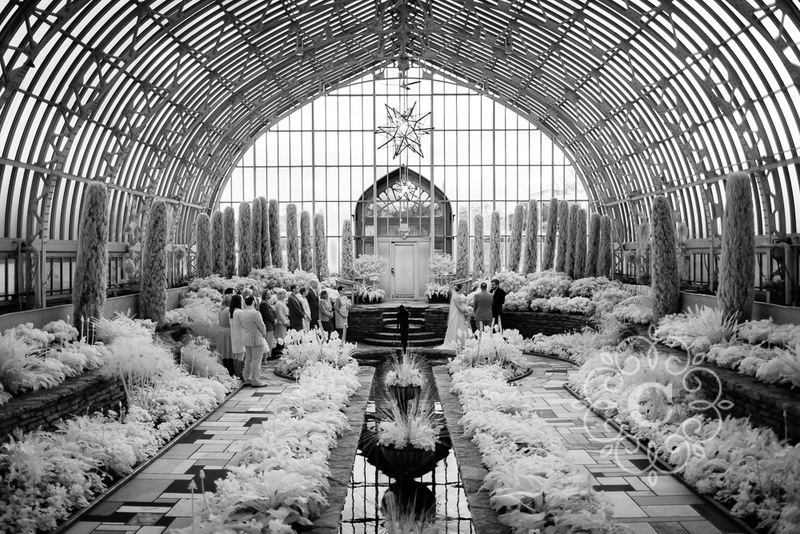 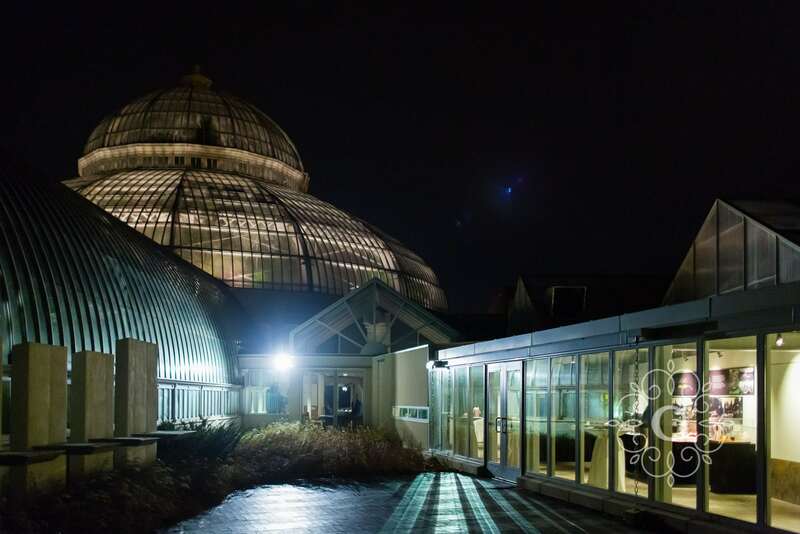 The only place I knew that would be gorgeous this time of year – Como Park Conservatory! 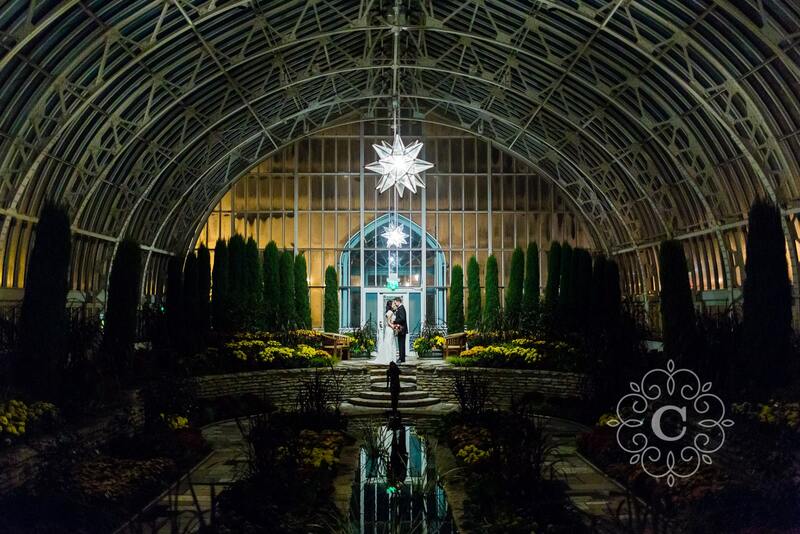 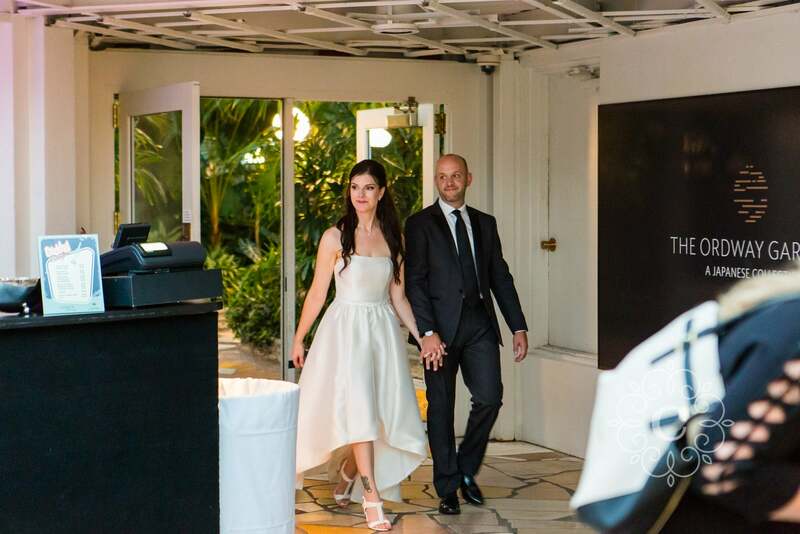 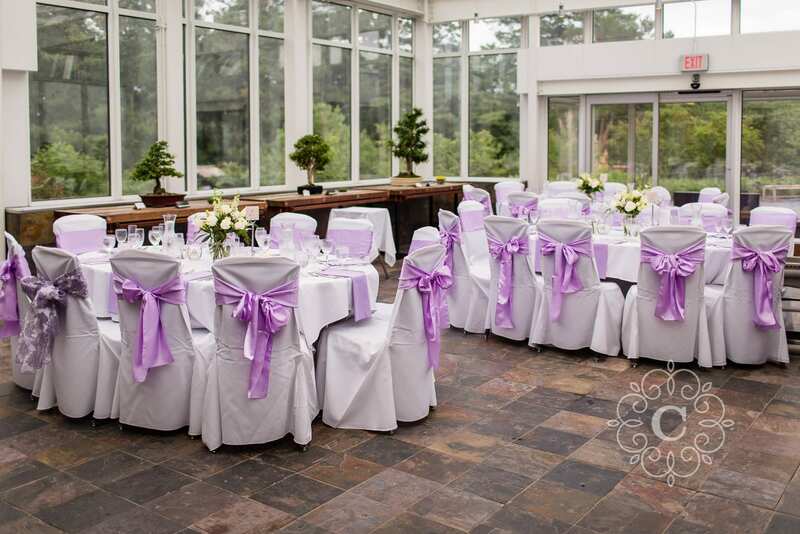 I have a special place in my heart for this location since it is also where my husband and I got married years ago. 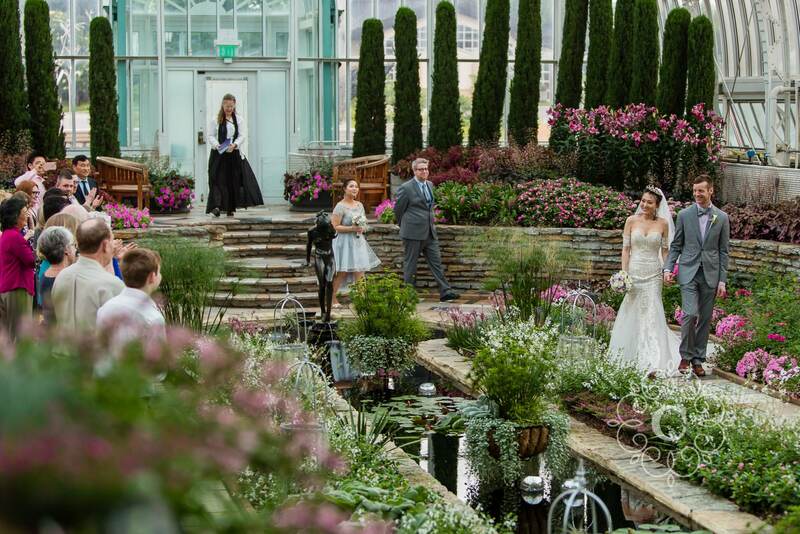 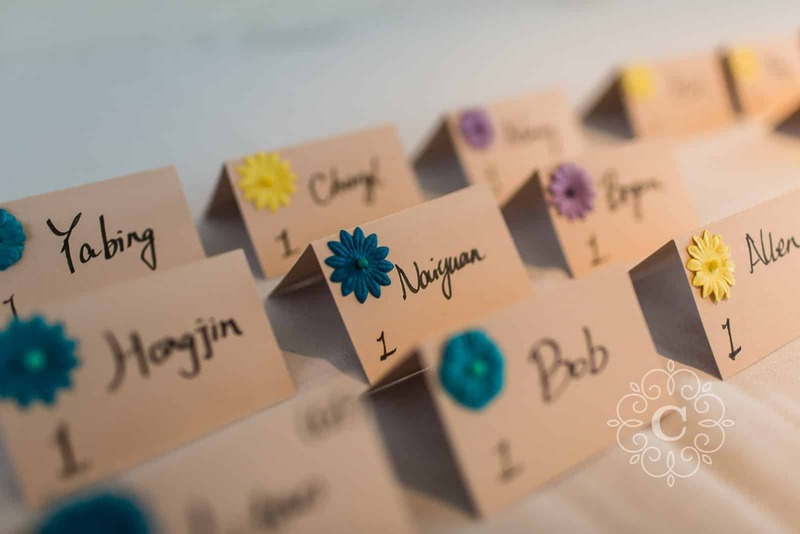 I am dying to photograph a wedding there some day too! 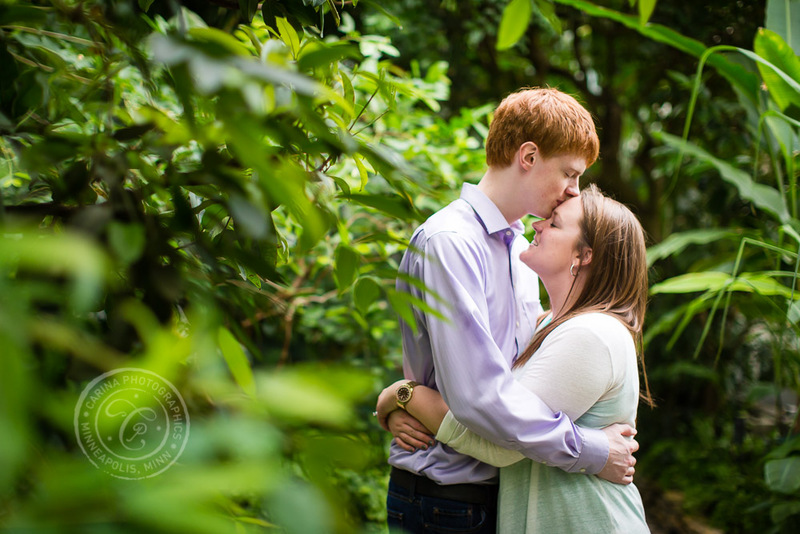 We got there bright and early and jumped into the lush, green, floral grounds. 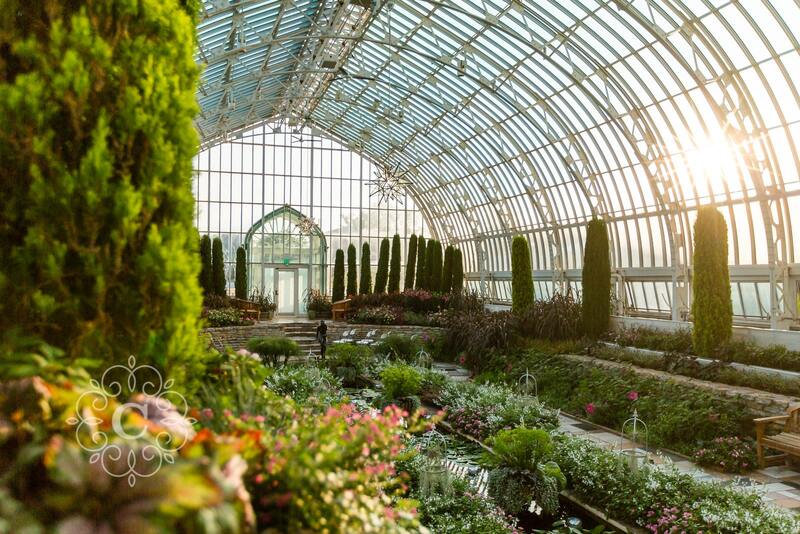 What an awesome place! 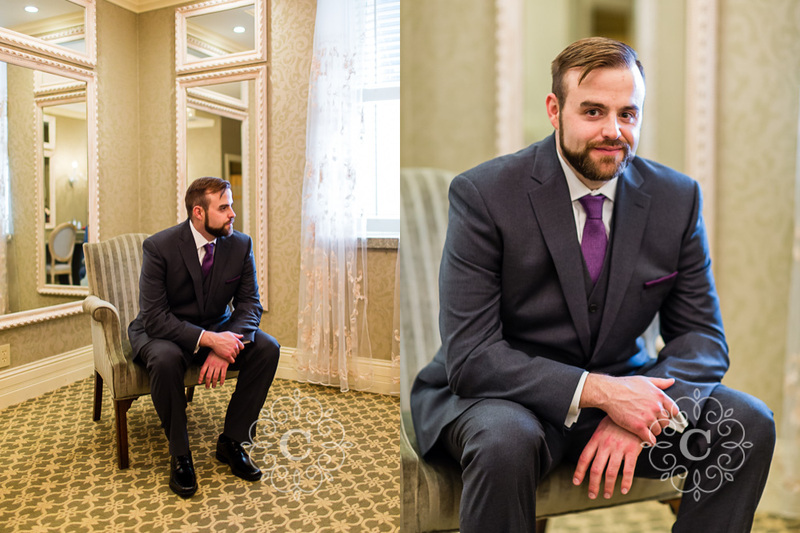 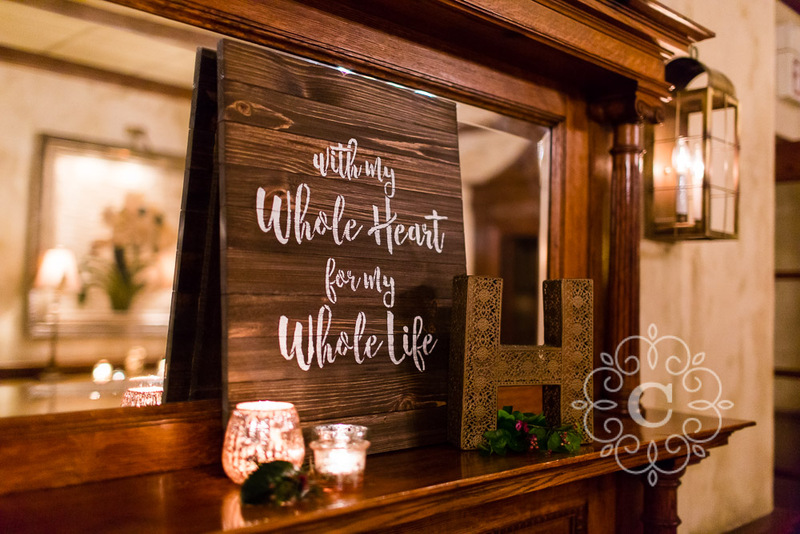 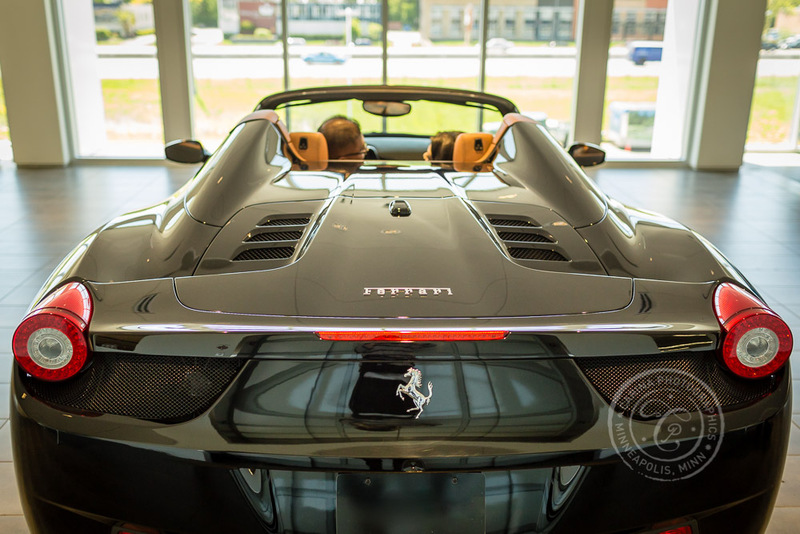 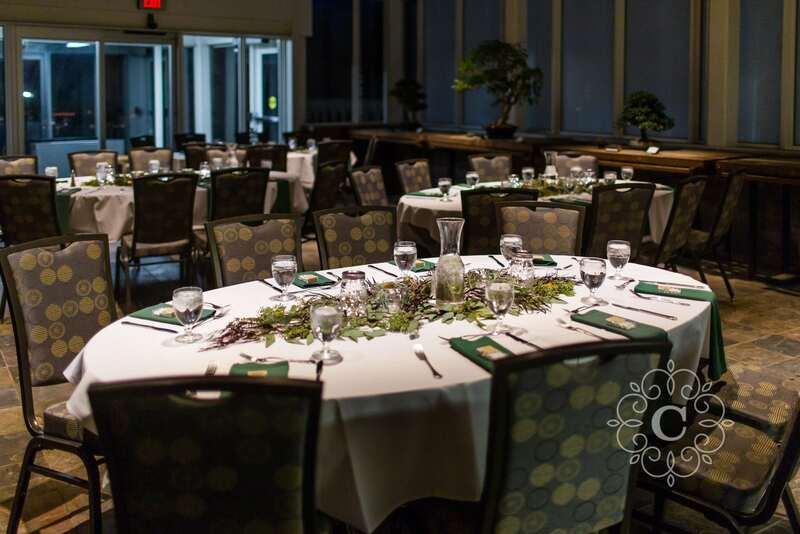 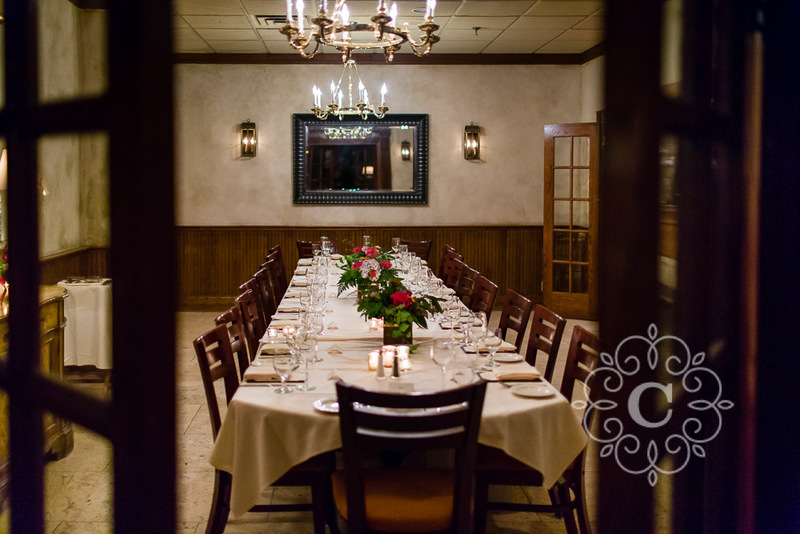 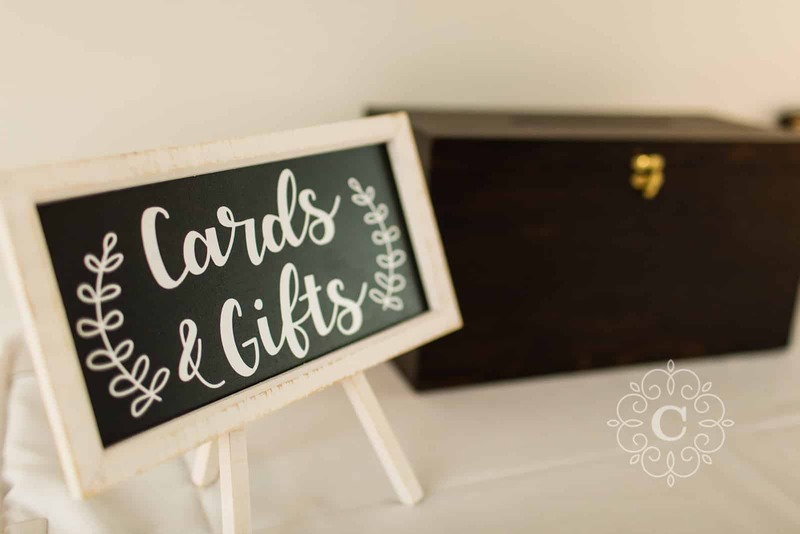 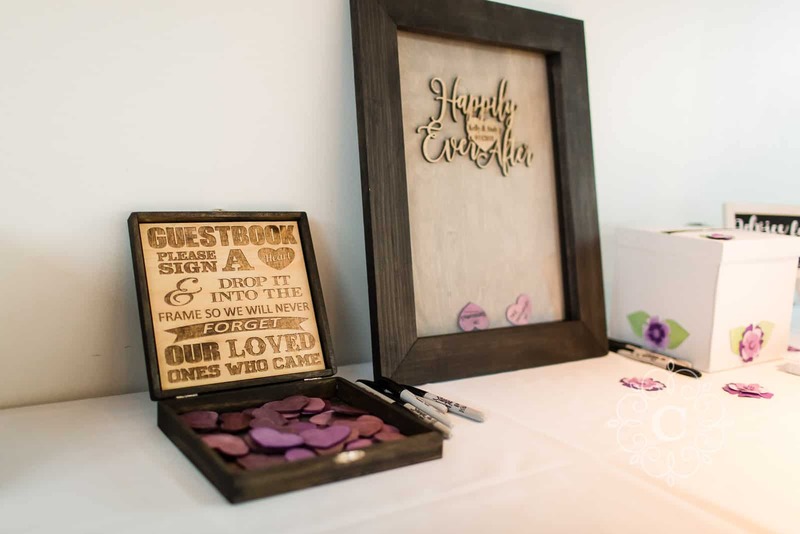 We were able to spend a full hour photographing in numerous locations throughout the building, and we got tons of beautiful images. 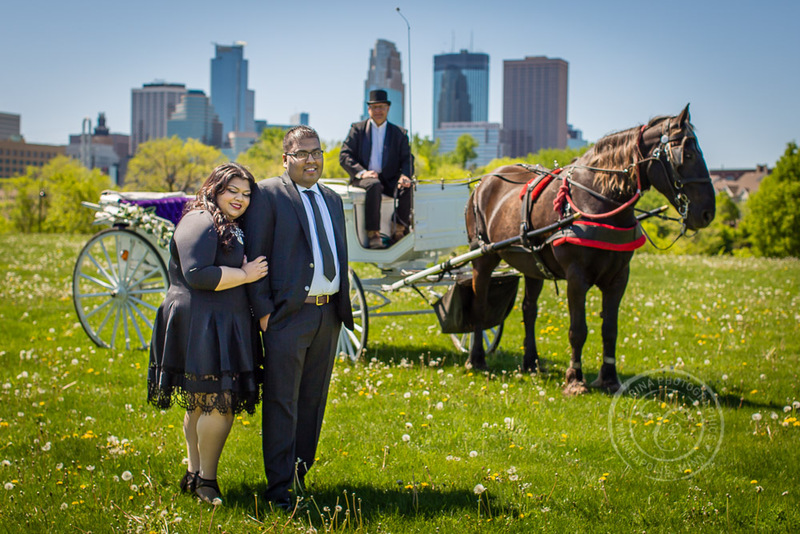 Congratulations, Angel and Aaron – I’m so happy you chose to work with me as your Minneapolis maternity photographer, and I can’t wait to meet your sweet little peanut! 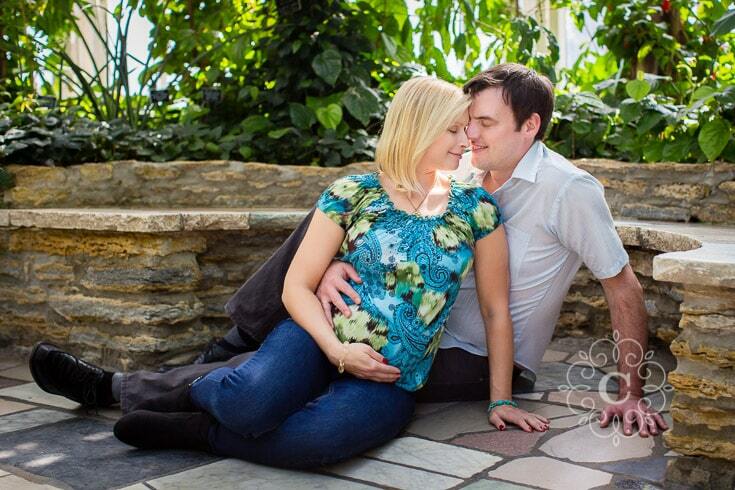 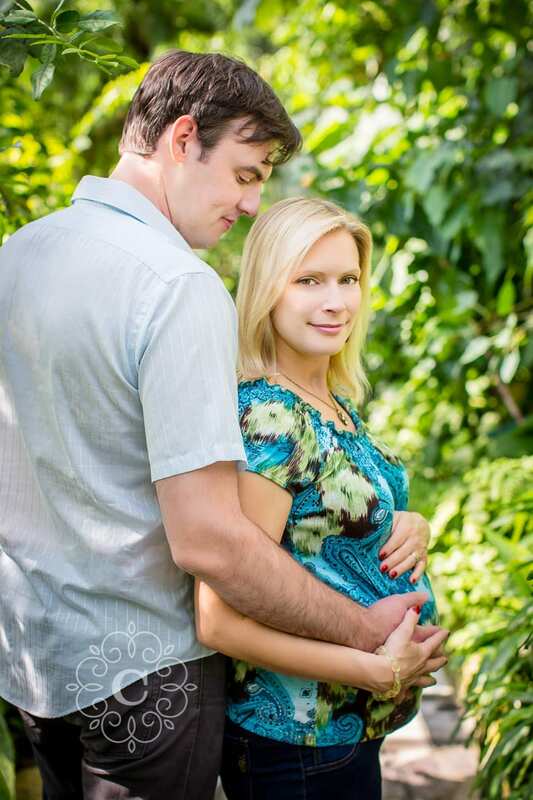 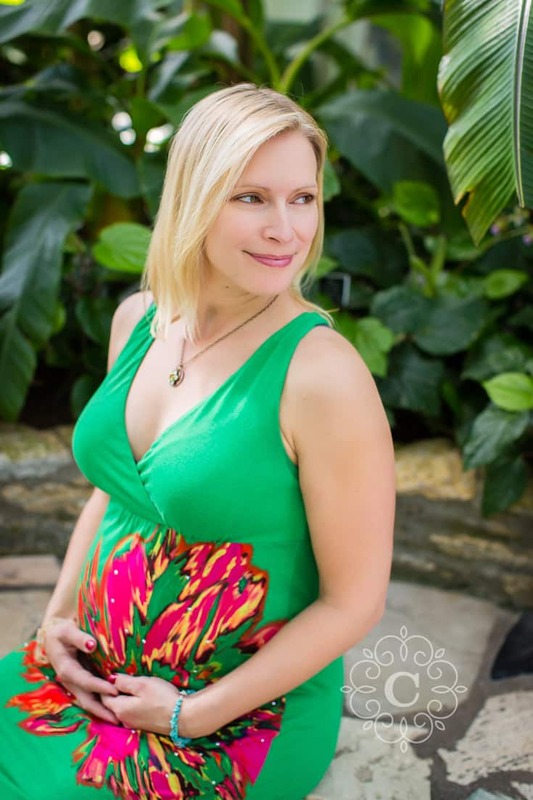 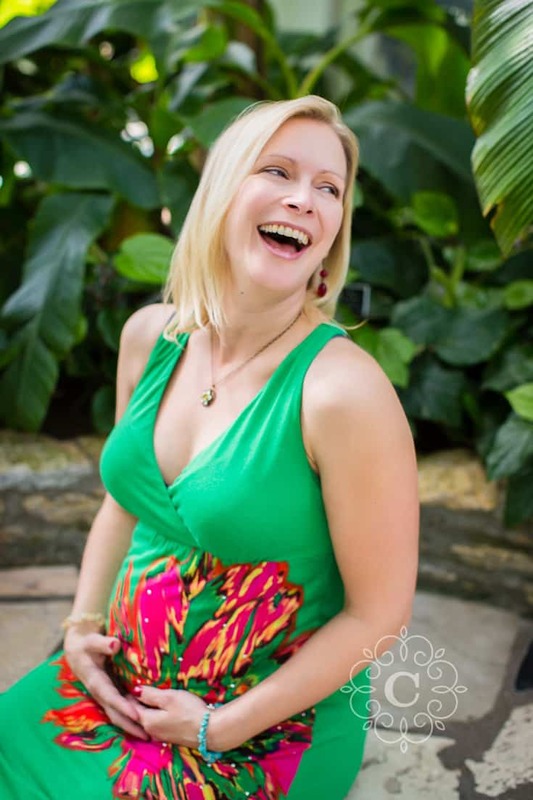 If you’re planning for Como Park maternity photography, contact me soon to discuss working together! 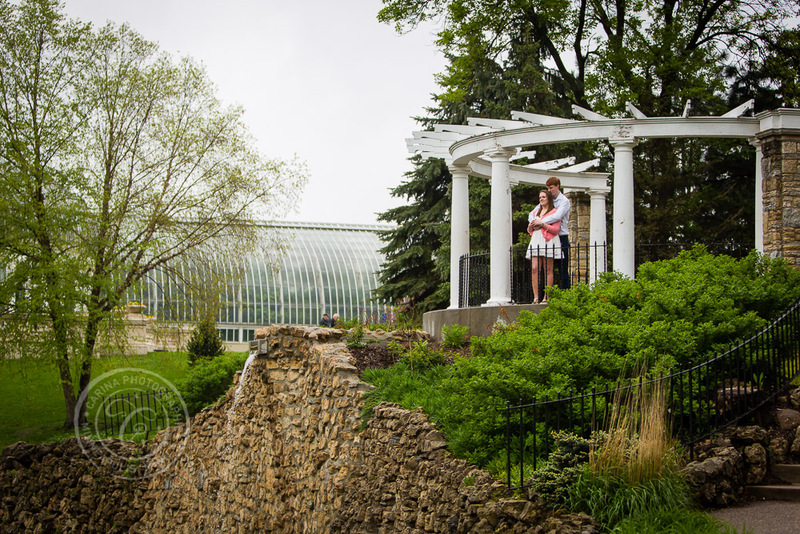 Take a look at another of my blog posts featuring a Como Park maternity session here!